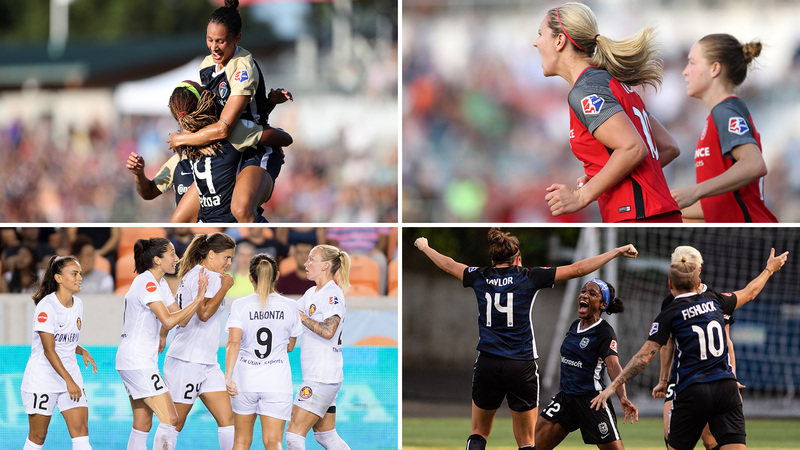 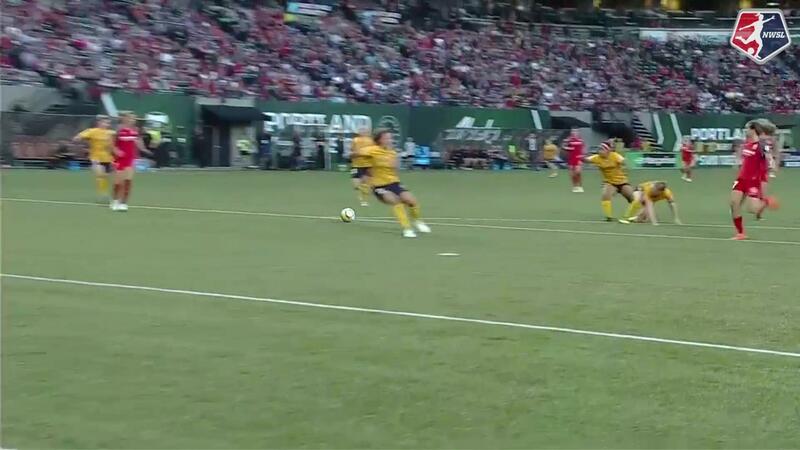 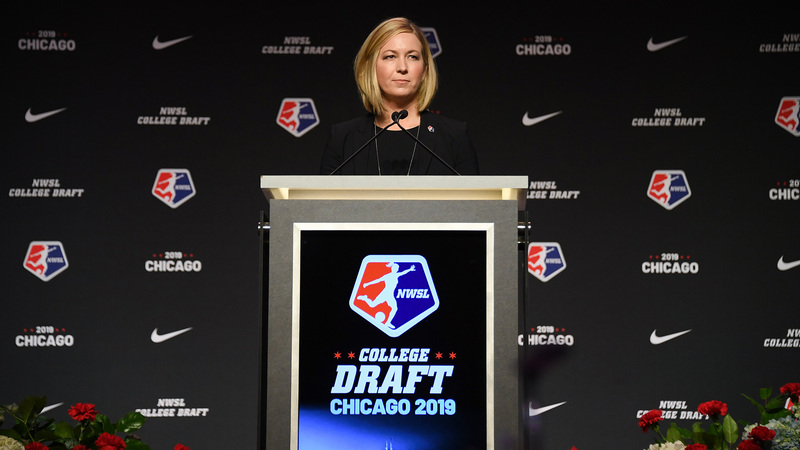 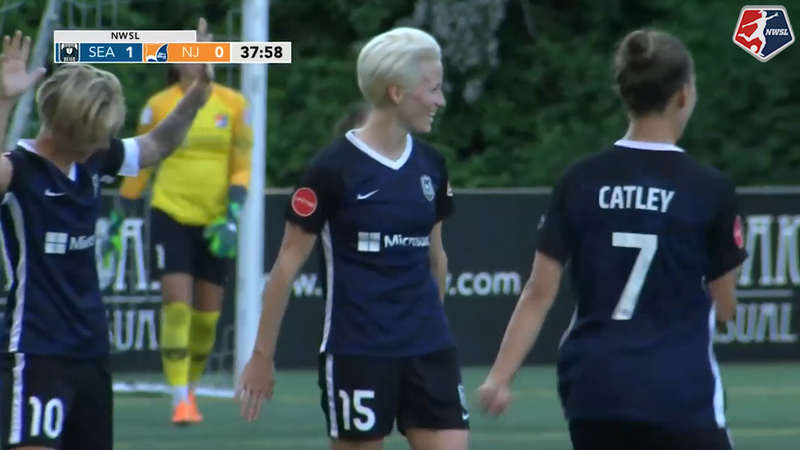 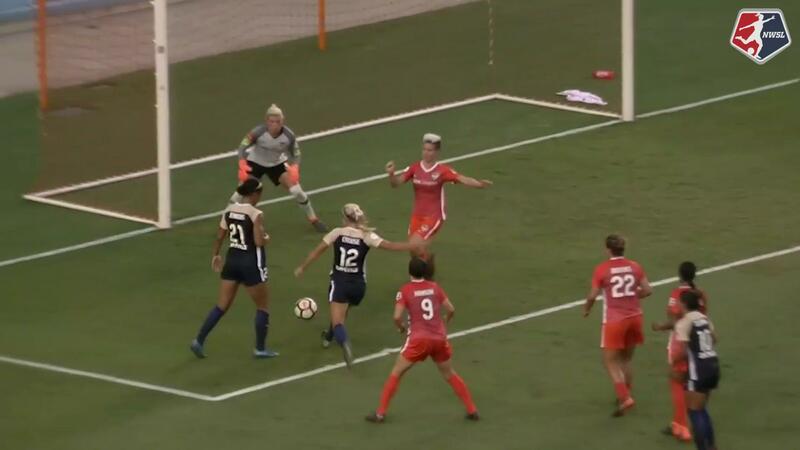 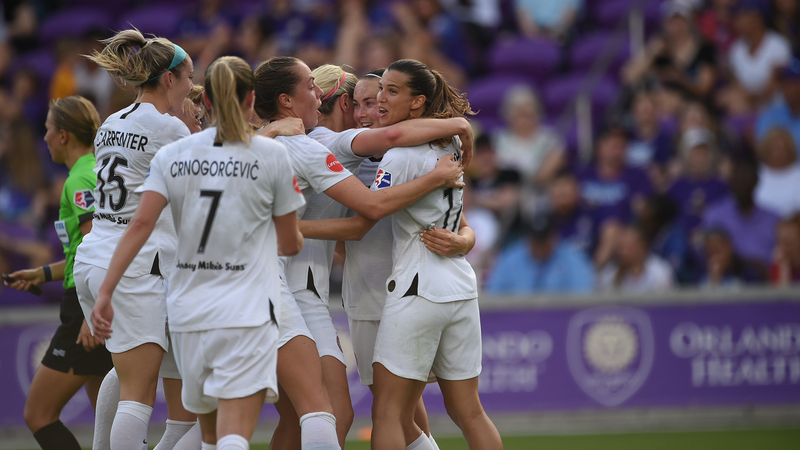 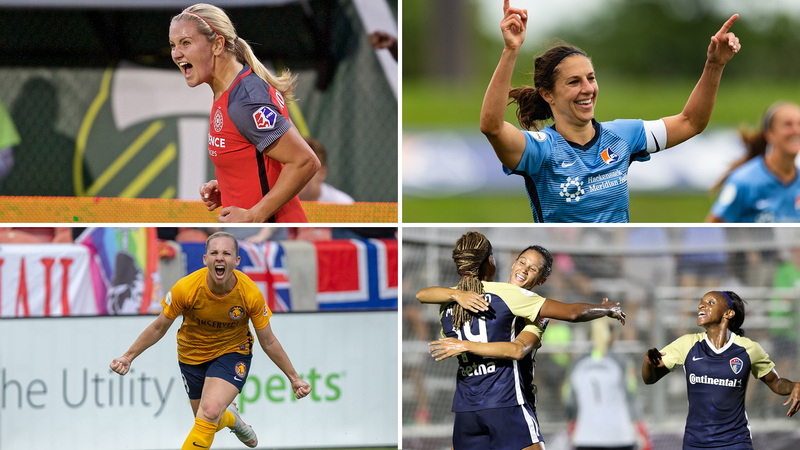 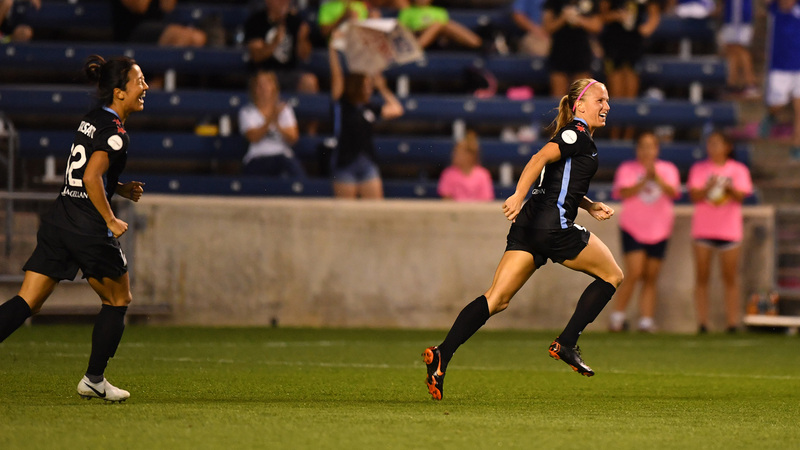 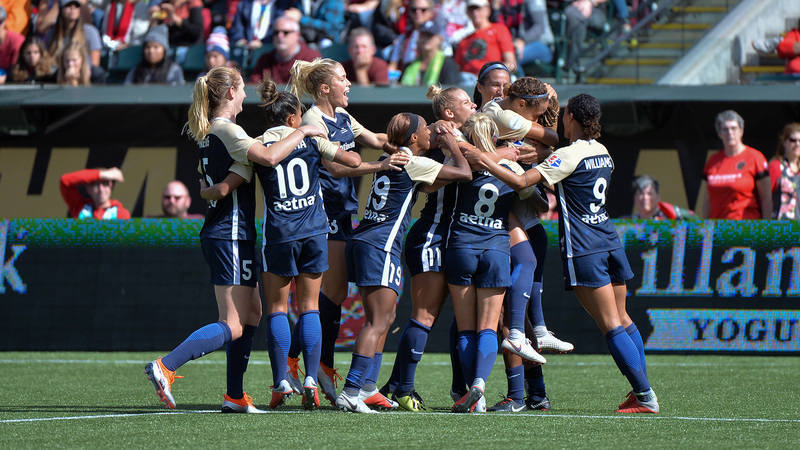 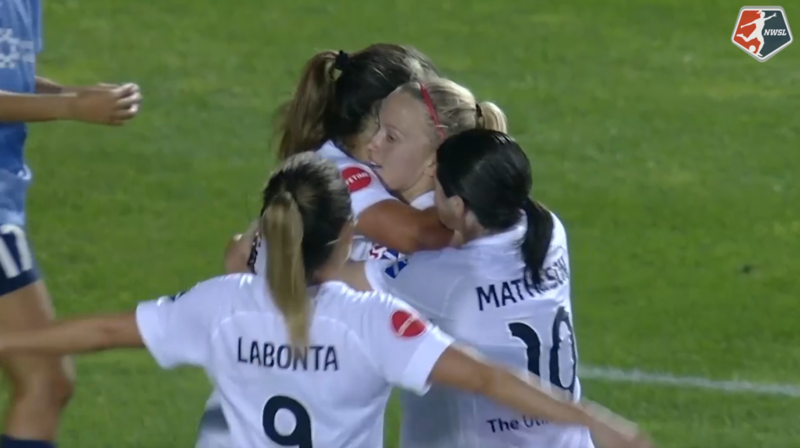 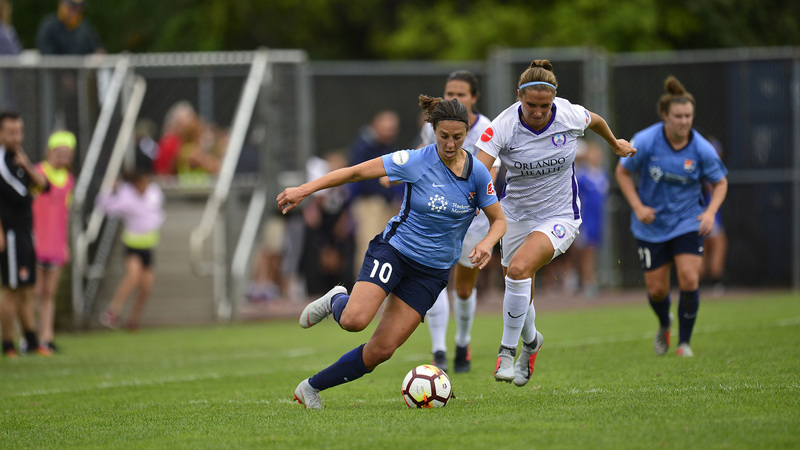 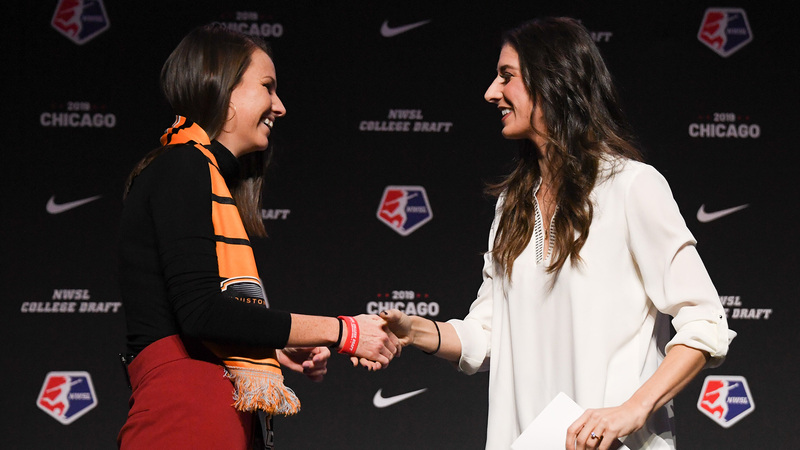 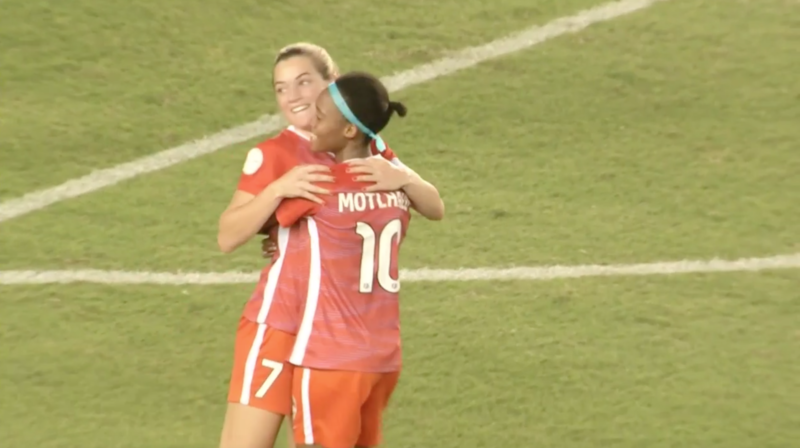 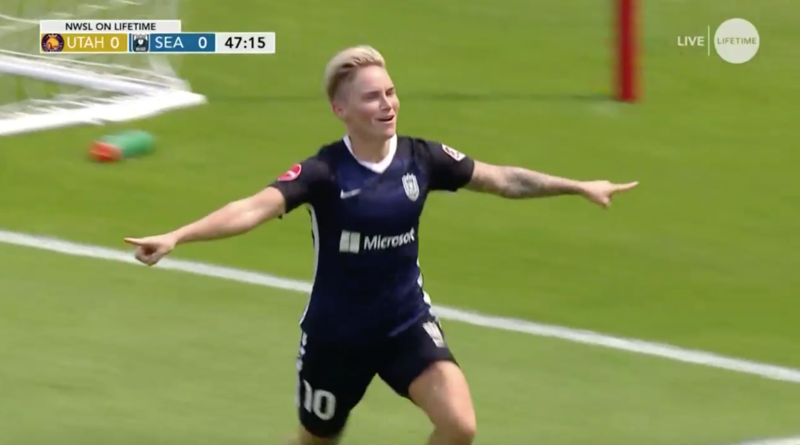 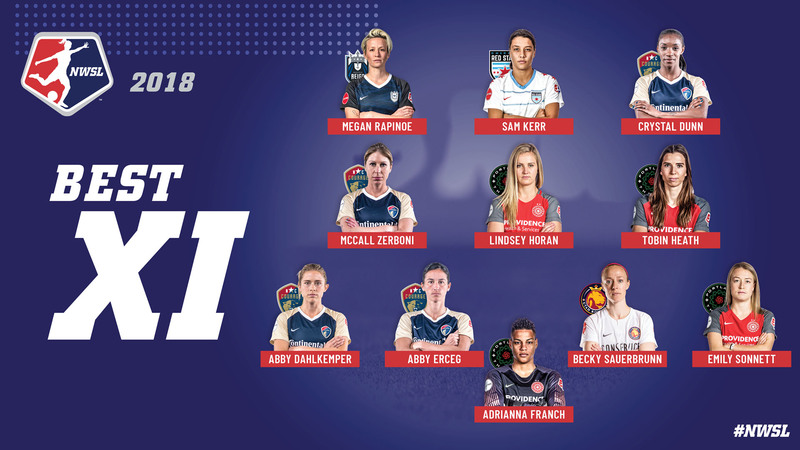 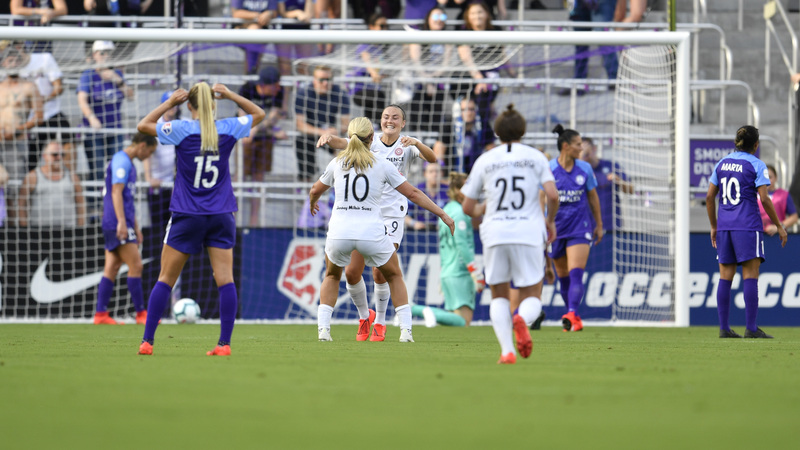 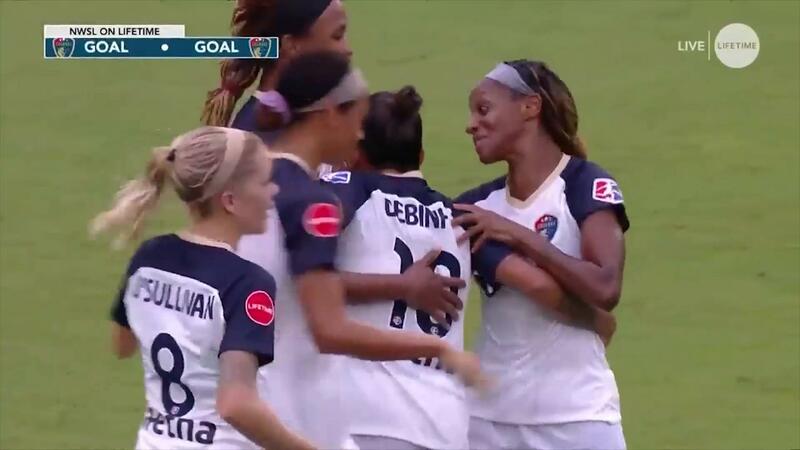 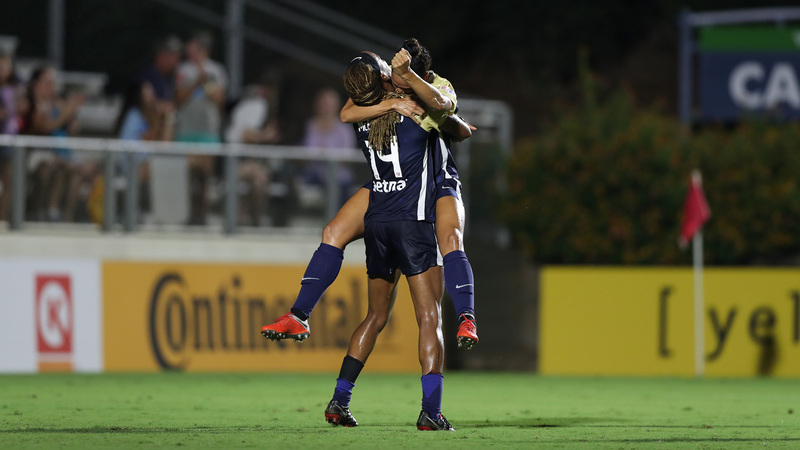 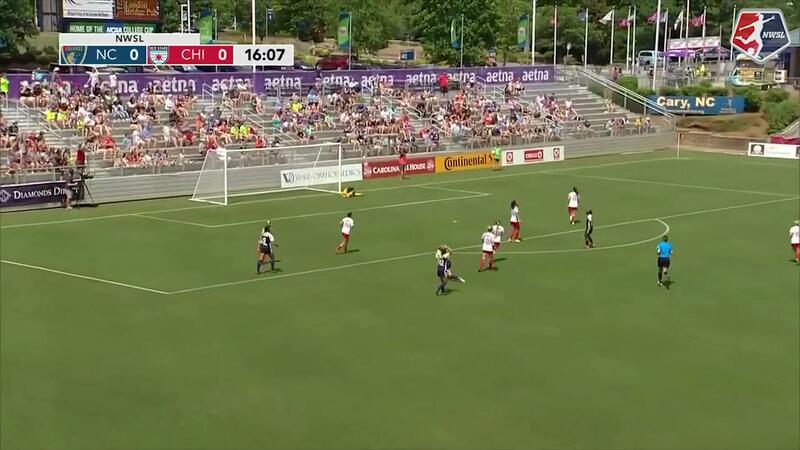 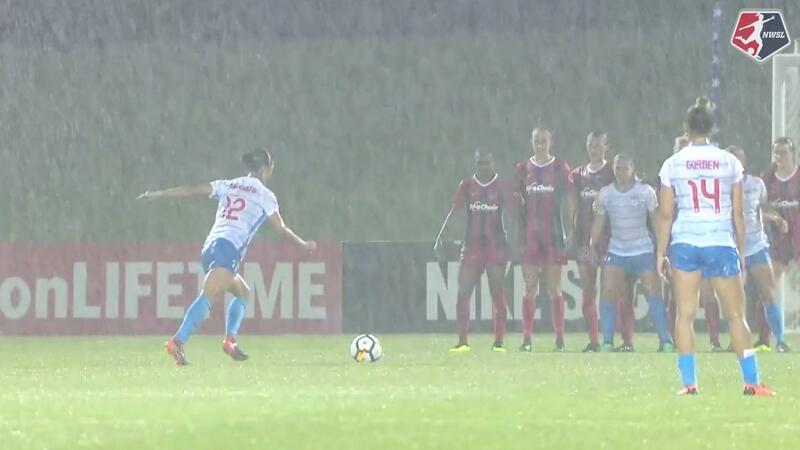 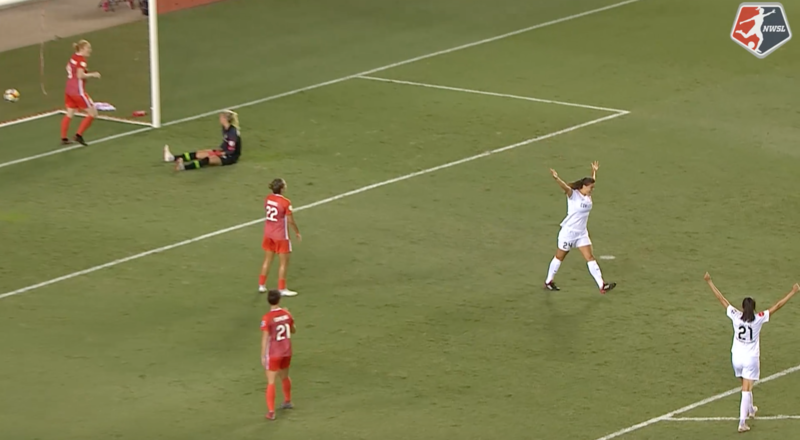 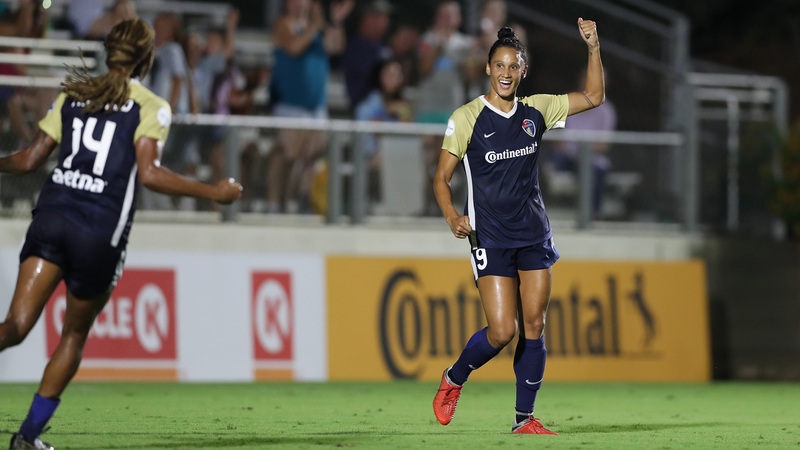 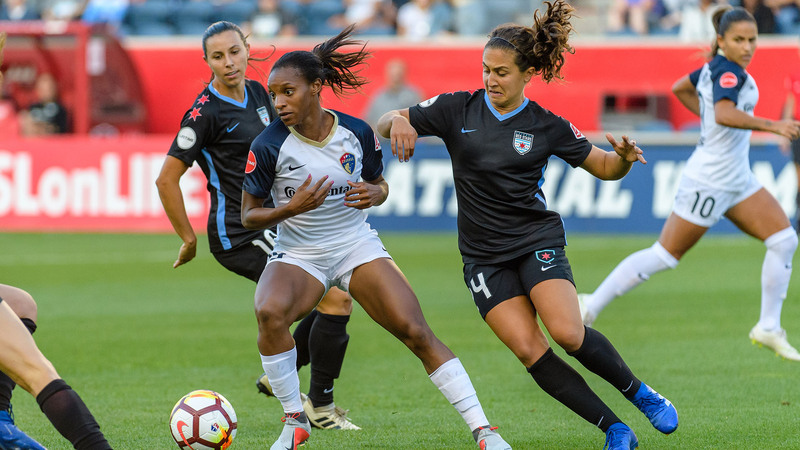 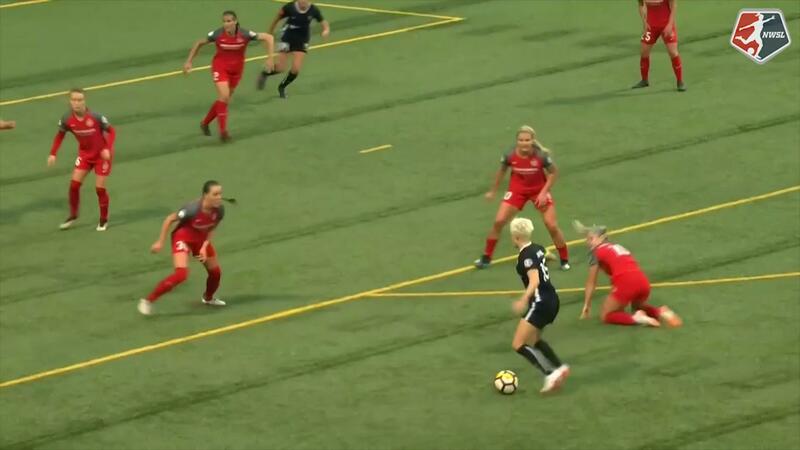 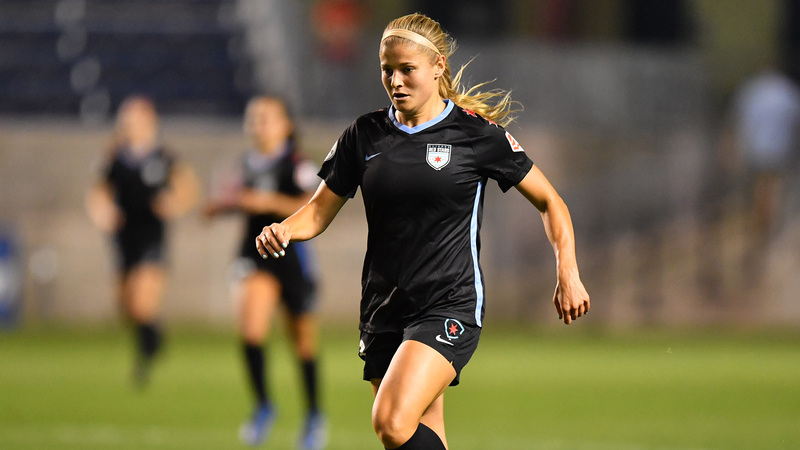 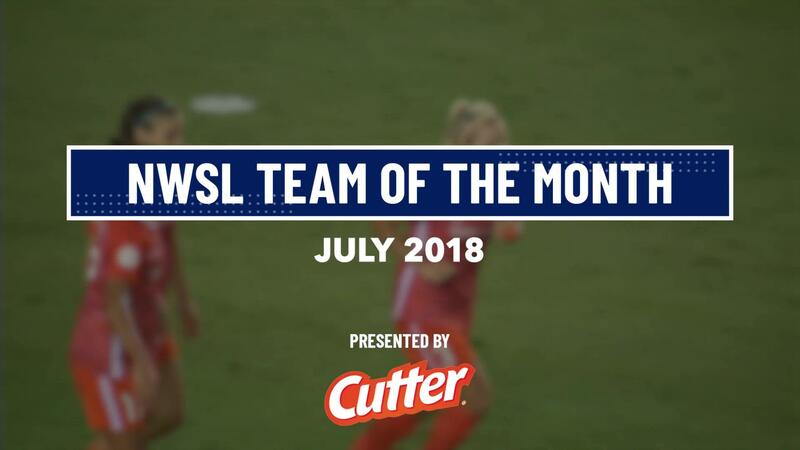 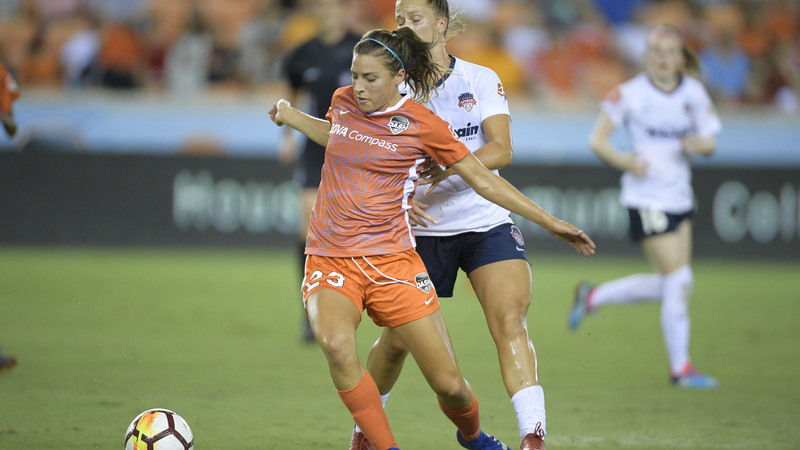 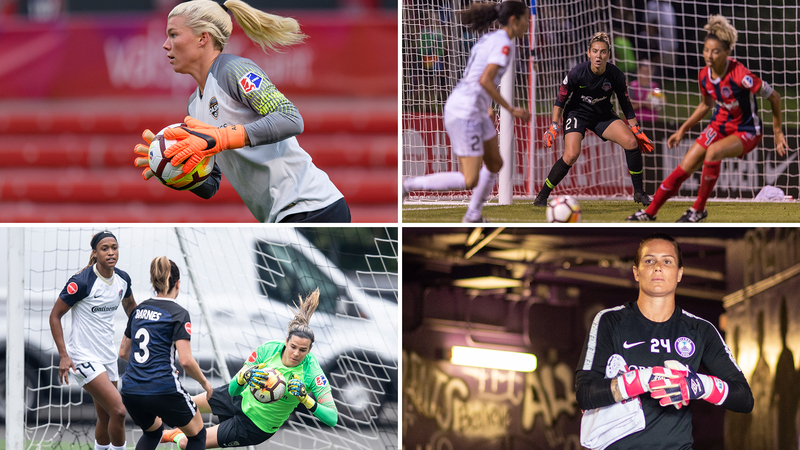 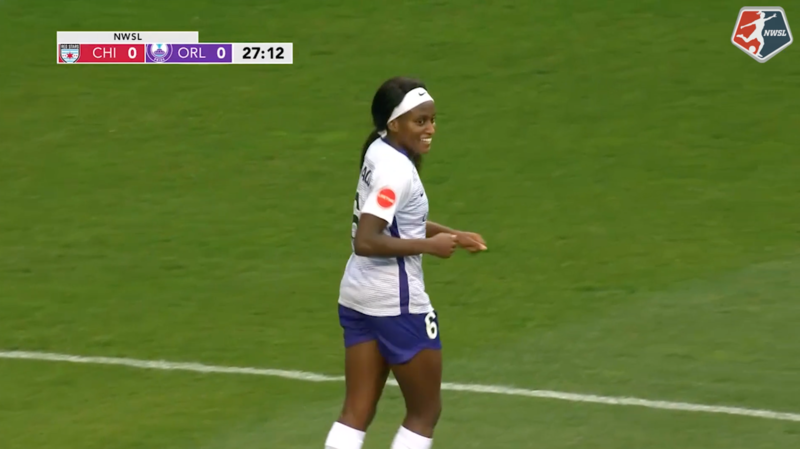 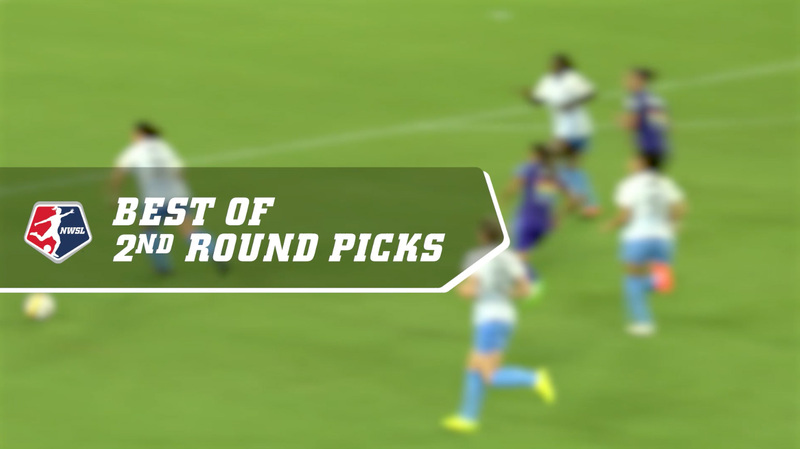 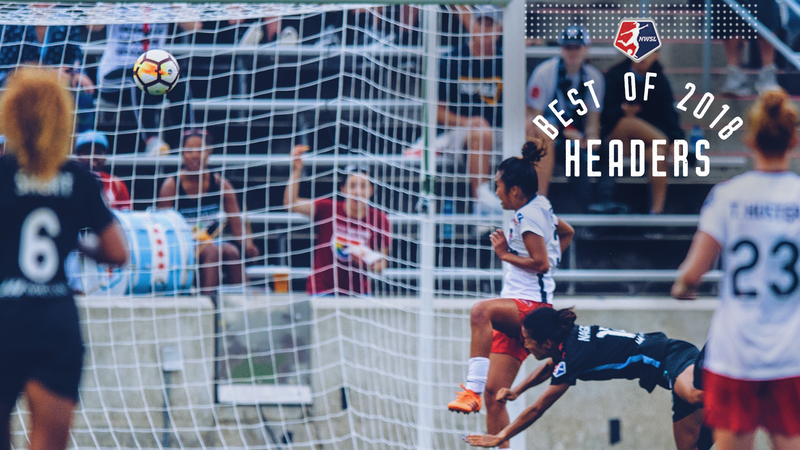 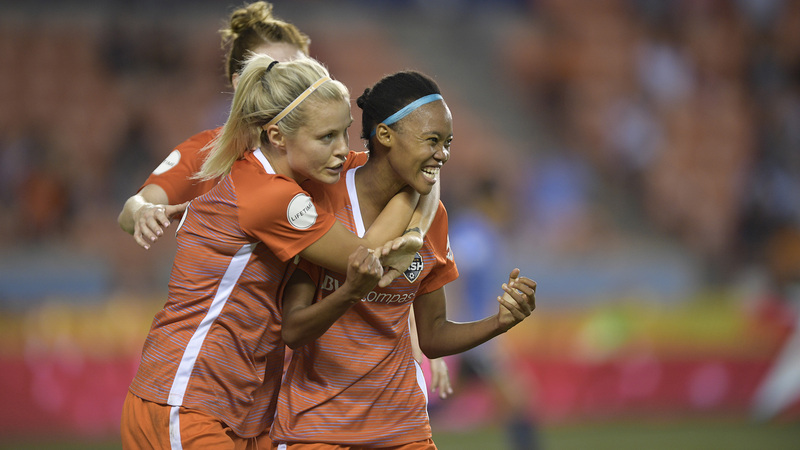 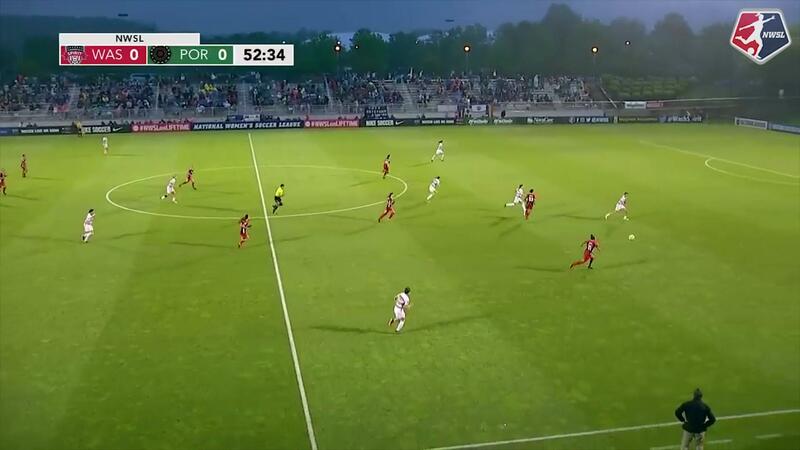 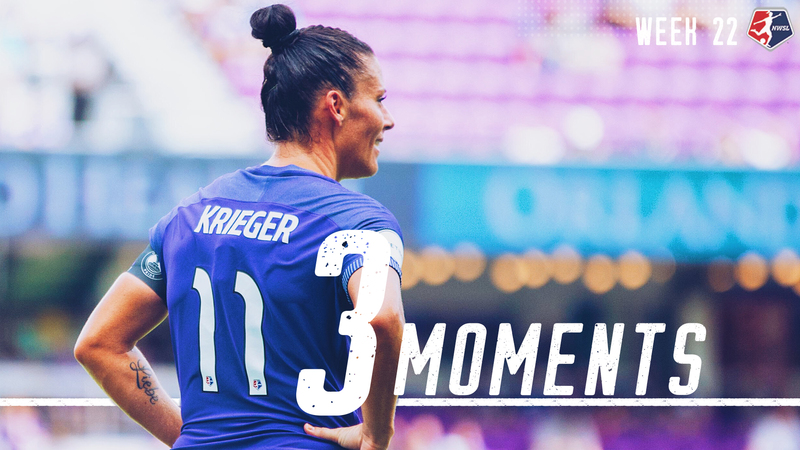 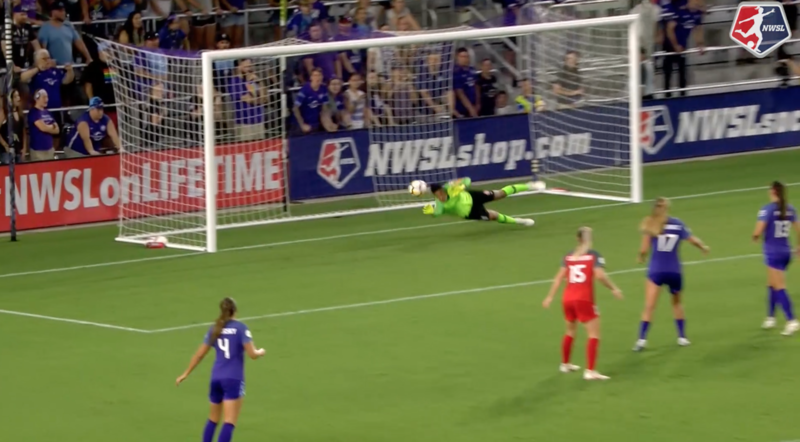 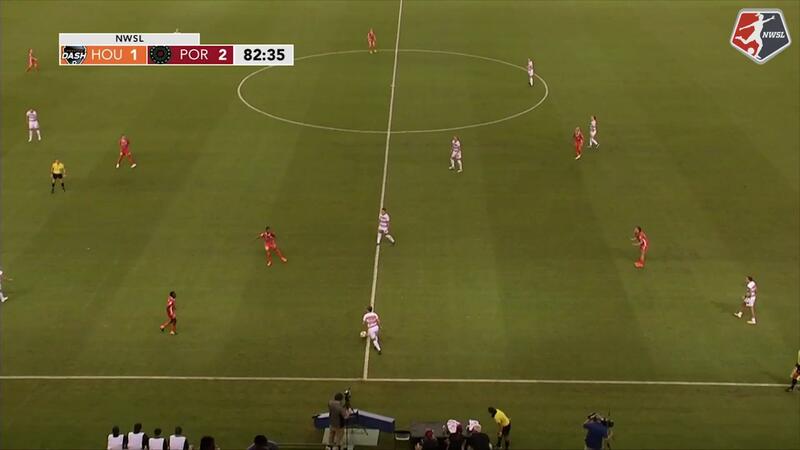 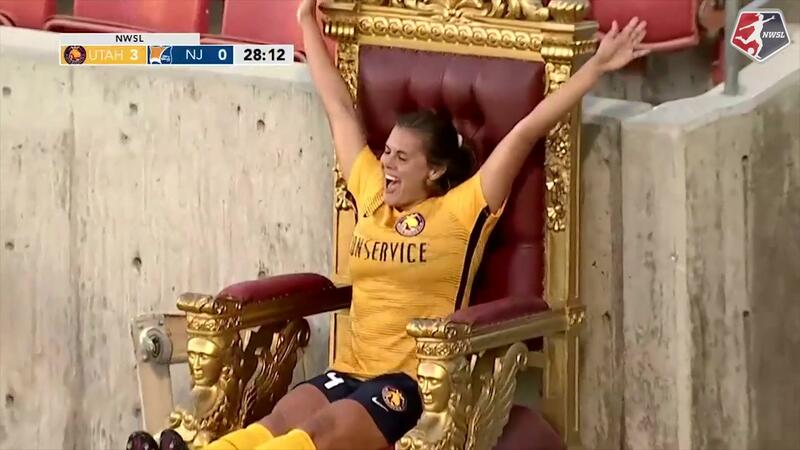 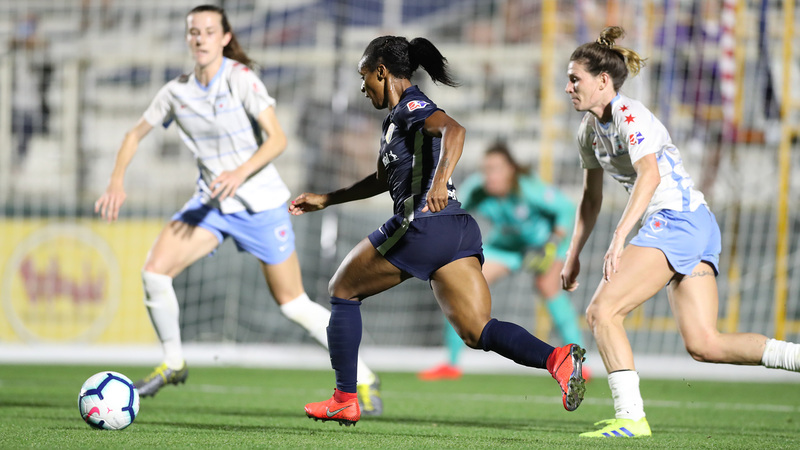 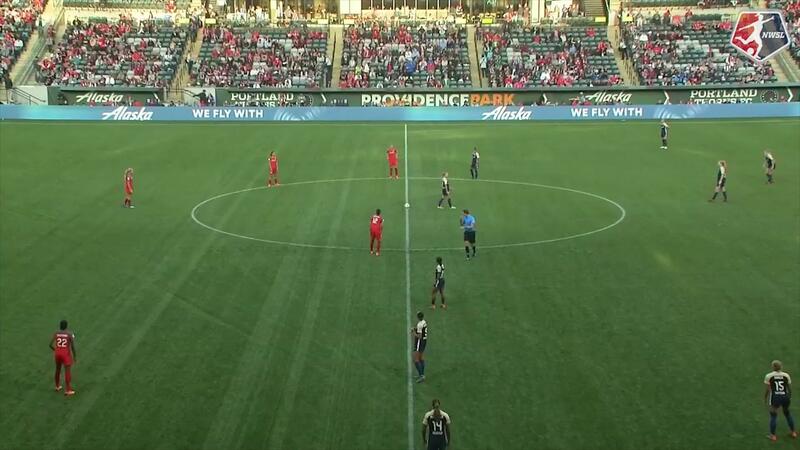 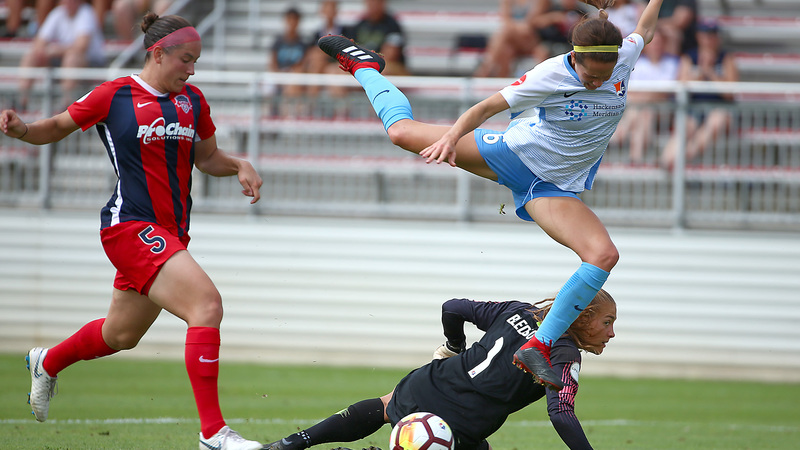 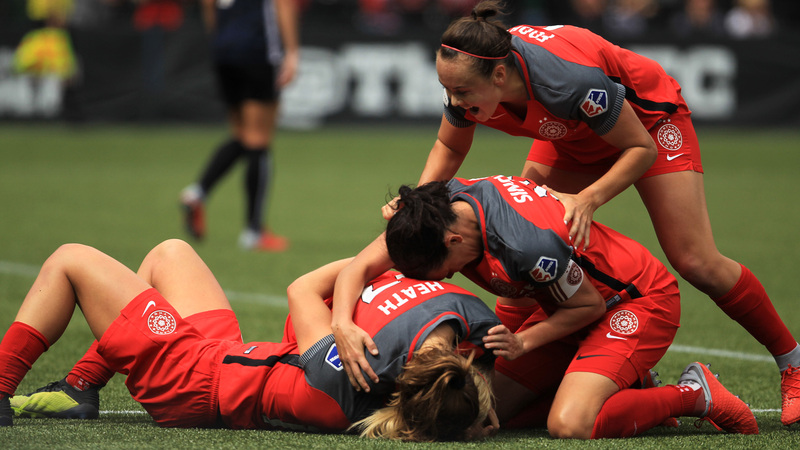 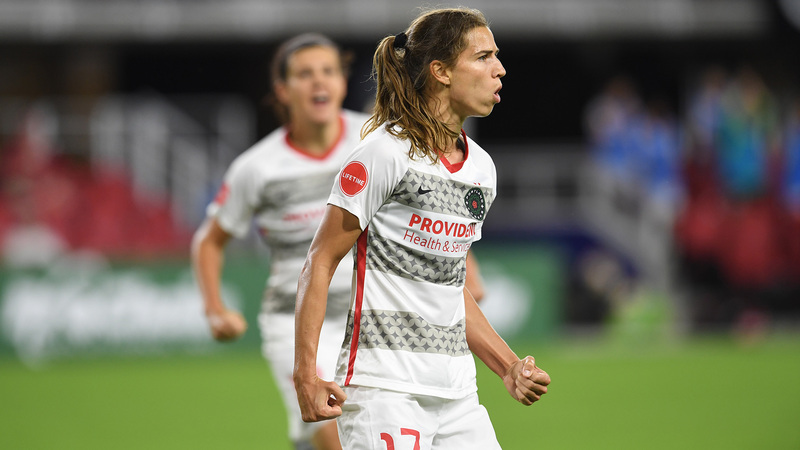 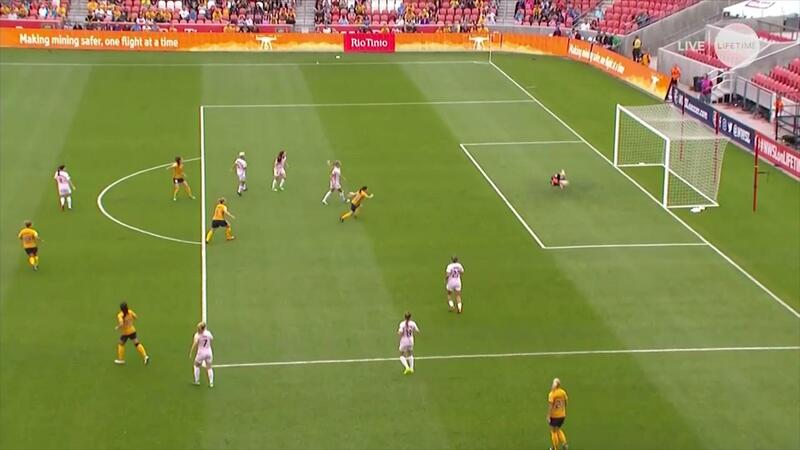 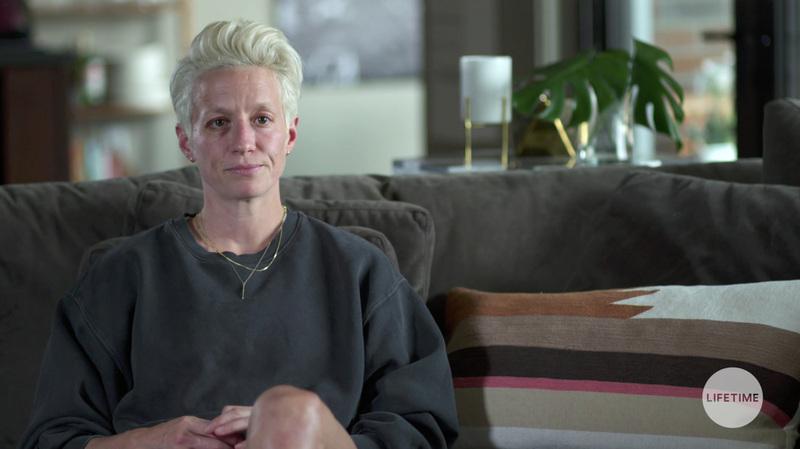 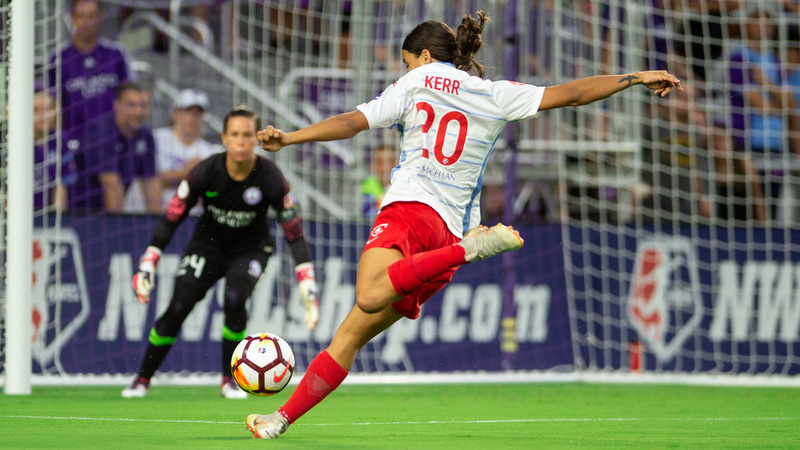 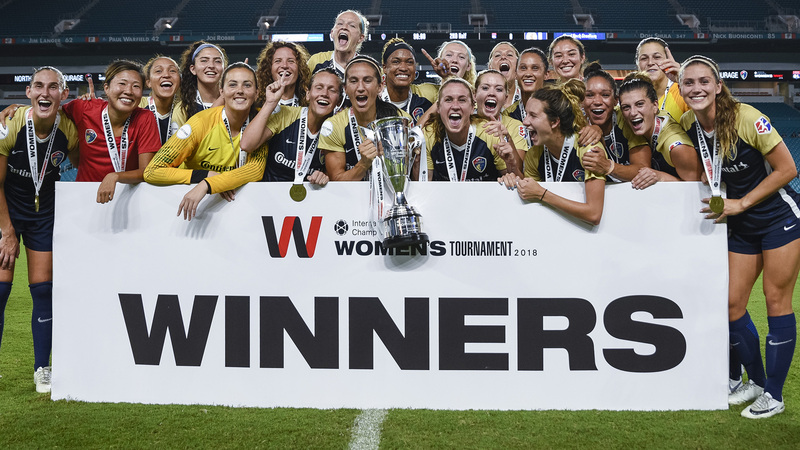 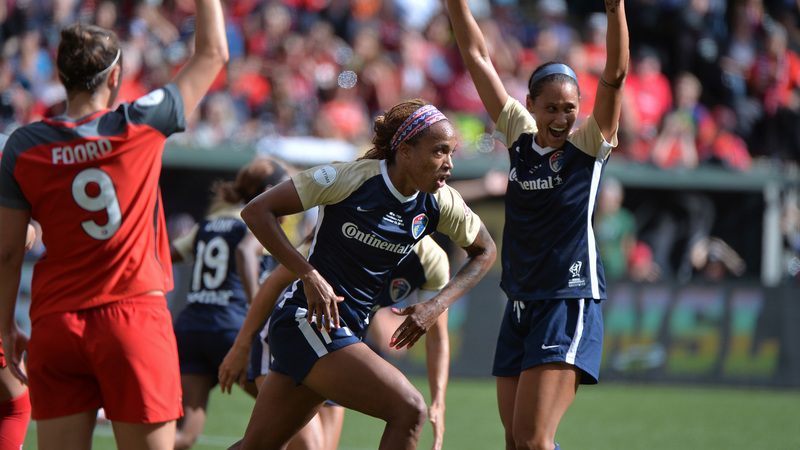 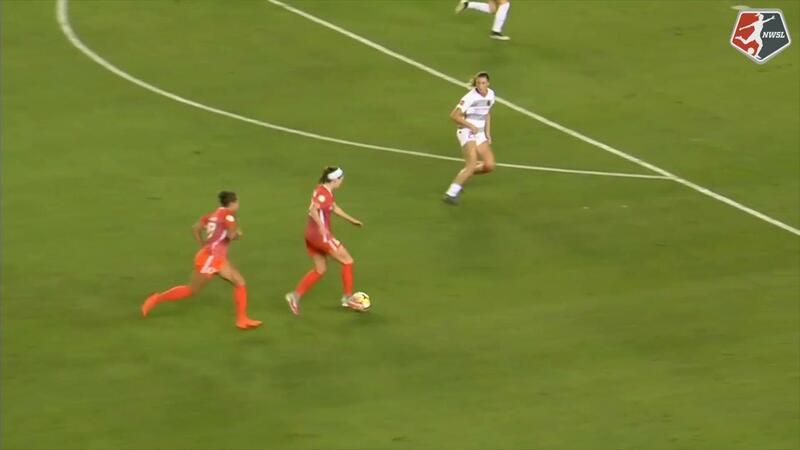 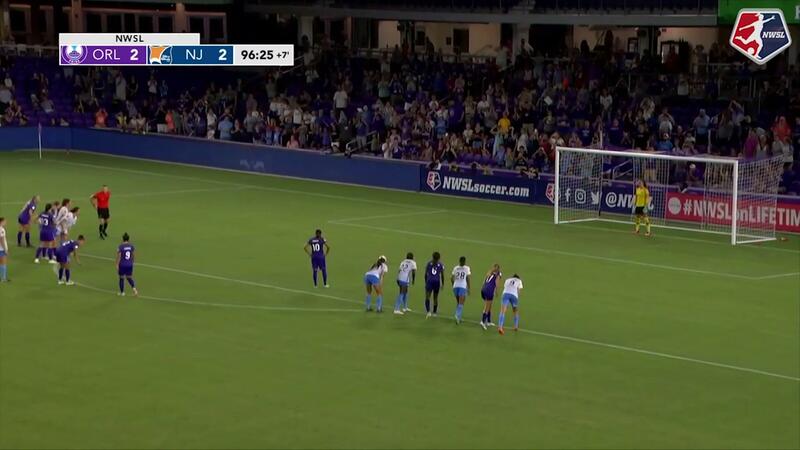 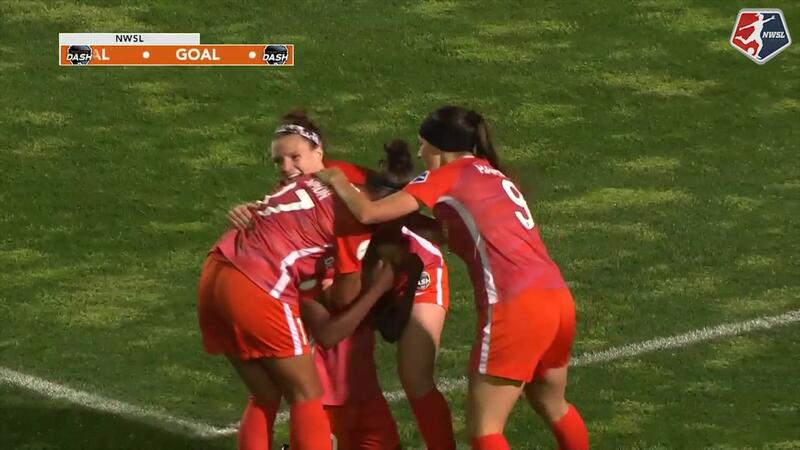 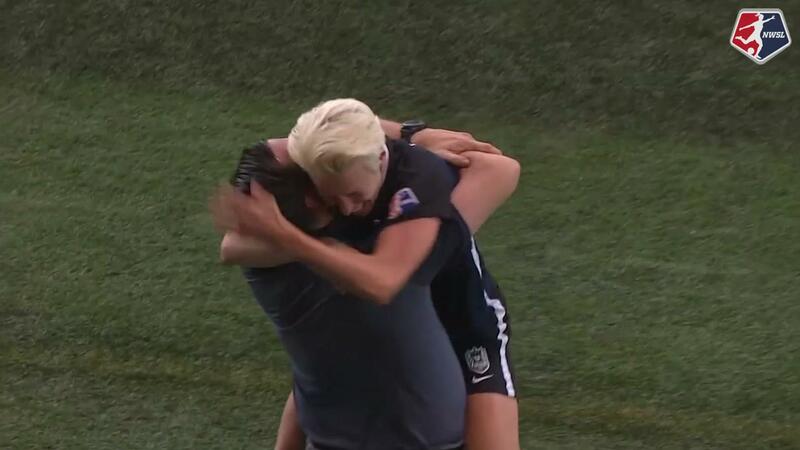 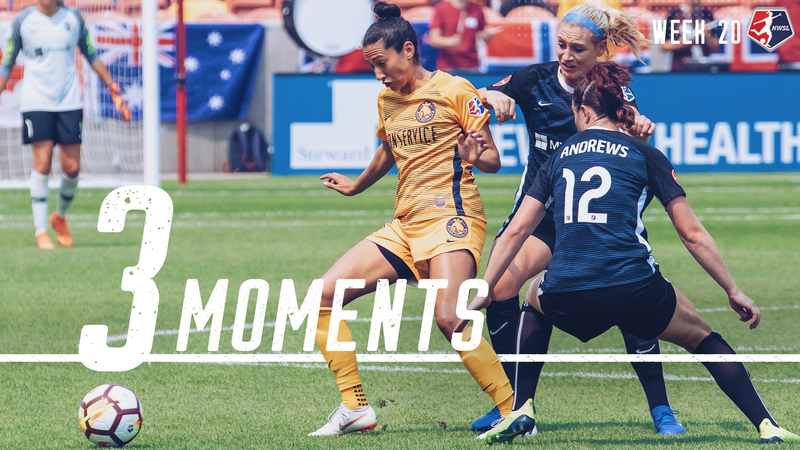 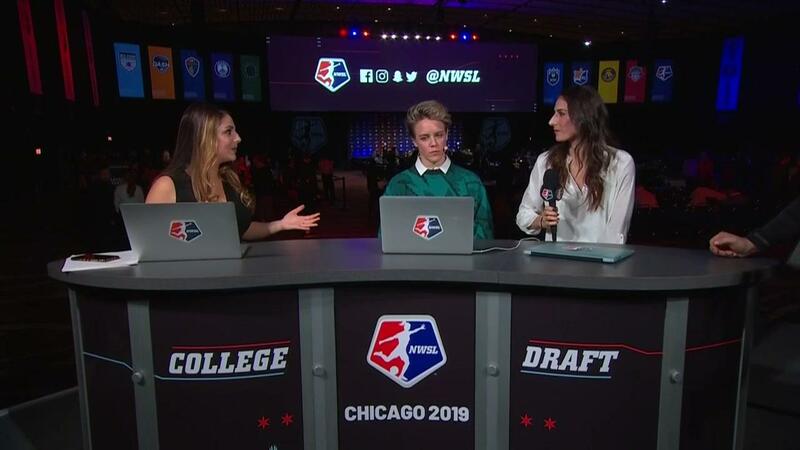 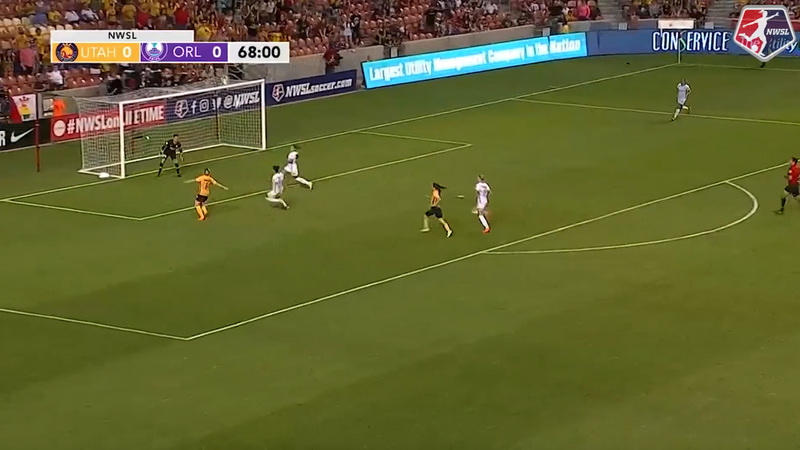 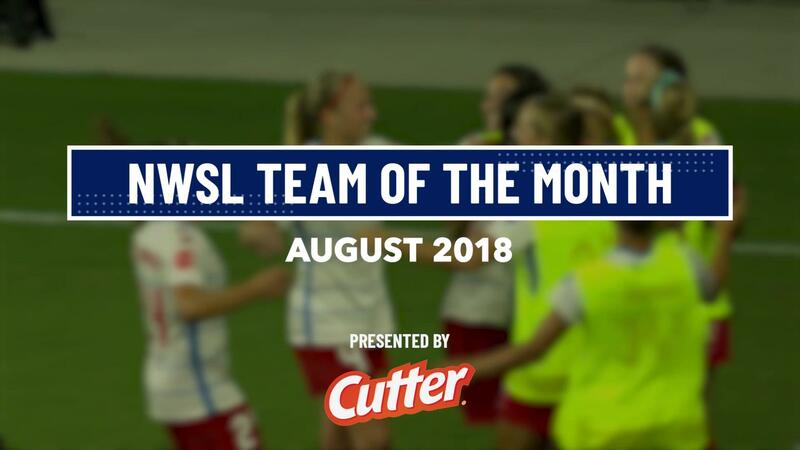 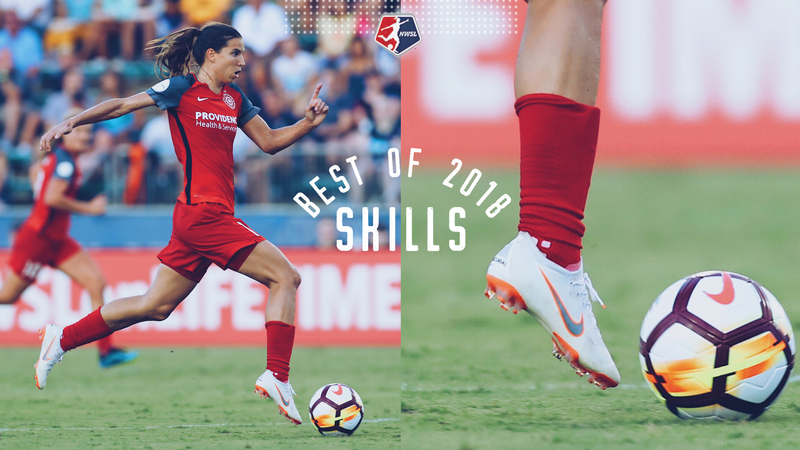 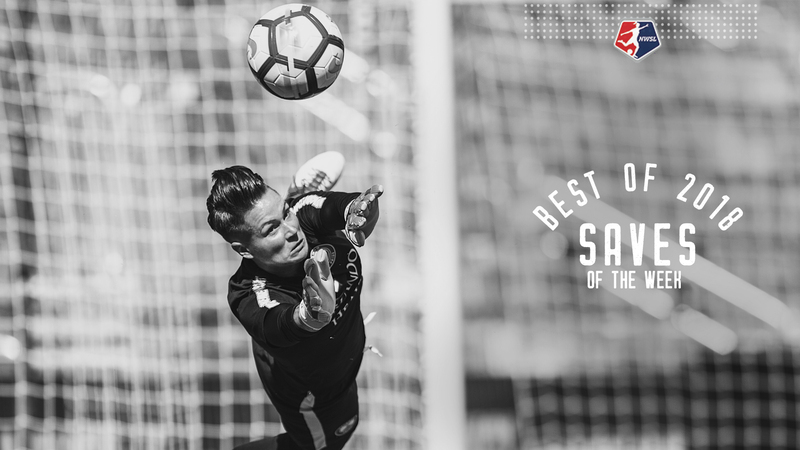 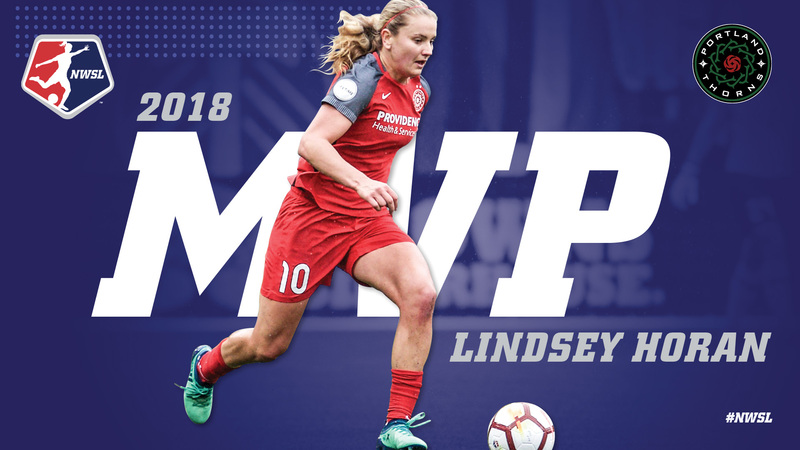 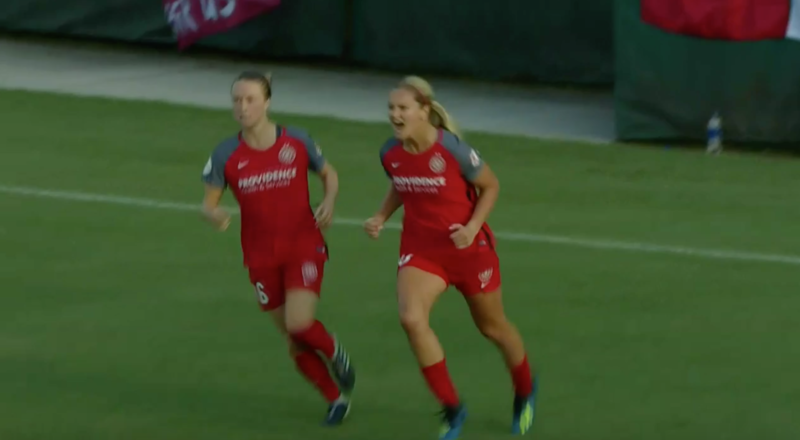 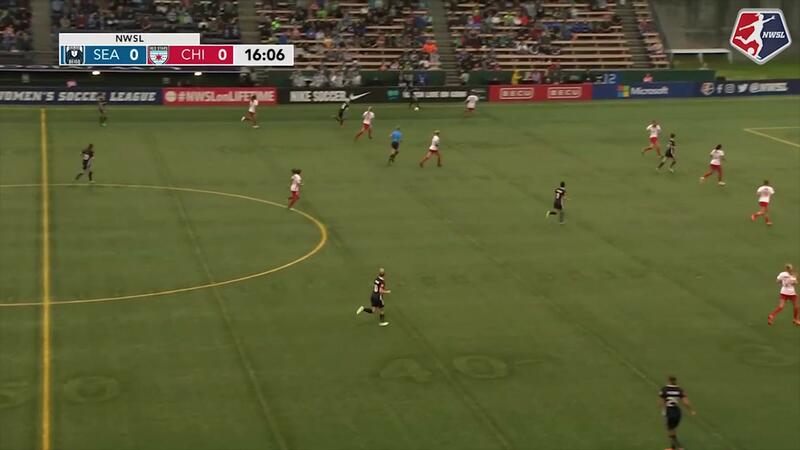 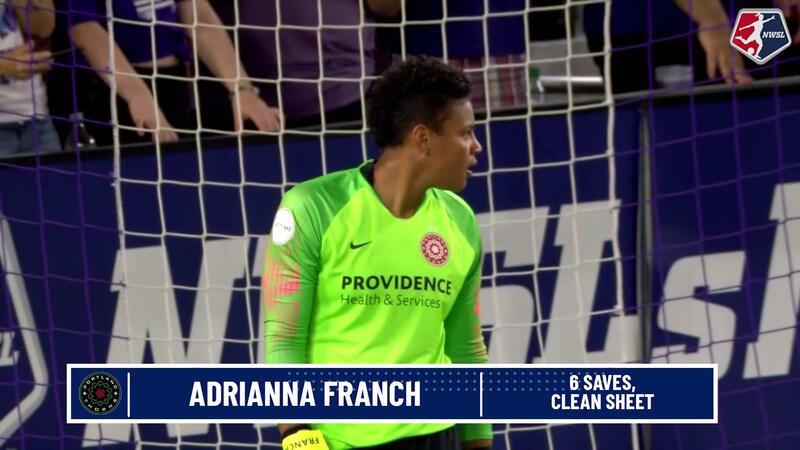 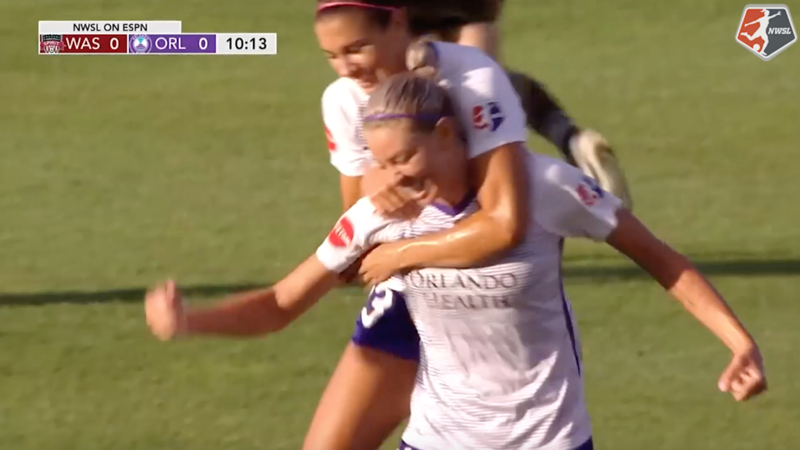 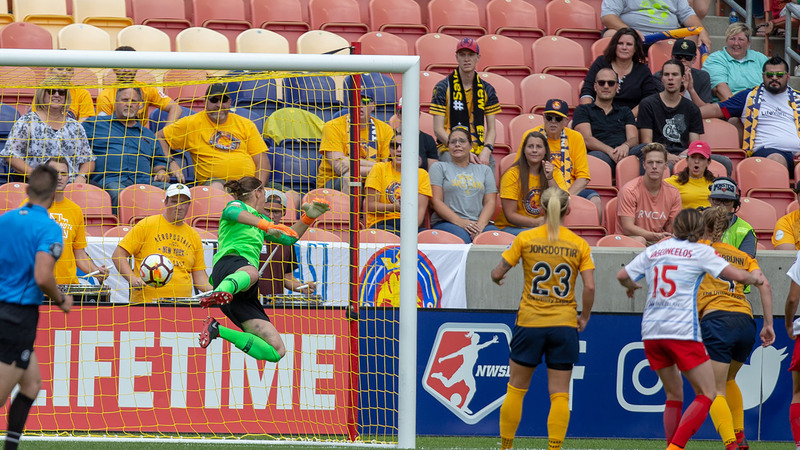 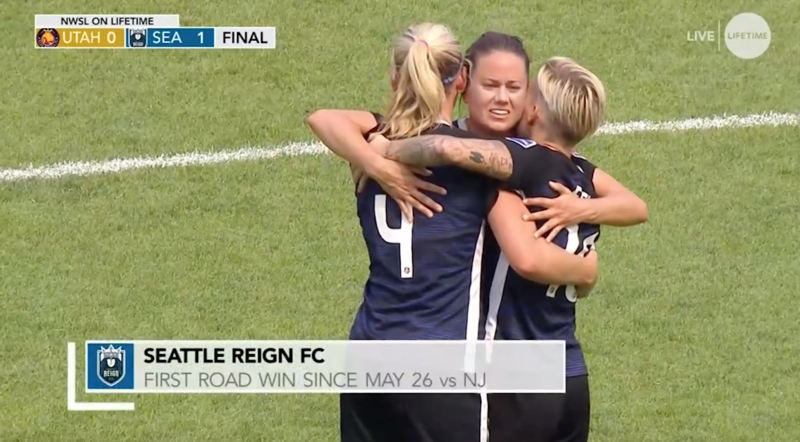 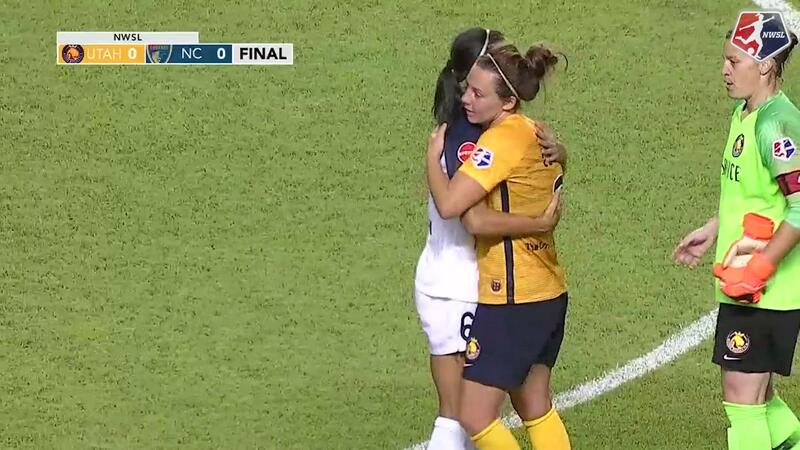 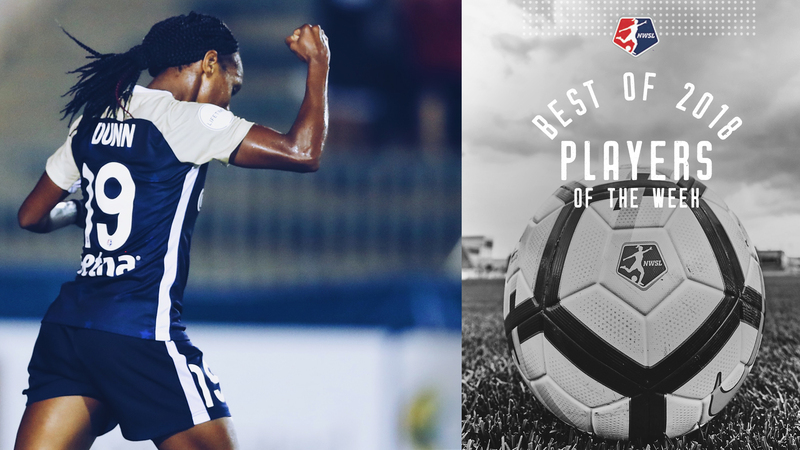 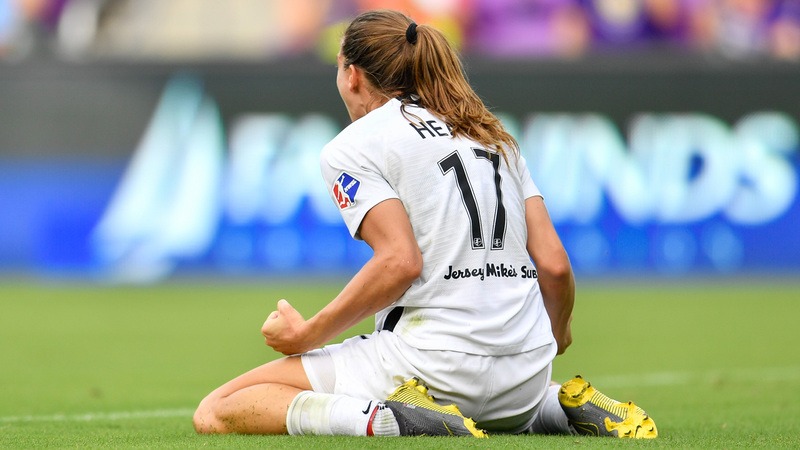 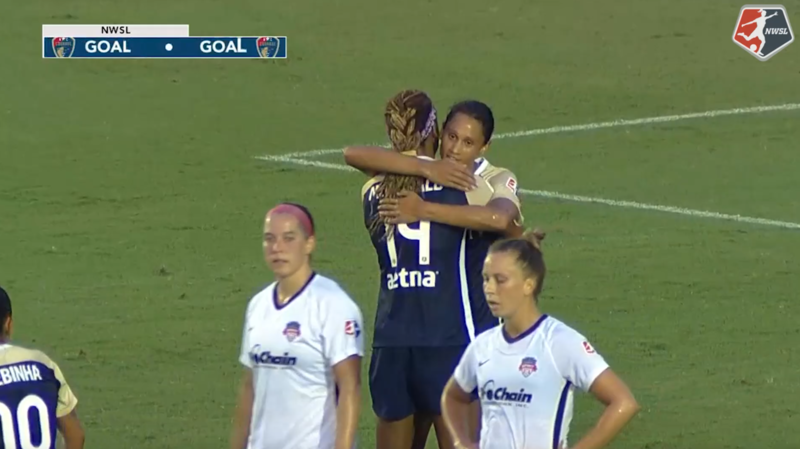 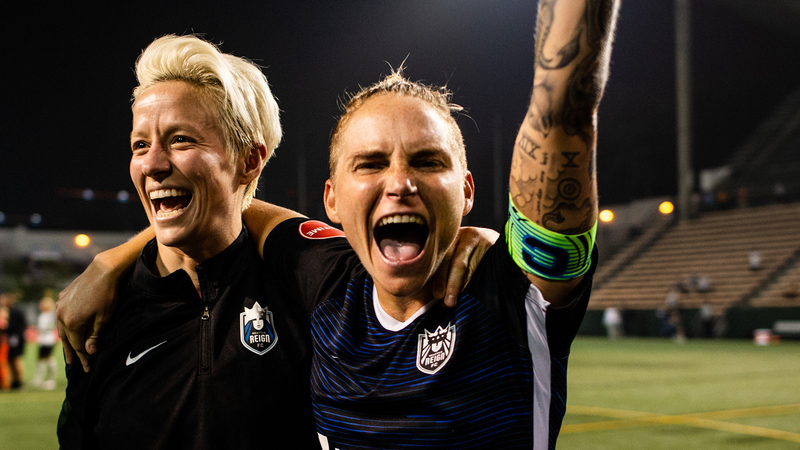 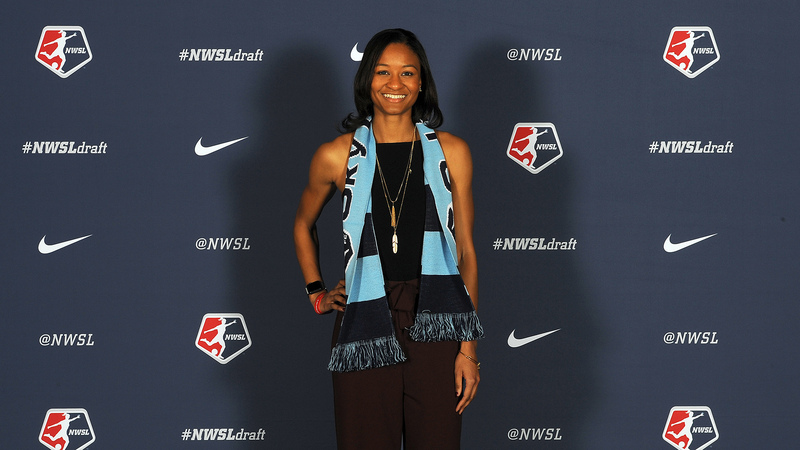 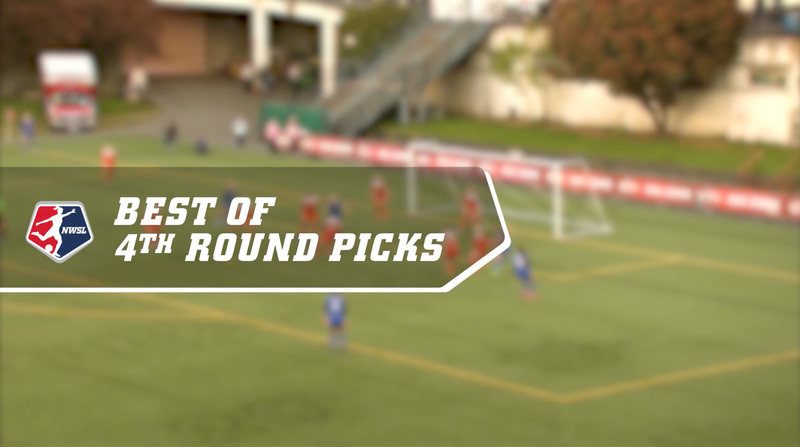 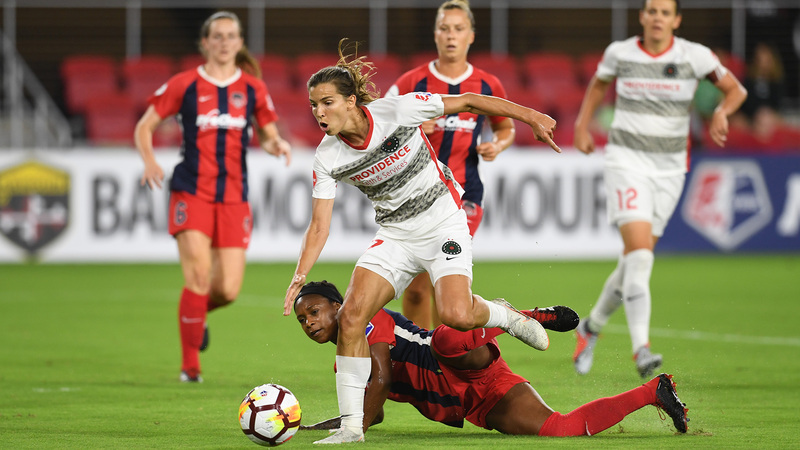 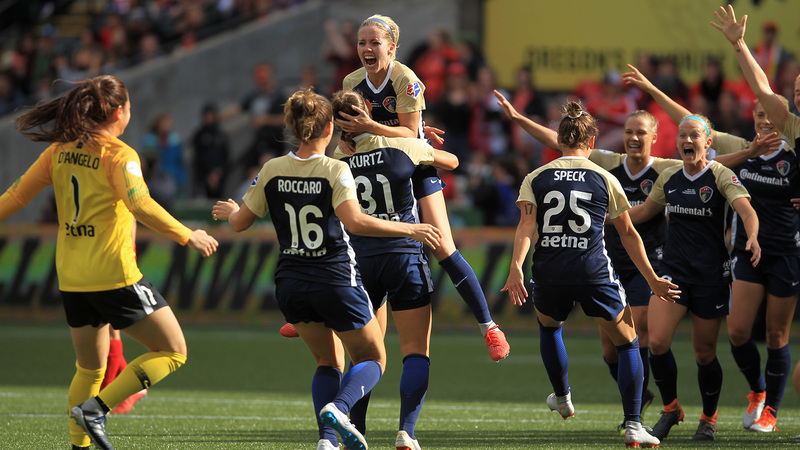 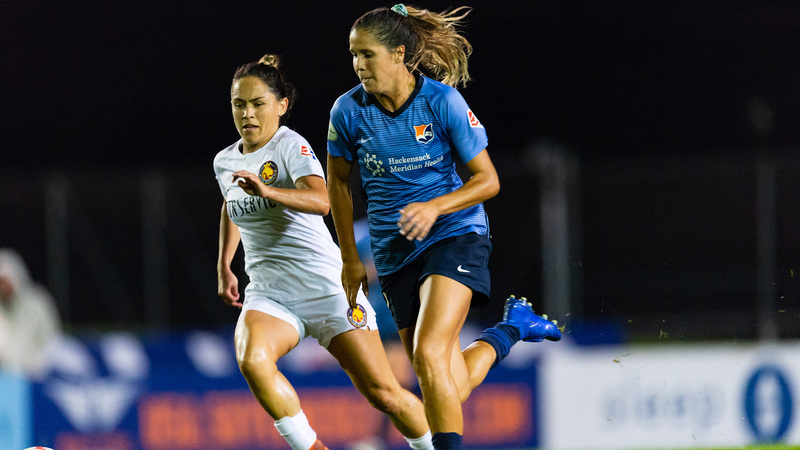 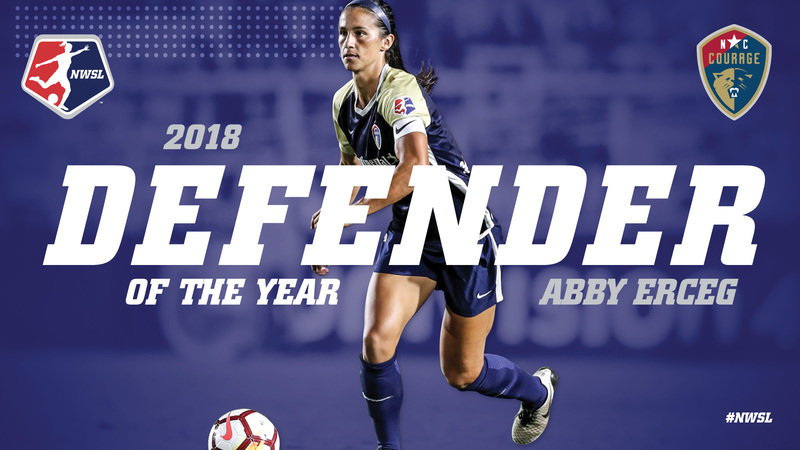 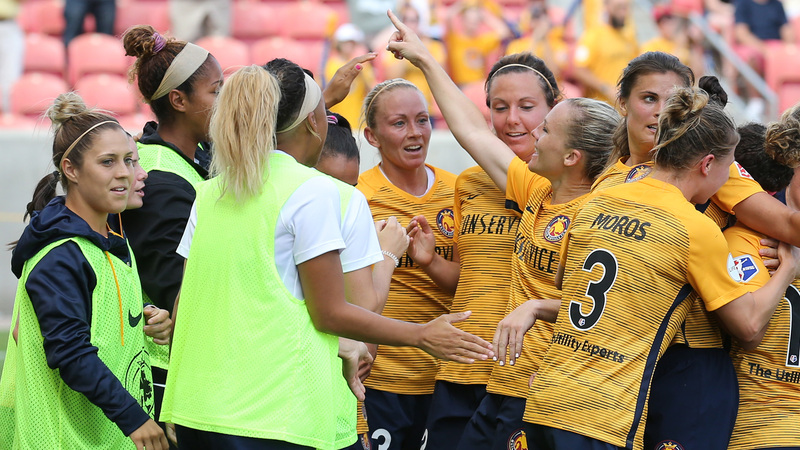 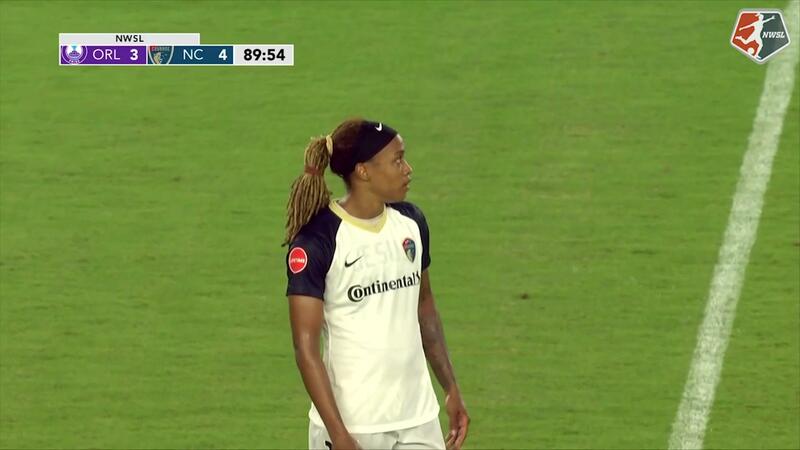 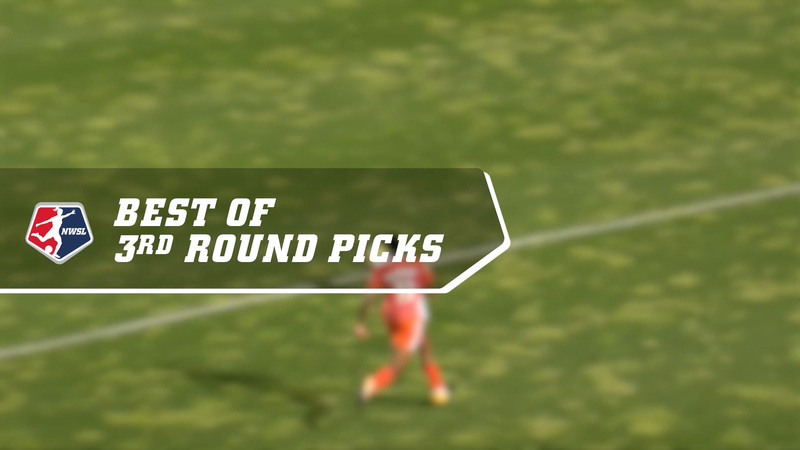 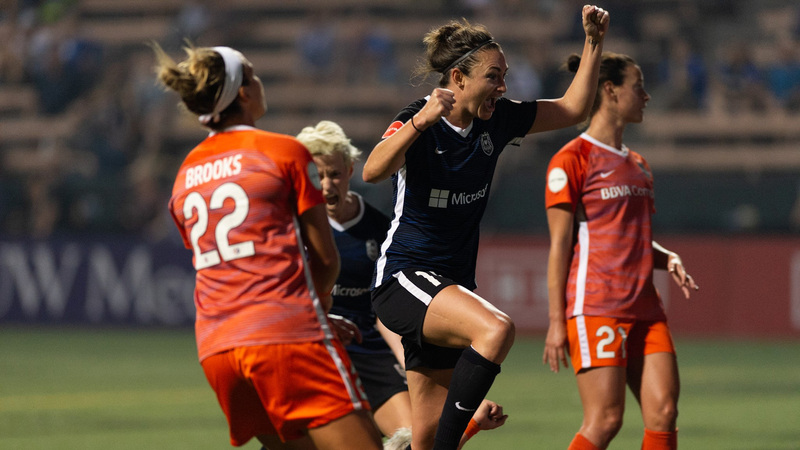 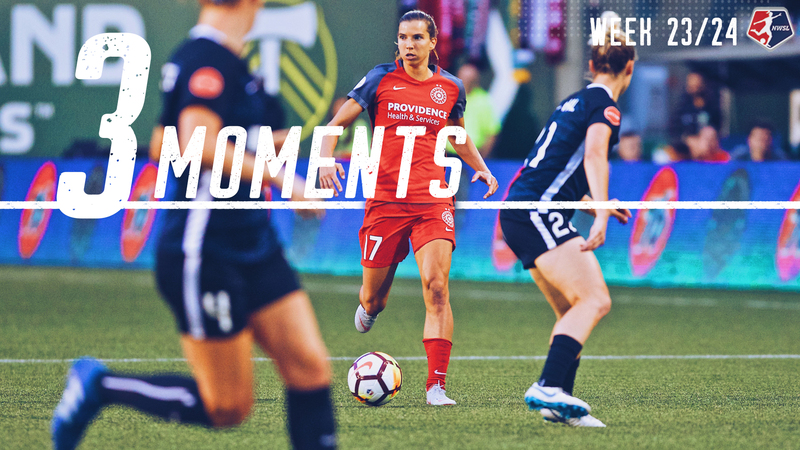 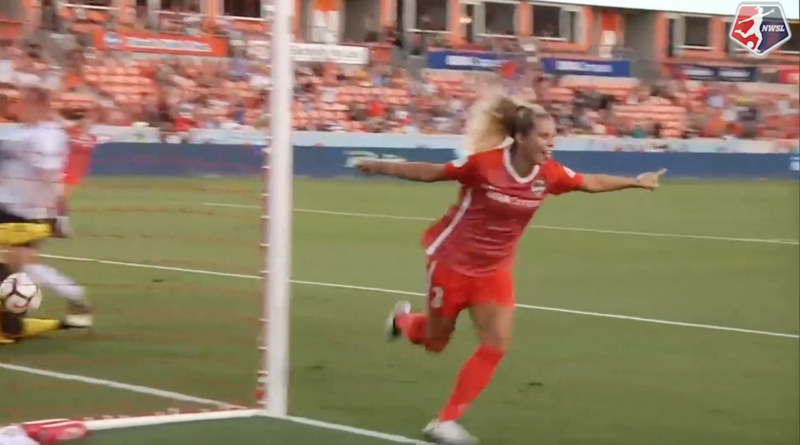 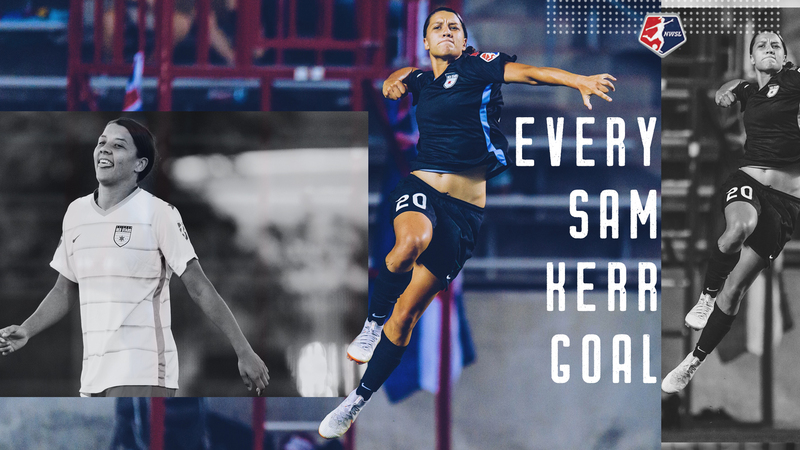 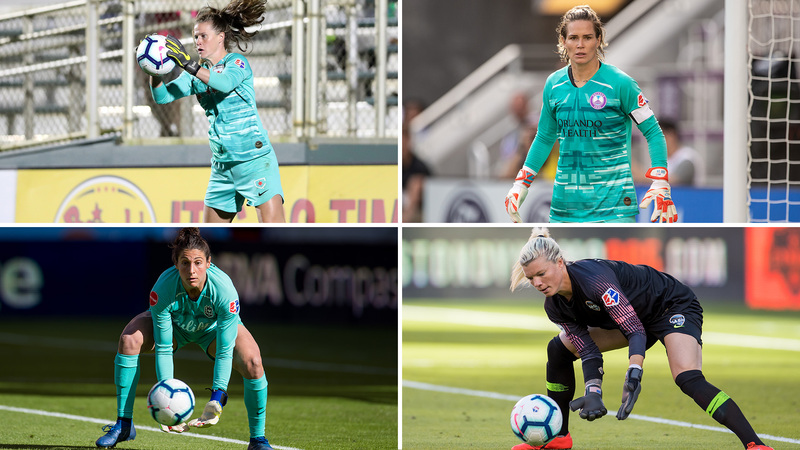 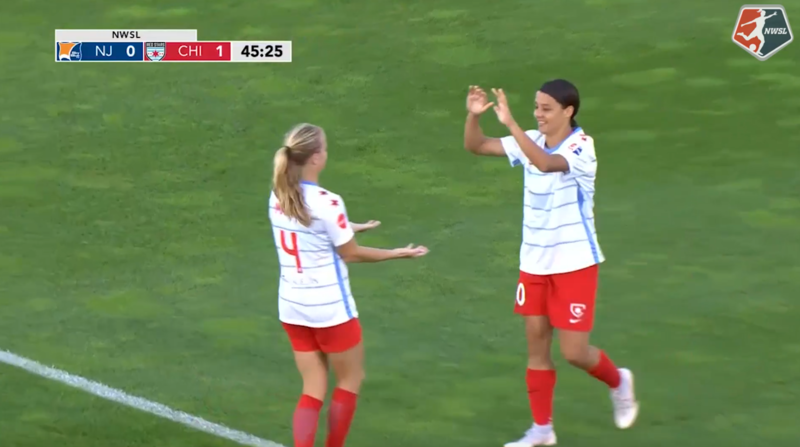 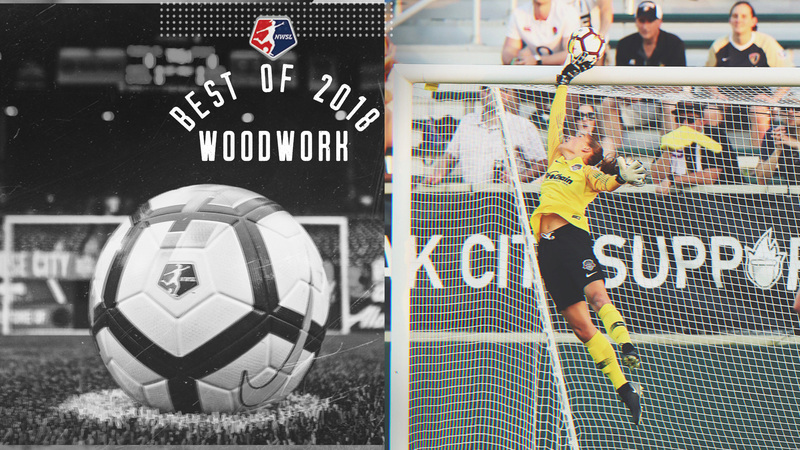 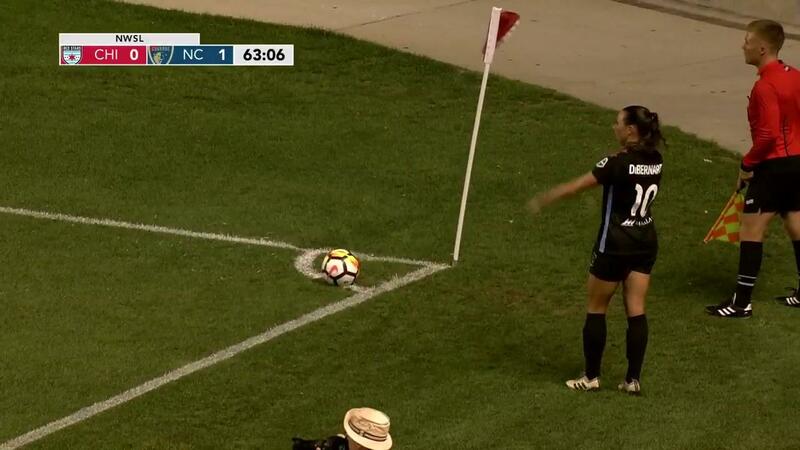 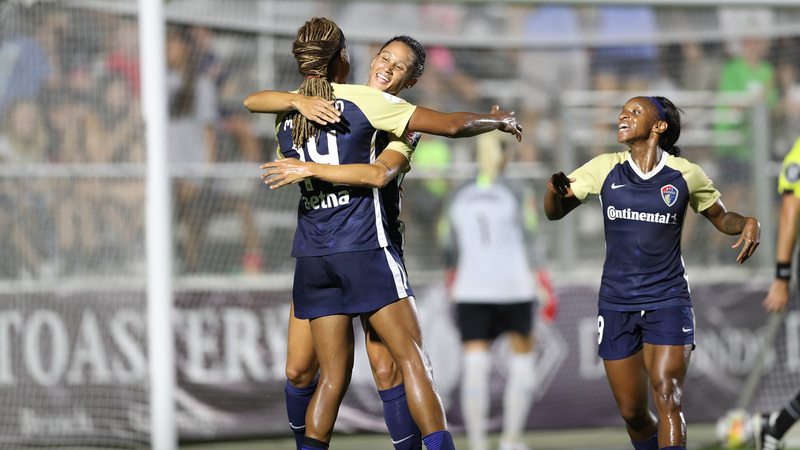 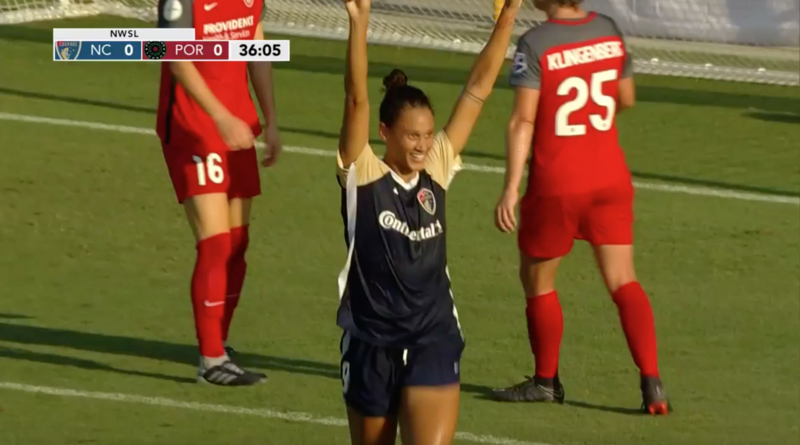 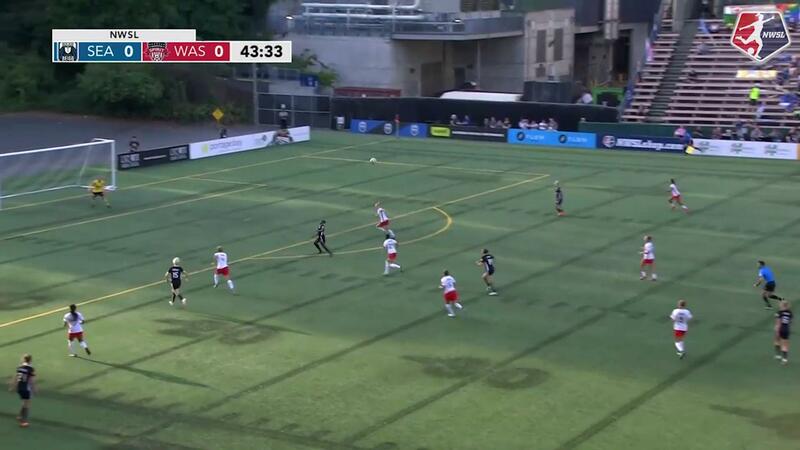 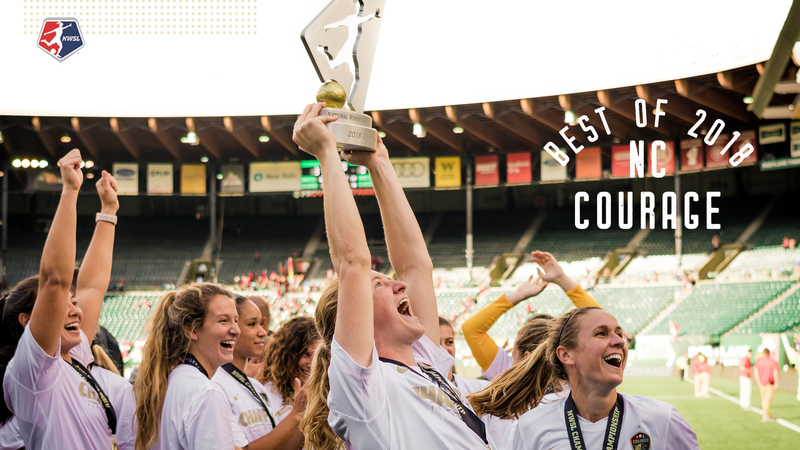 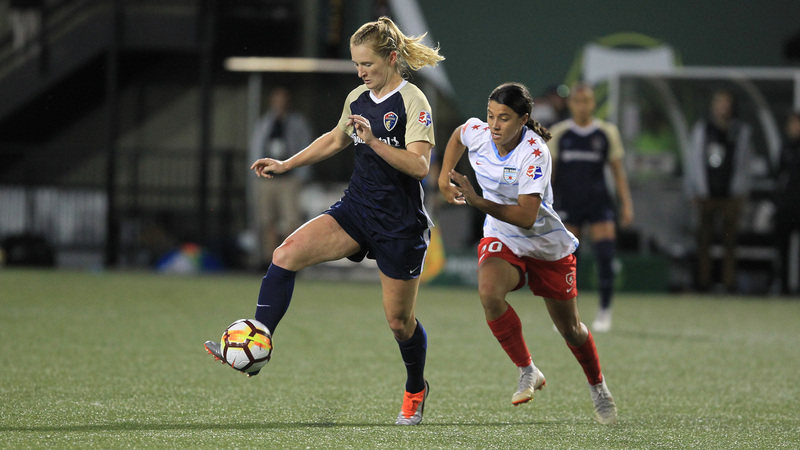 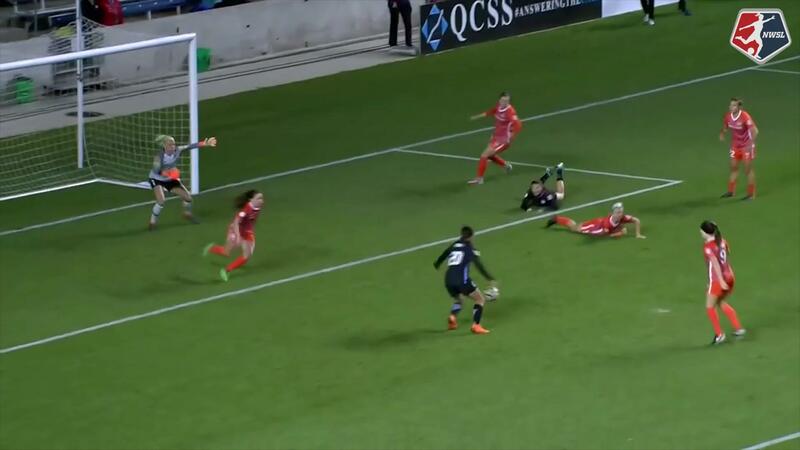 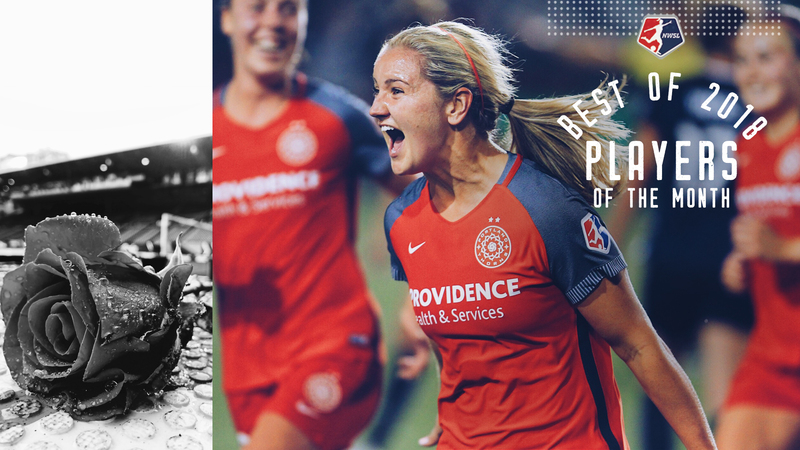 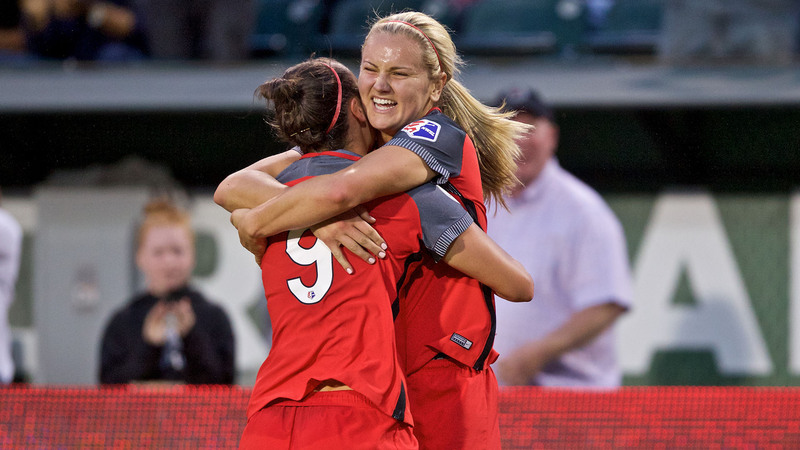 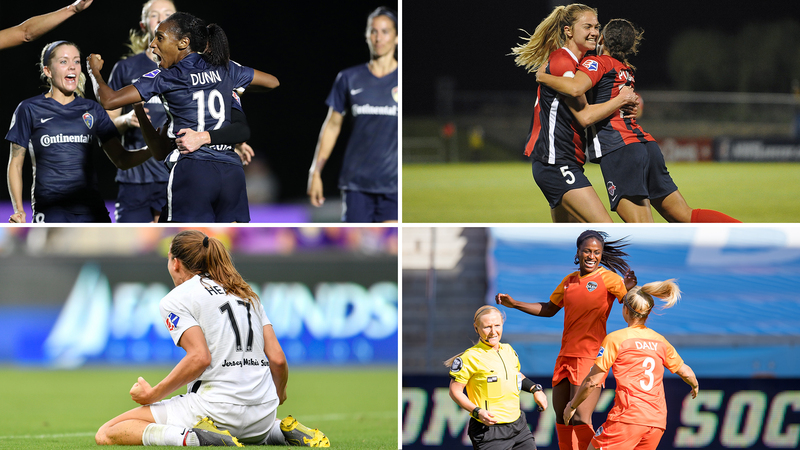 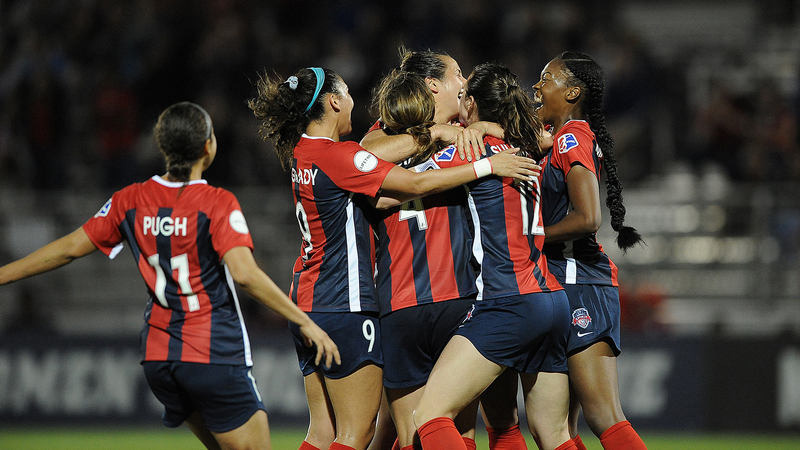 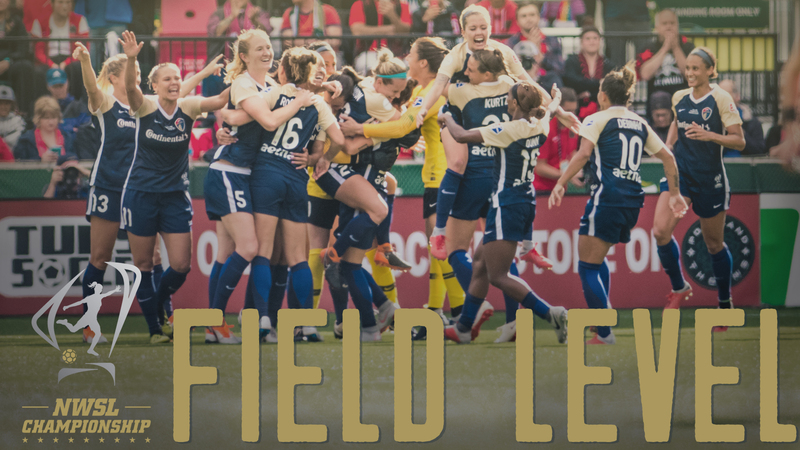 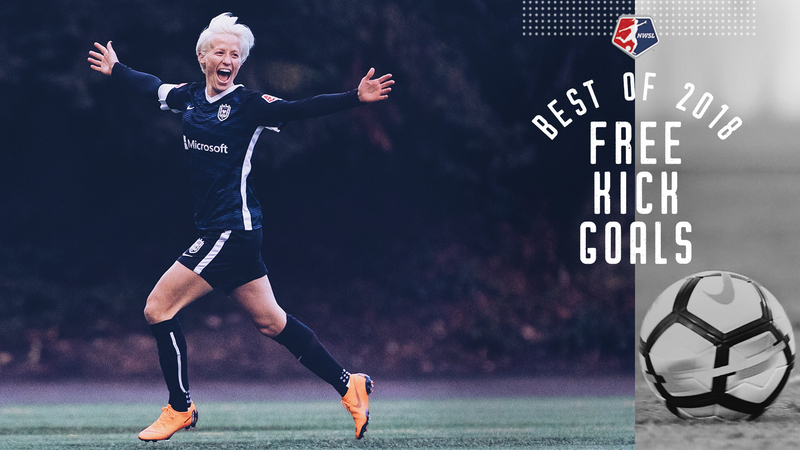 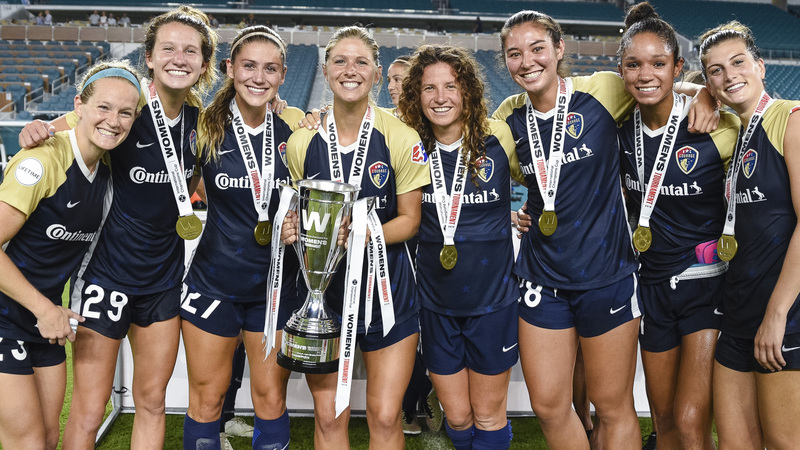 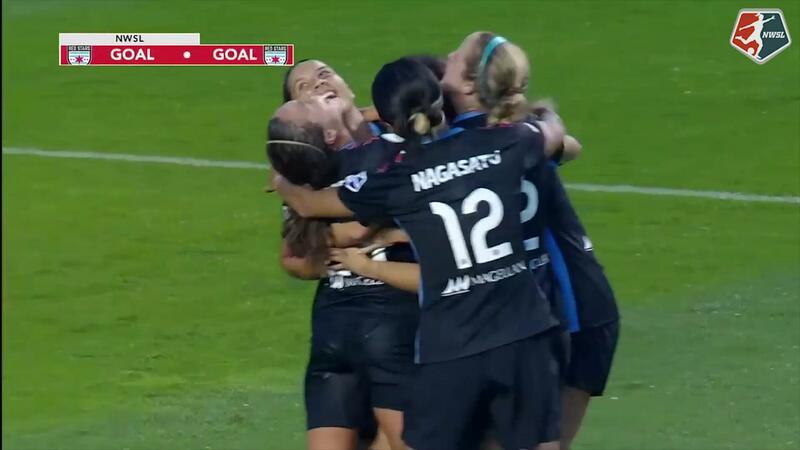 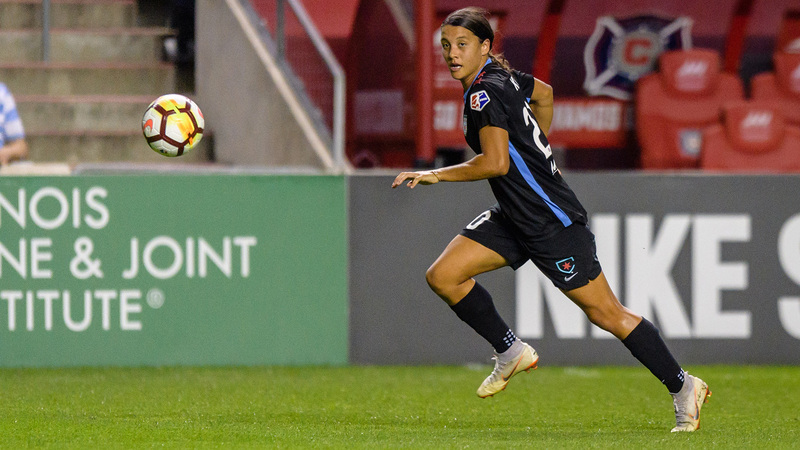 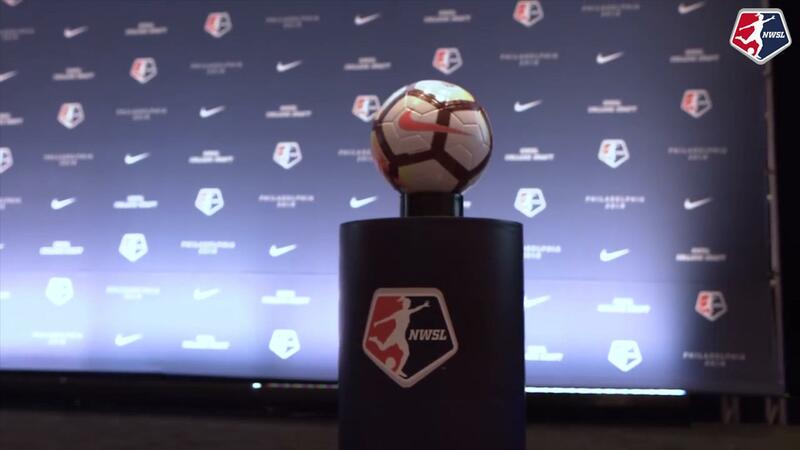 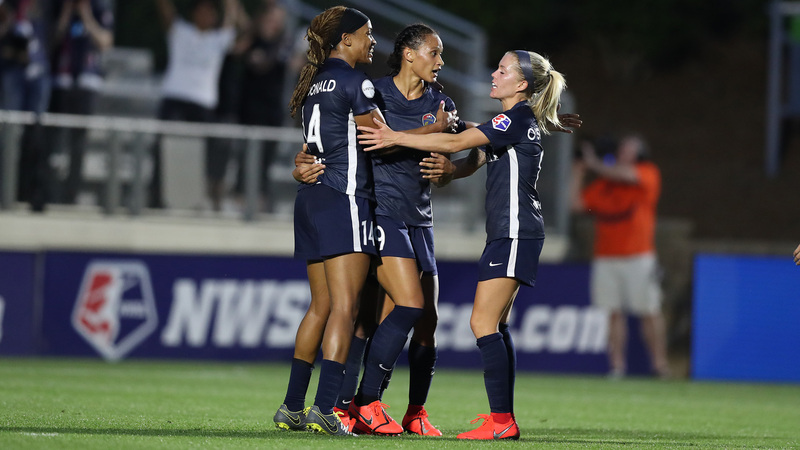 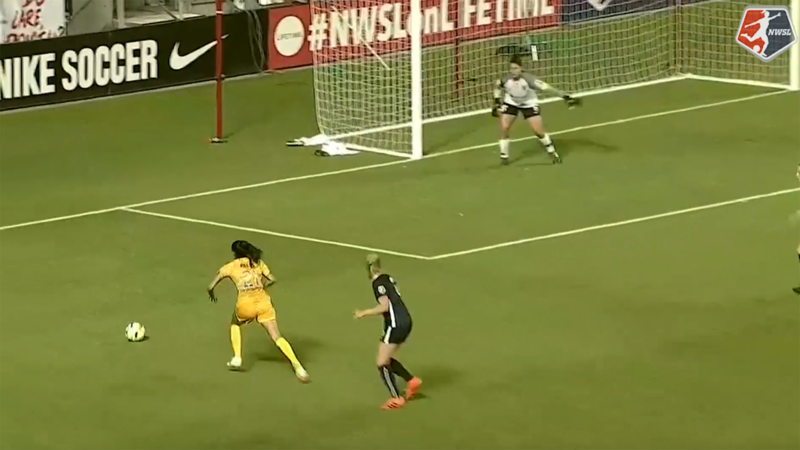 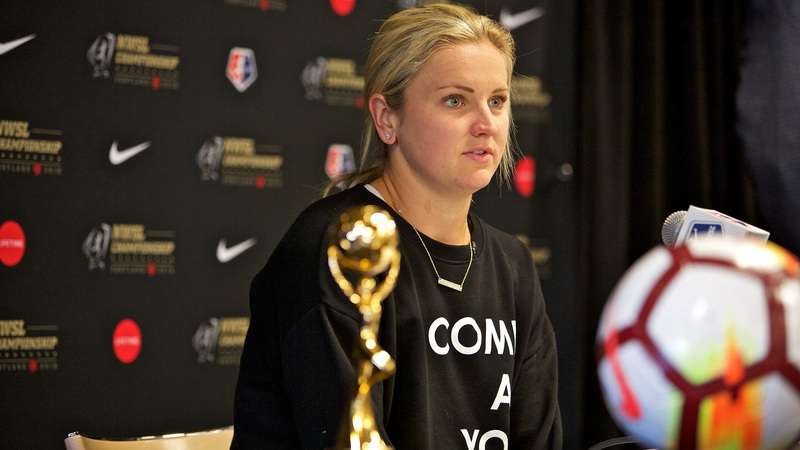 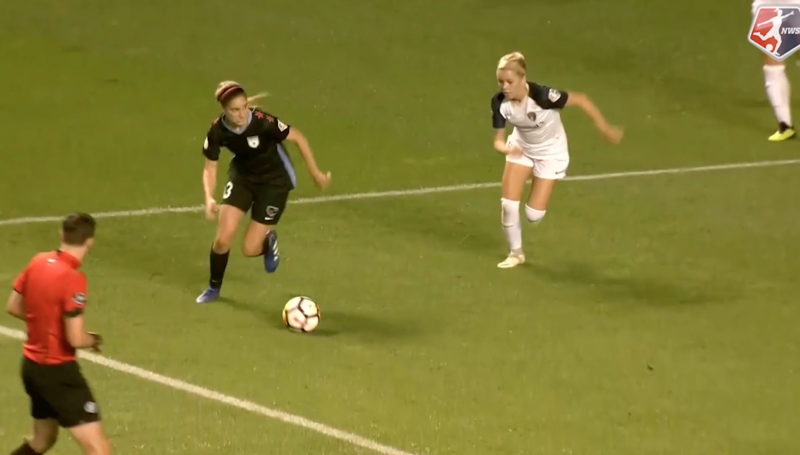 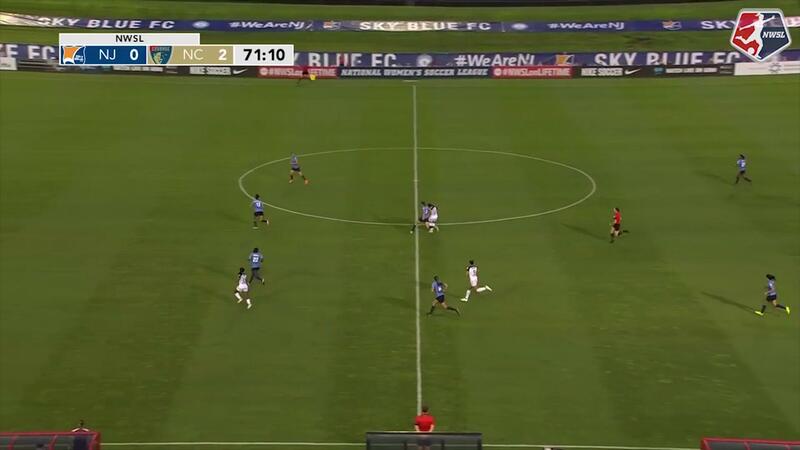 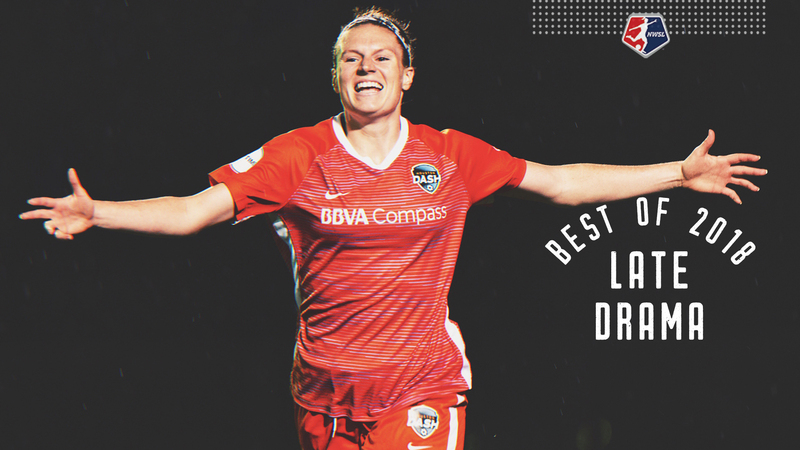 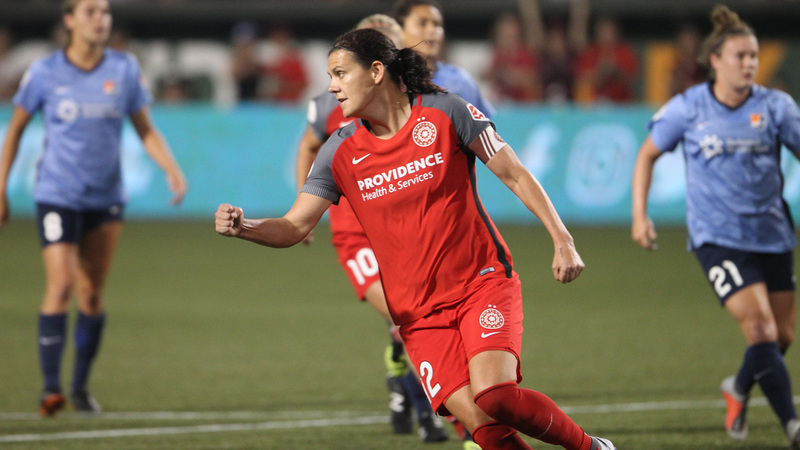 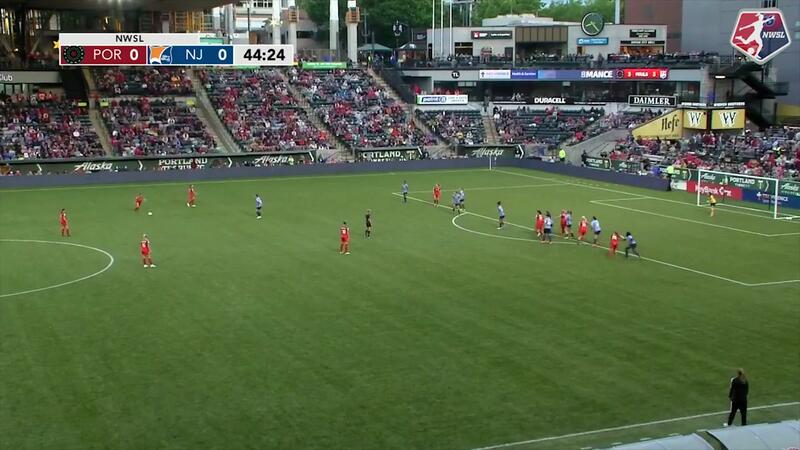 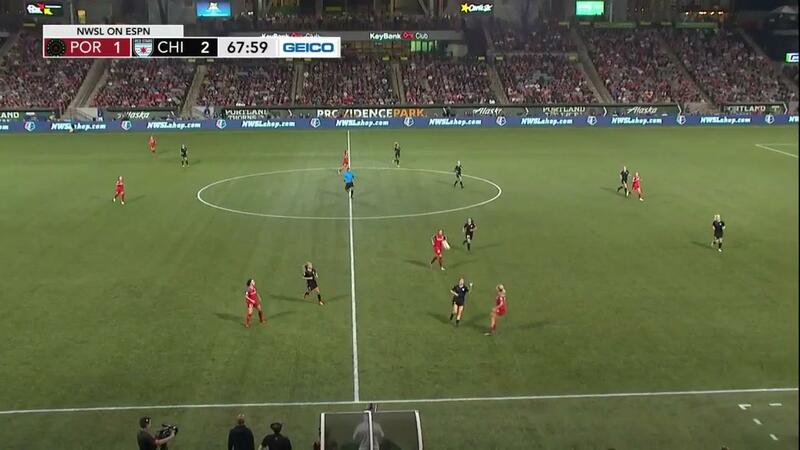 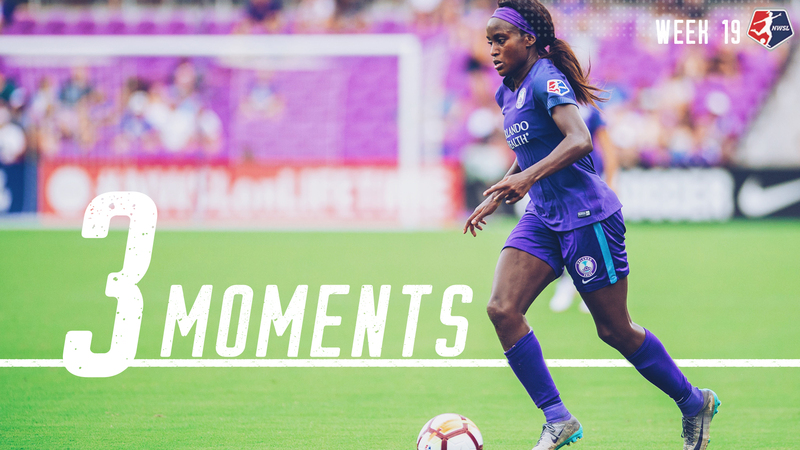 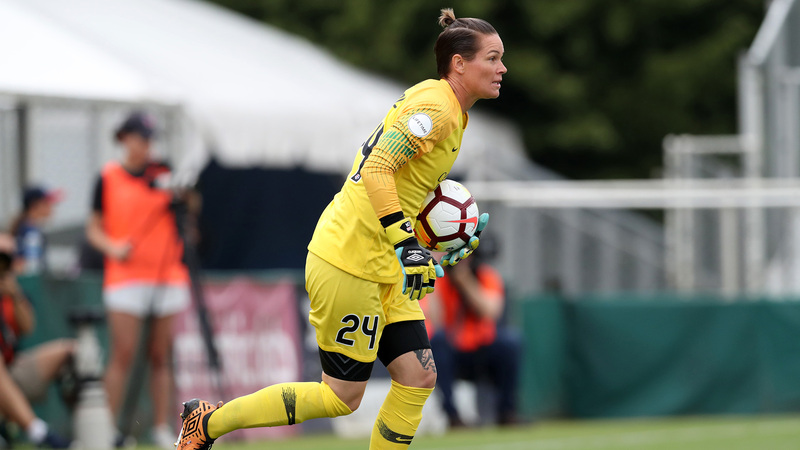 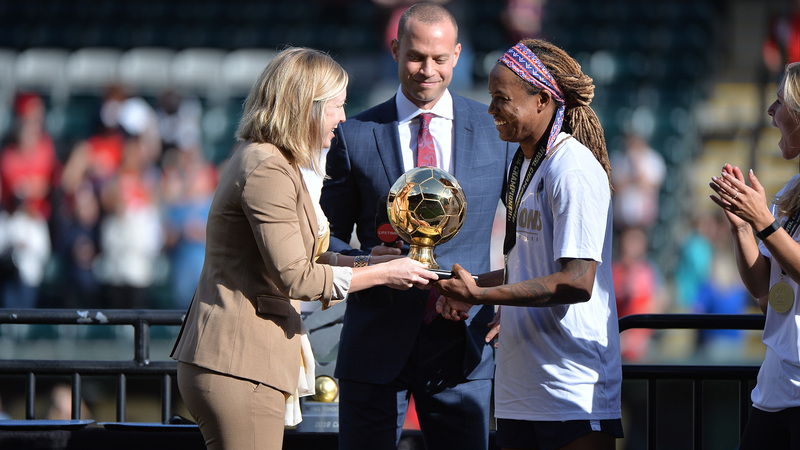 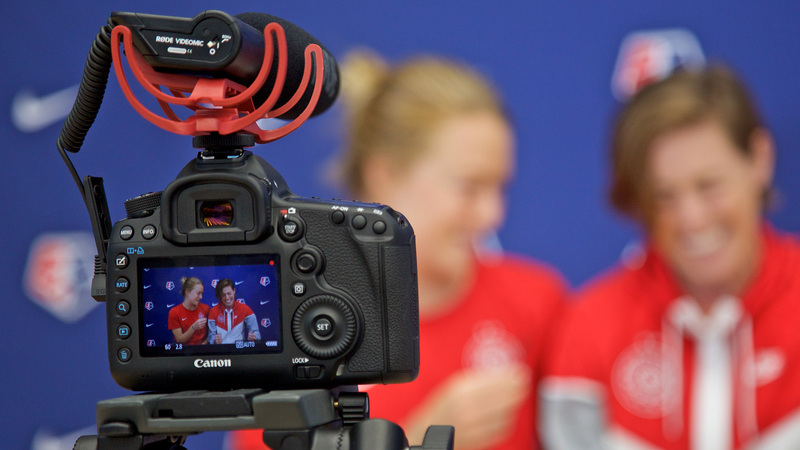 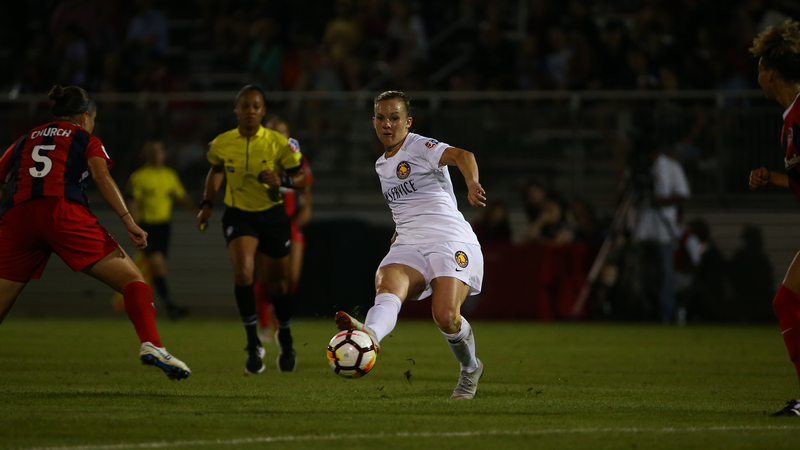 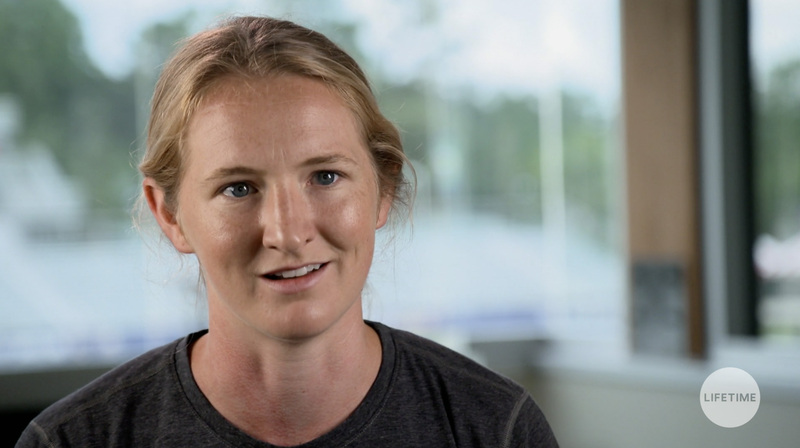 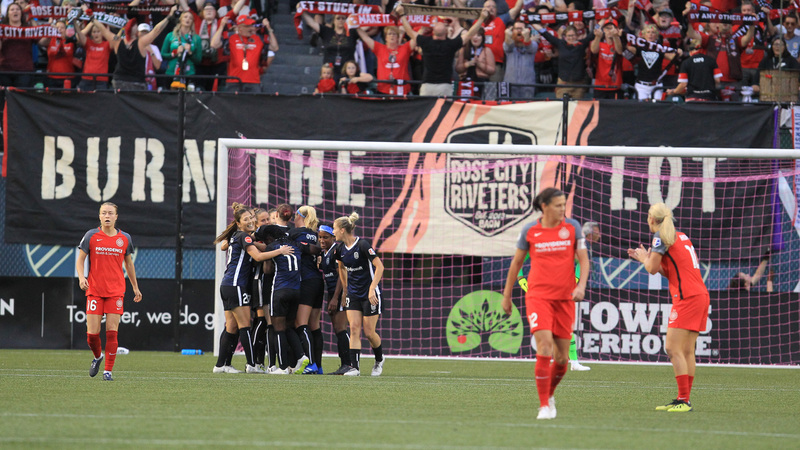 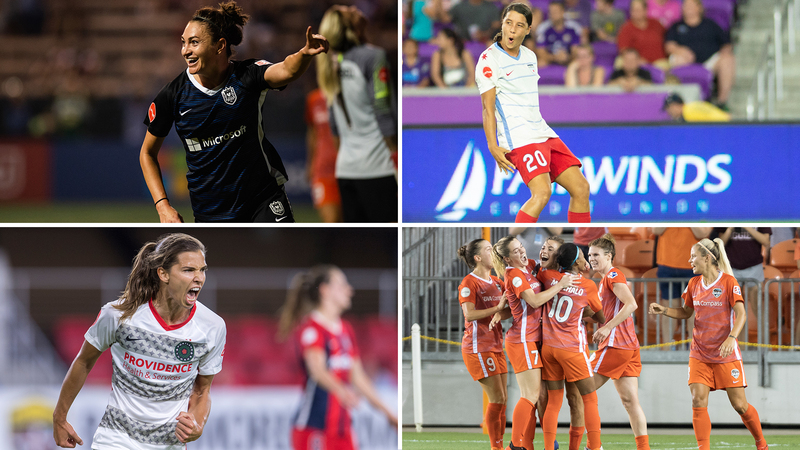 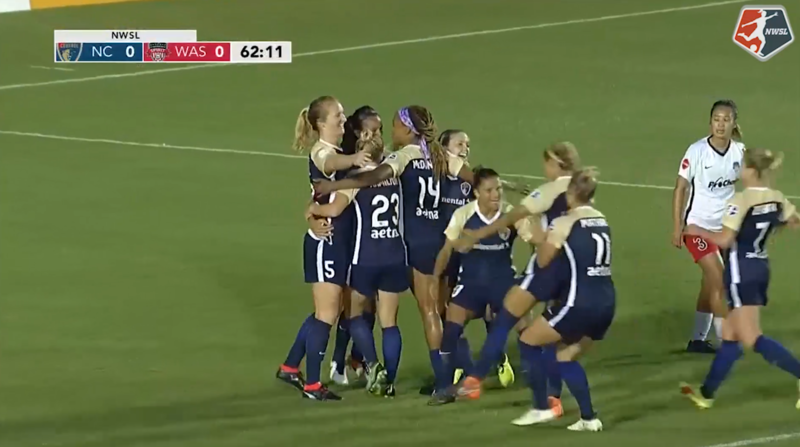 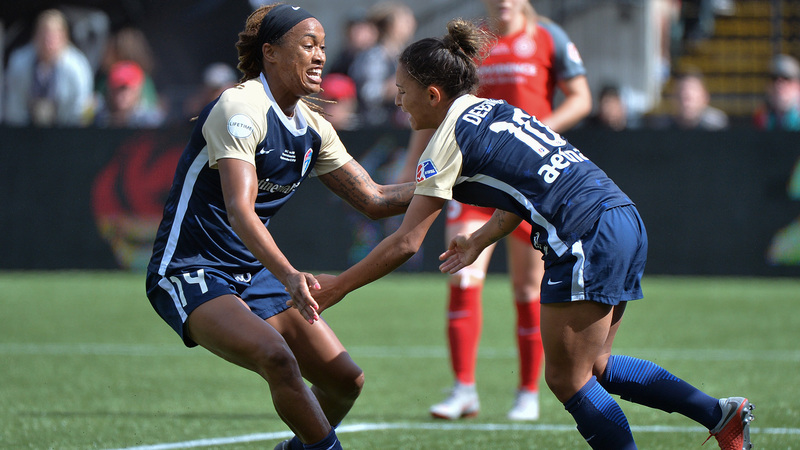 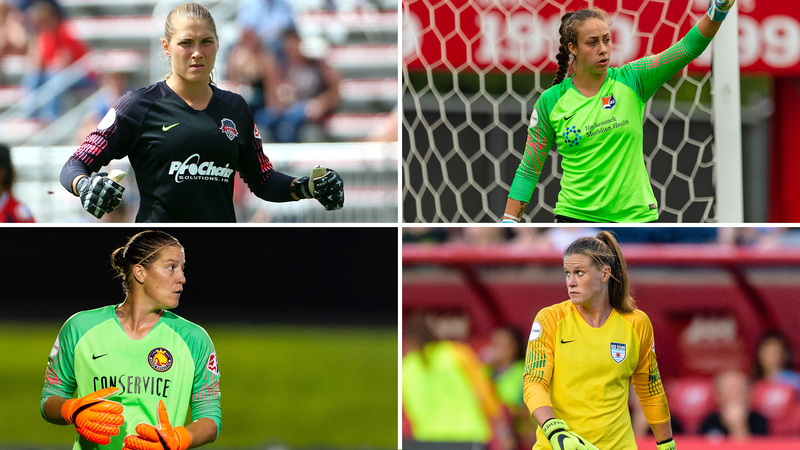 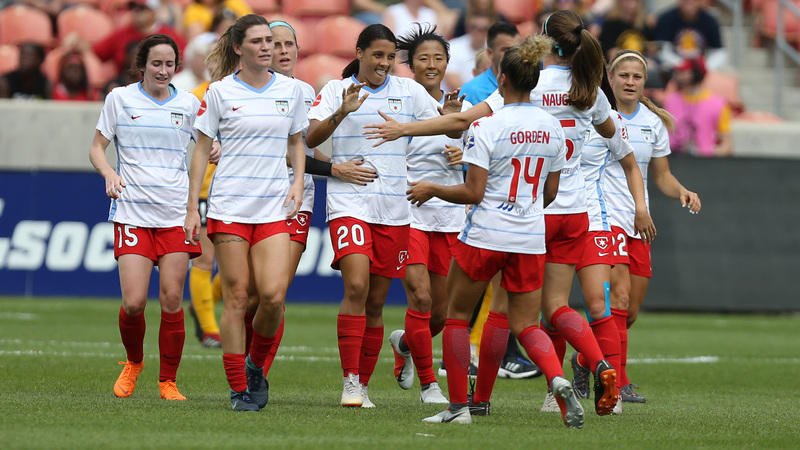 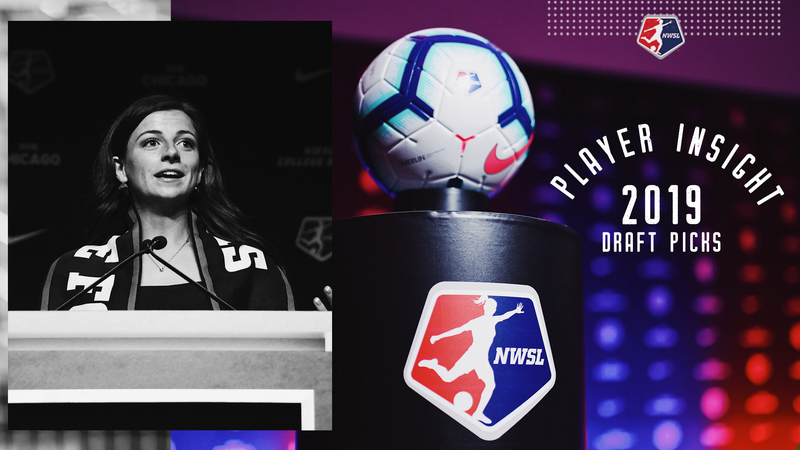 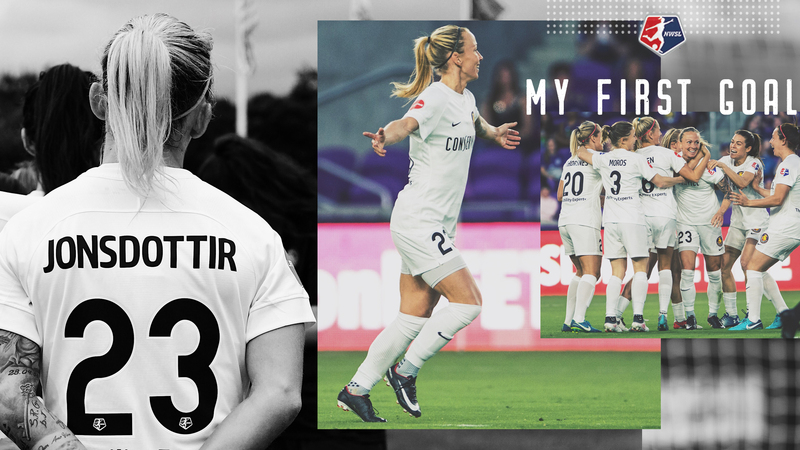 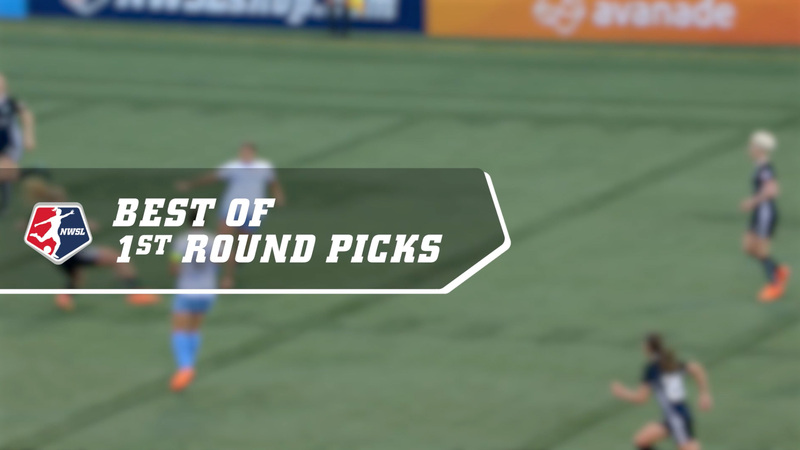 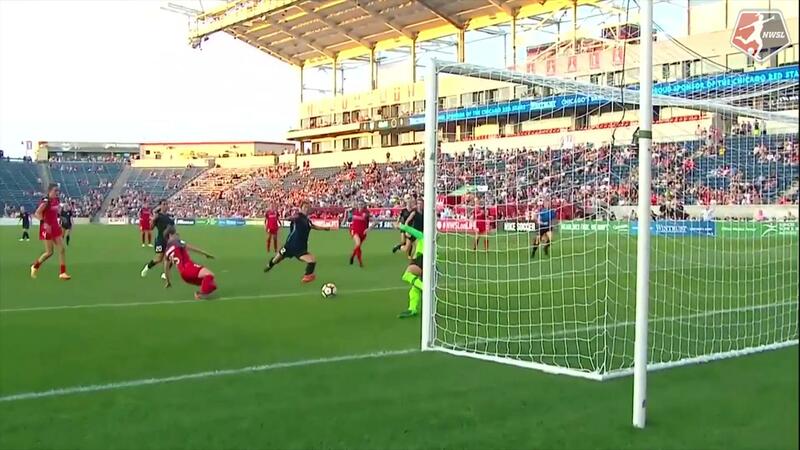 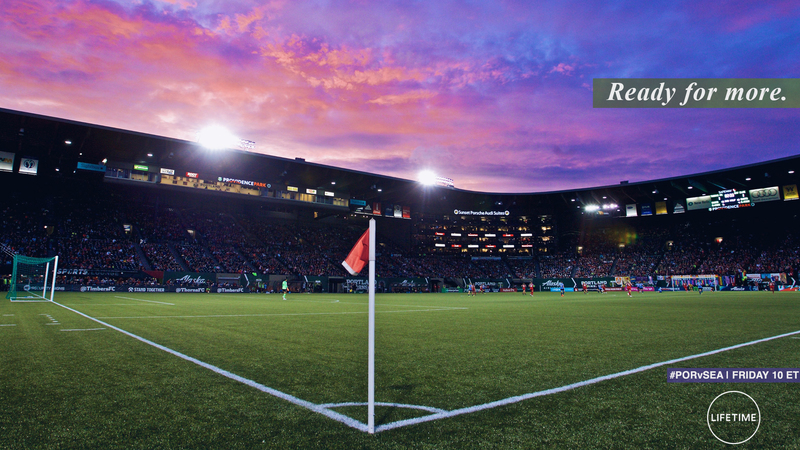 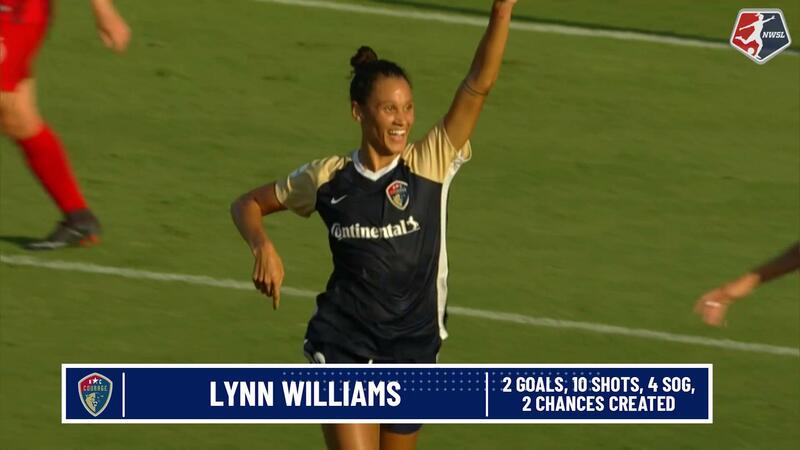 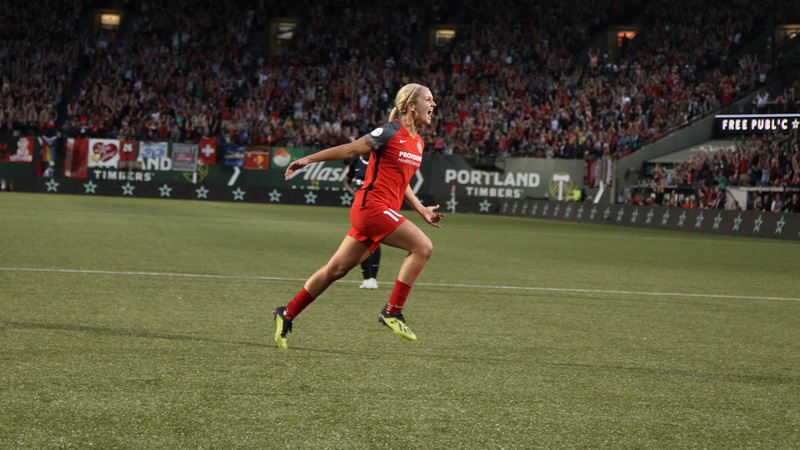 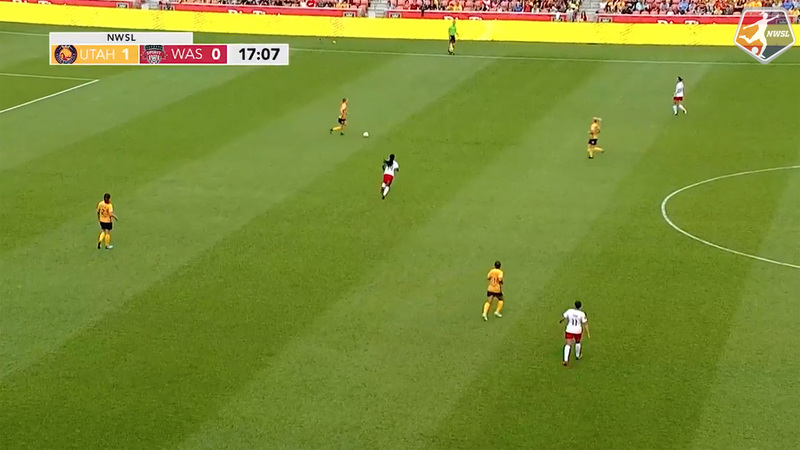 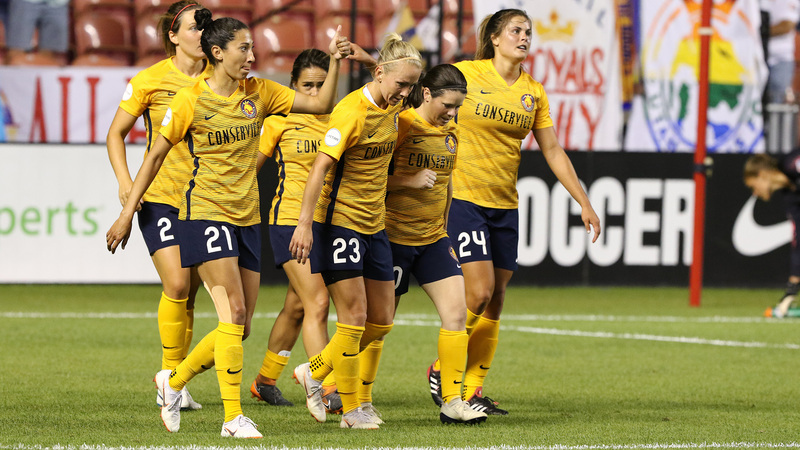 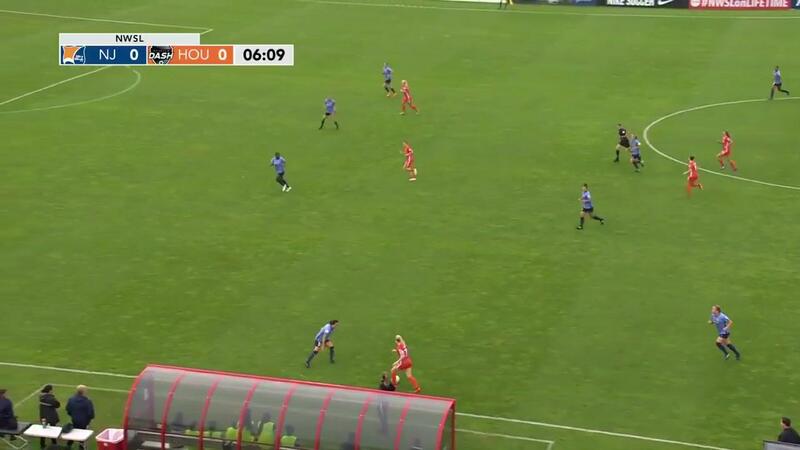 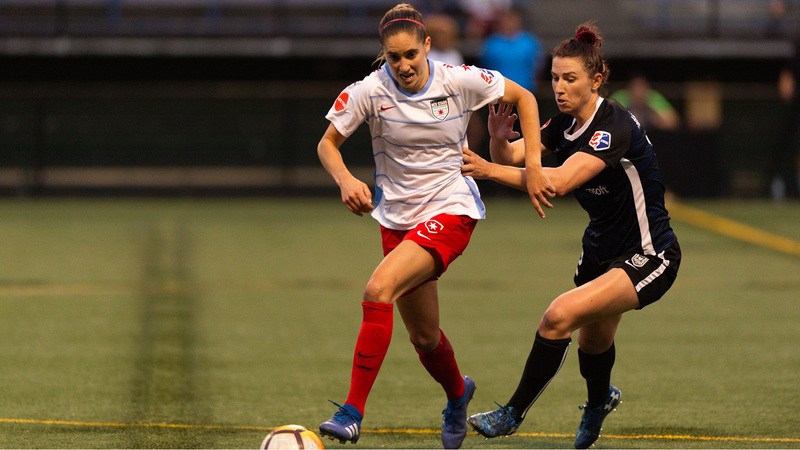 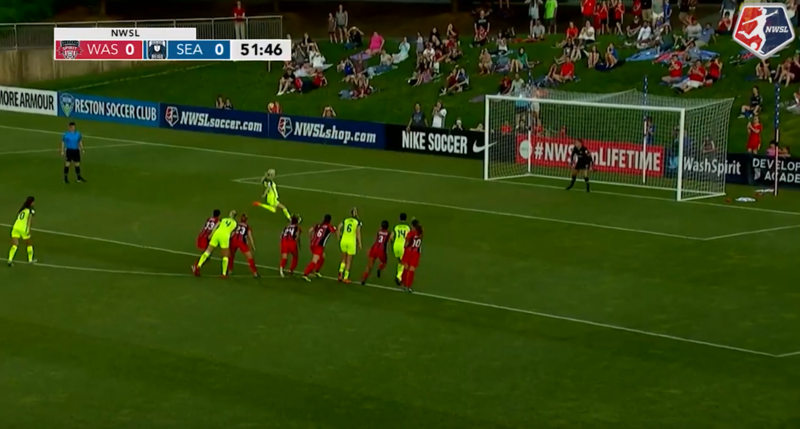 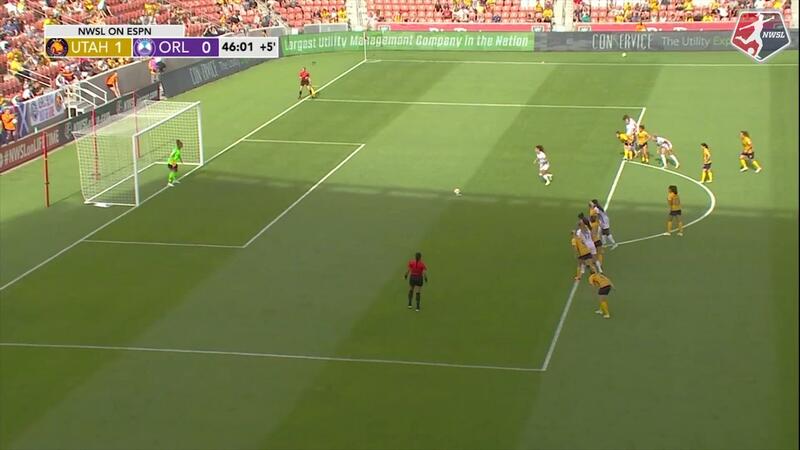 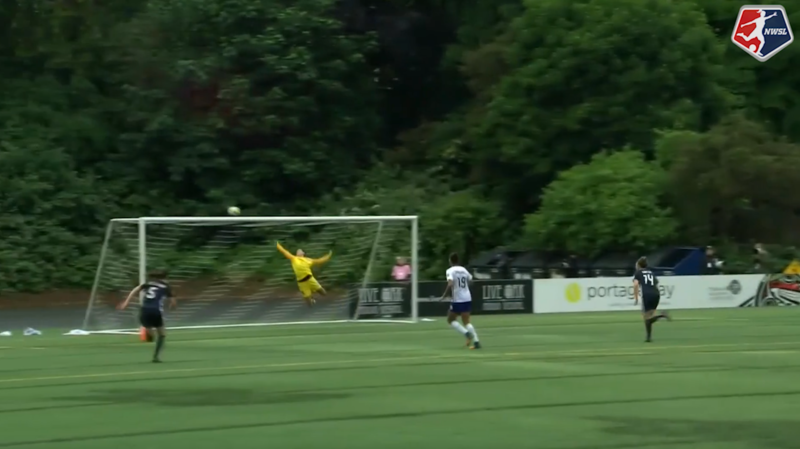 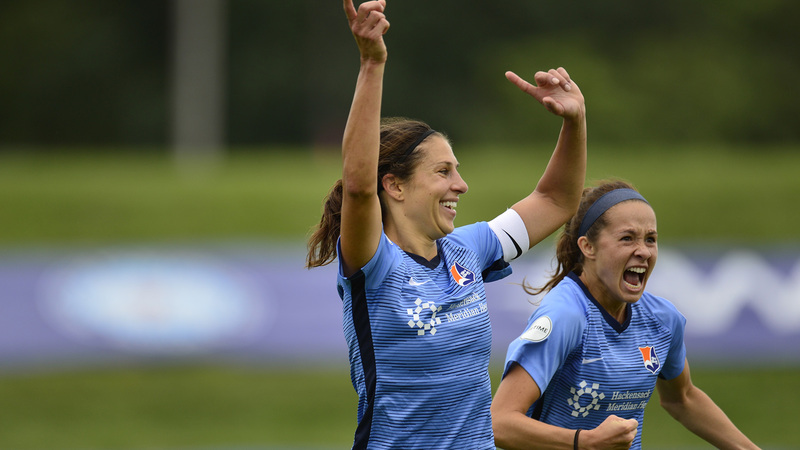 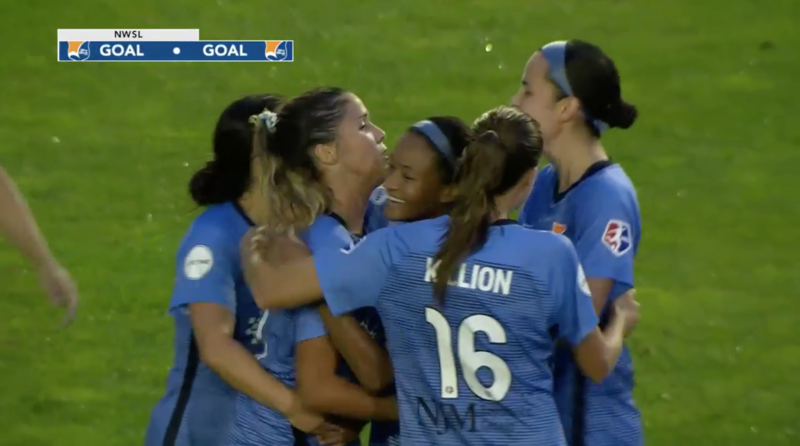 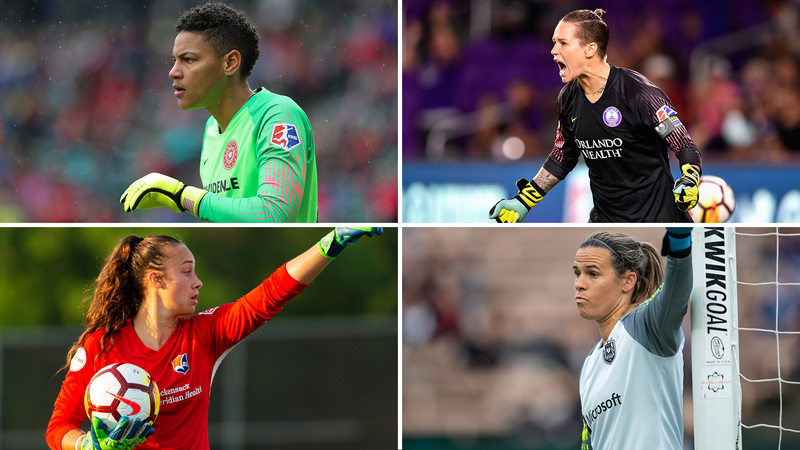 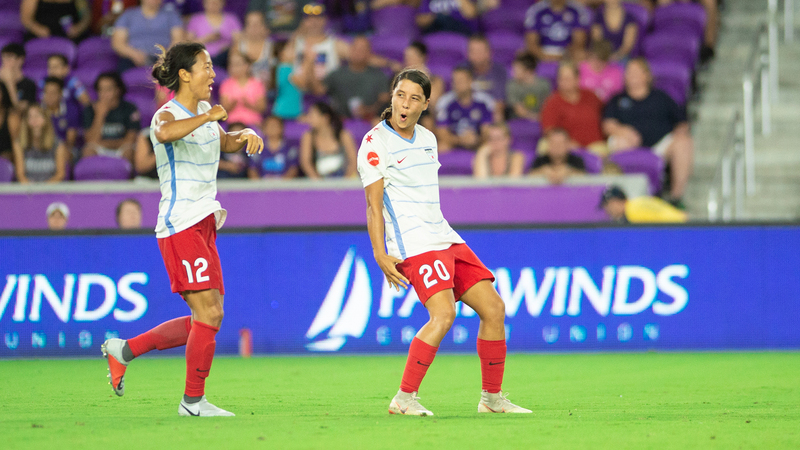 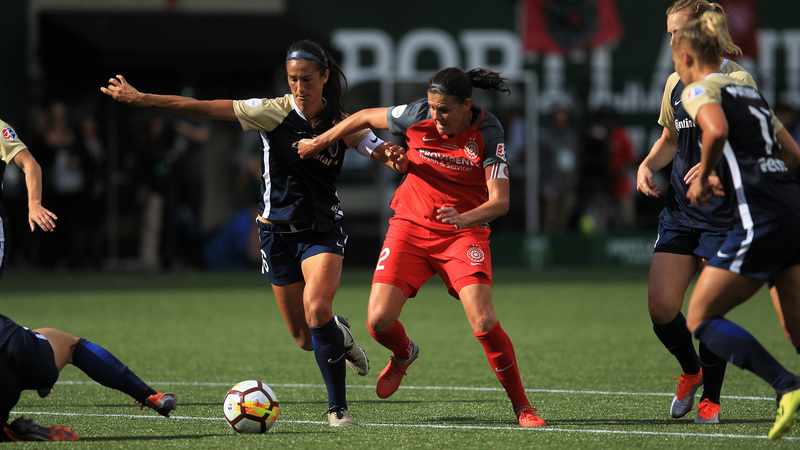 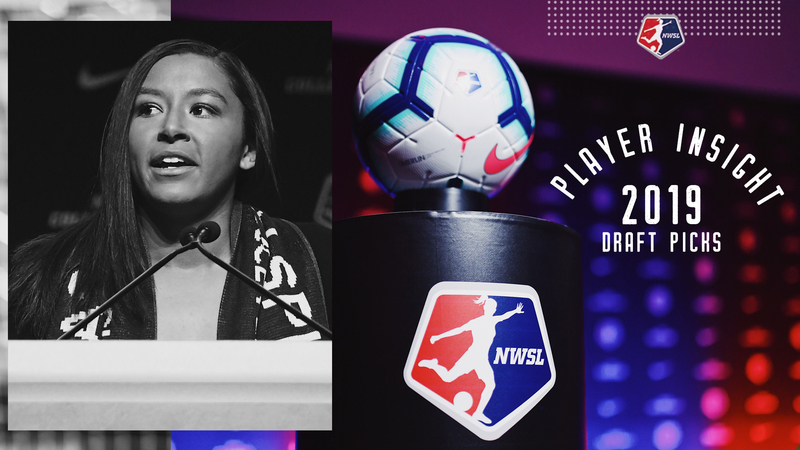 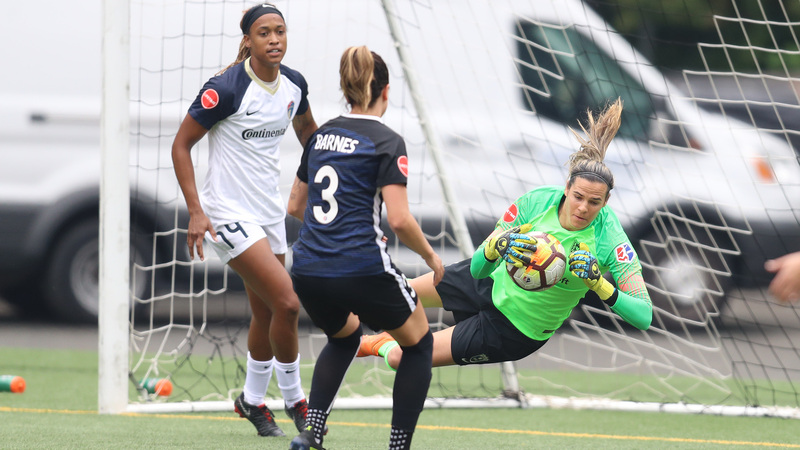 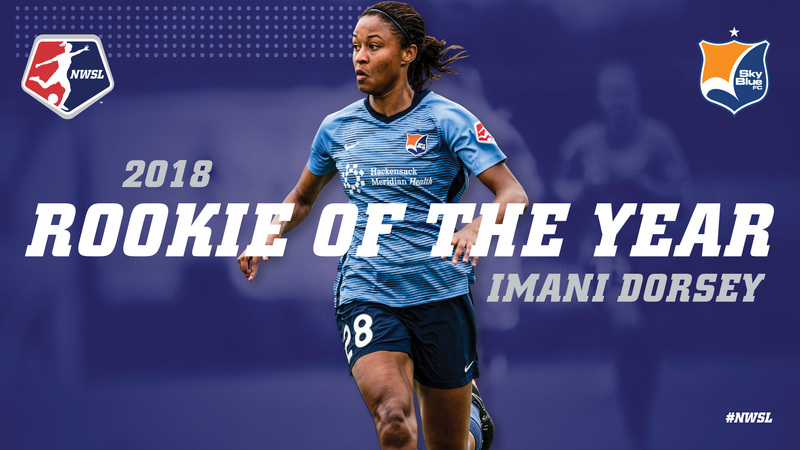 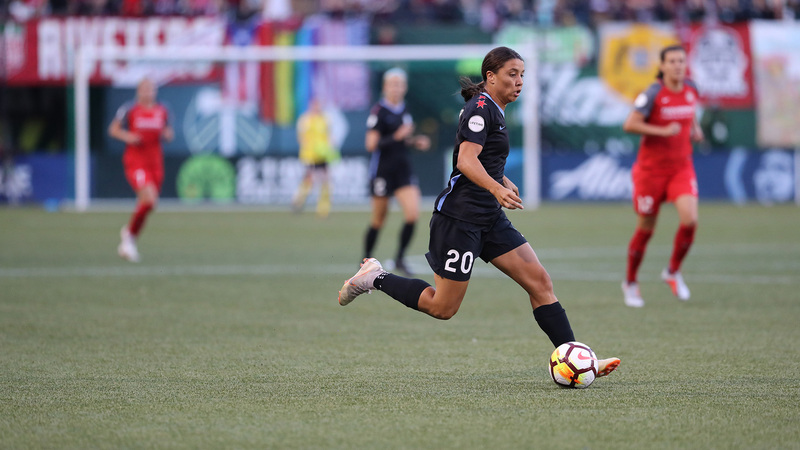 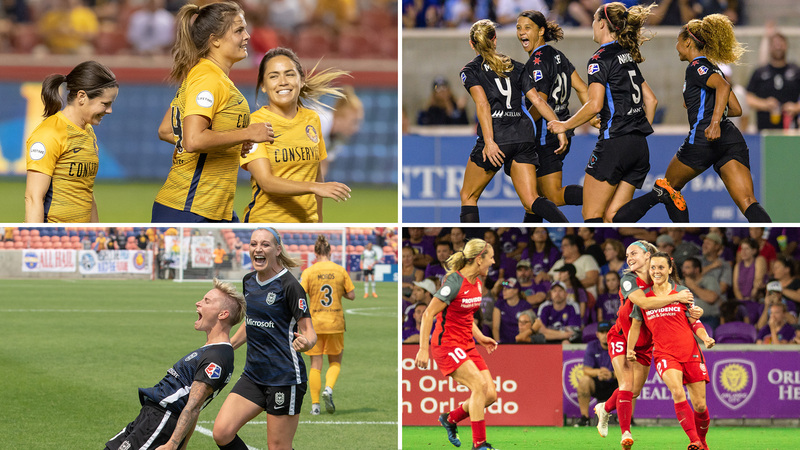 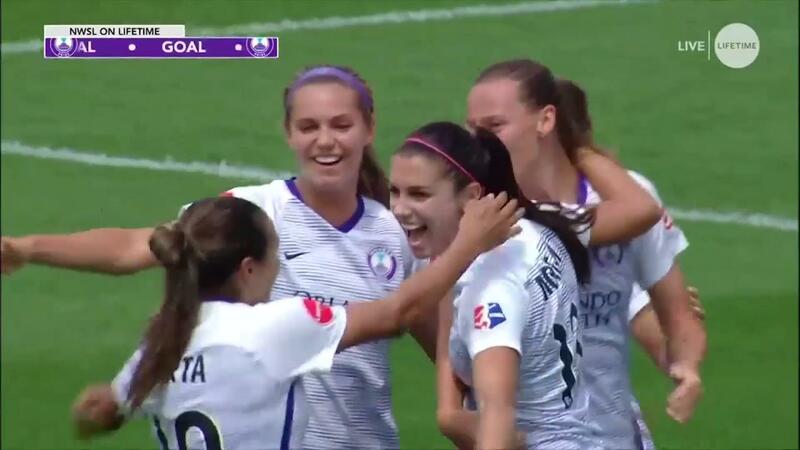 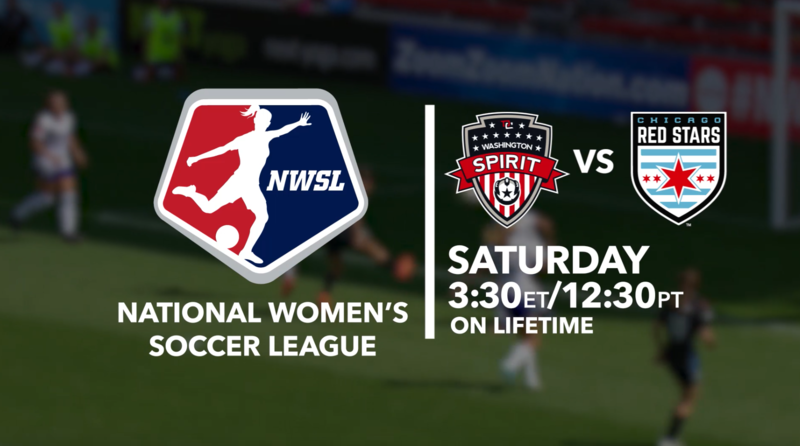 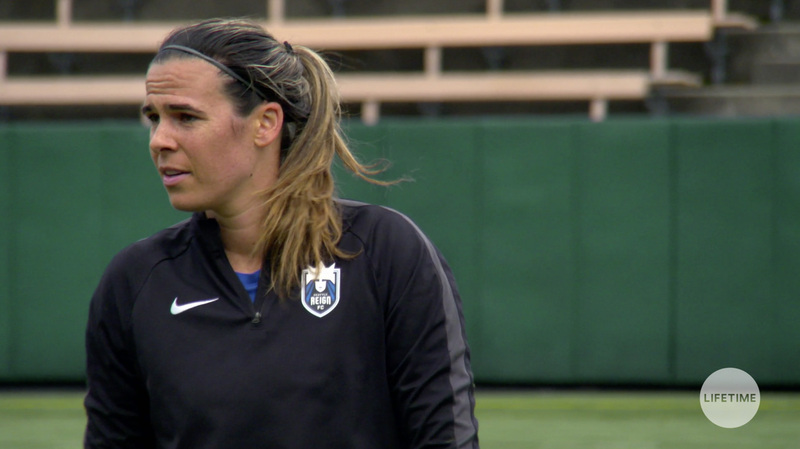 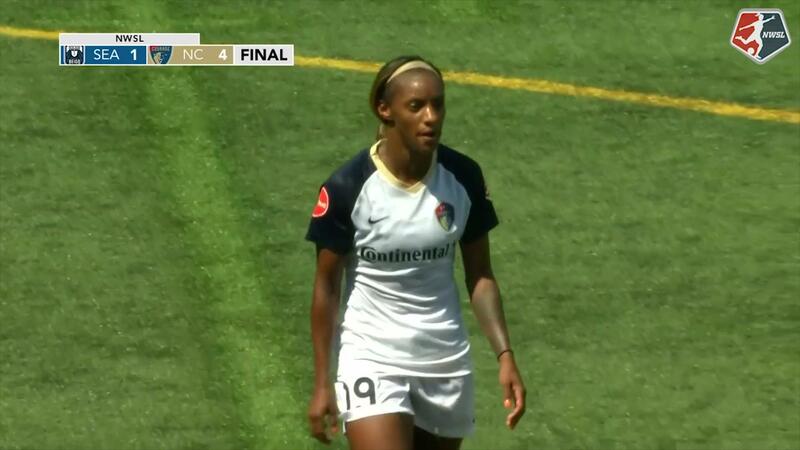 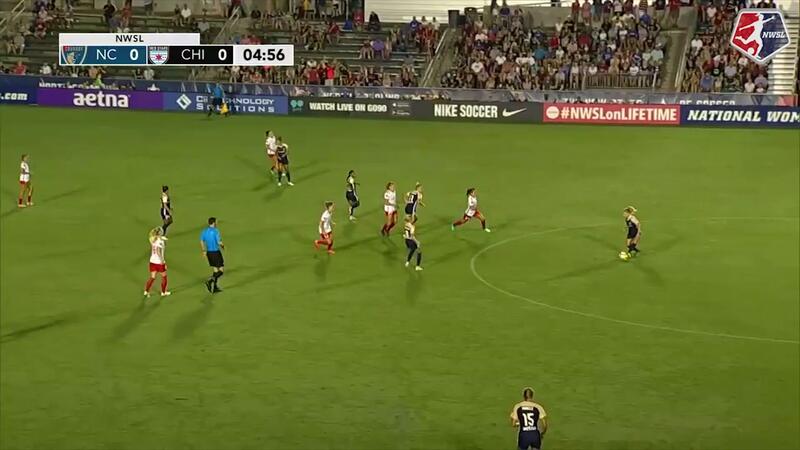 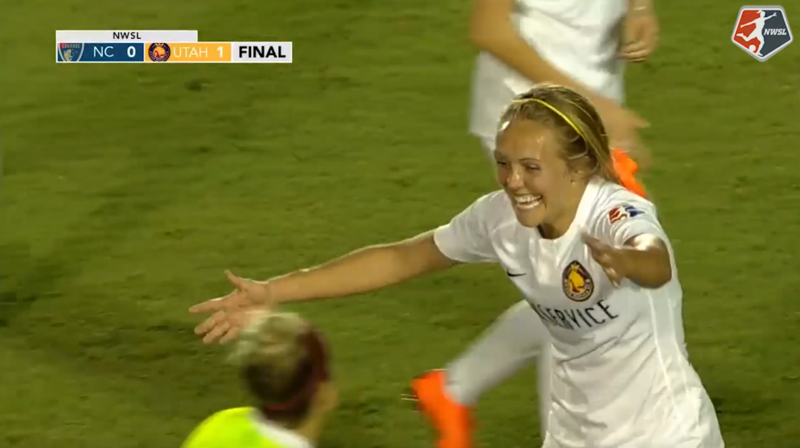 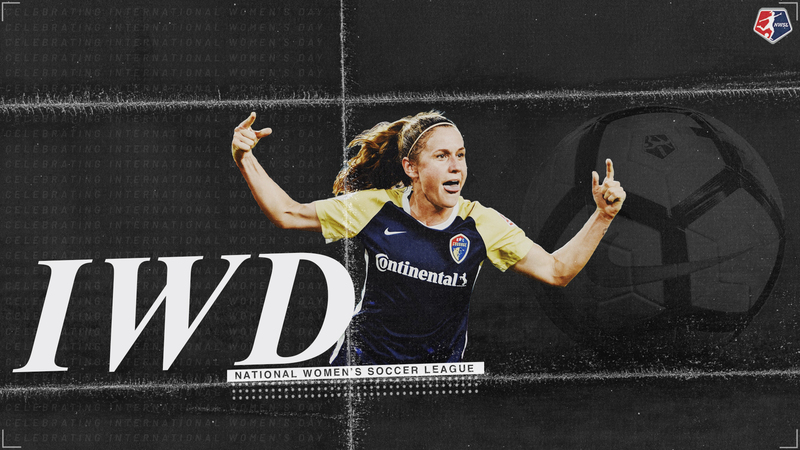 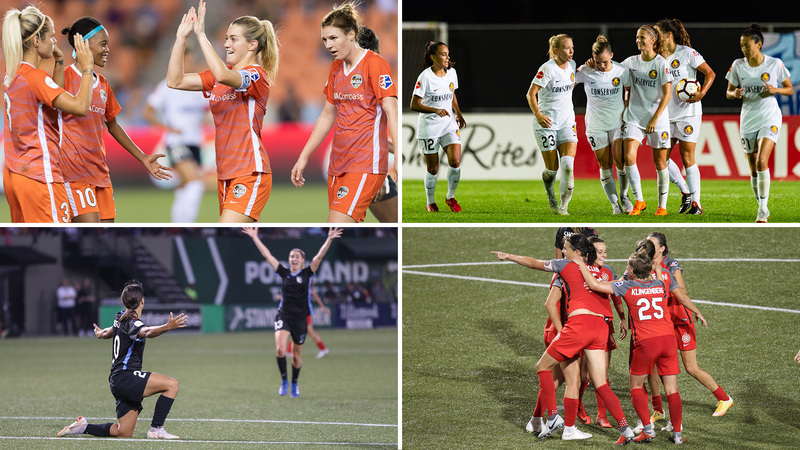 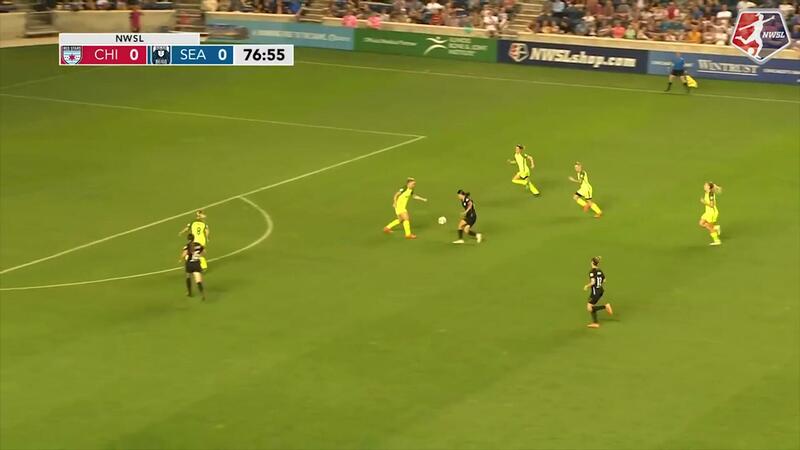 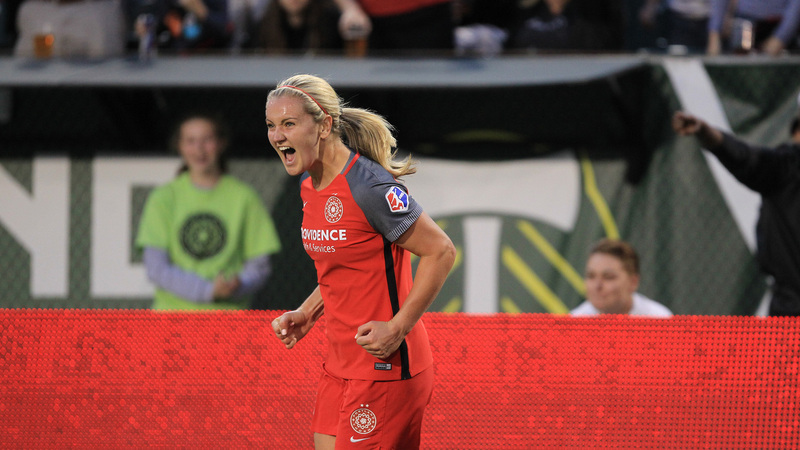 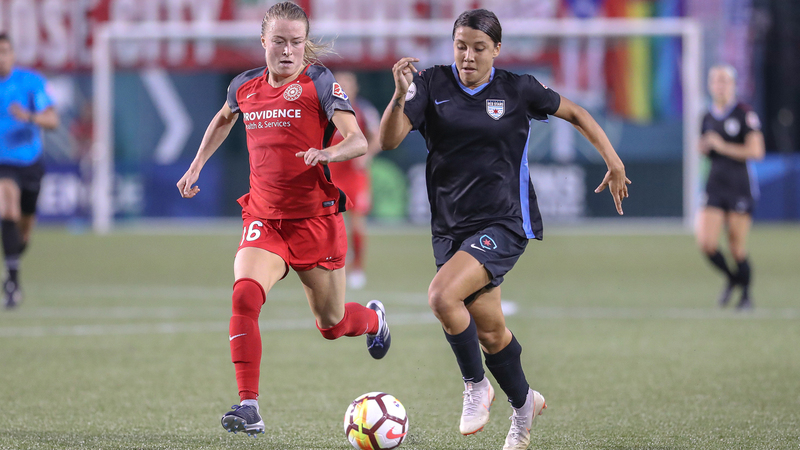 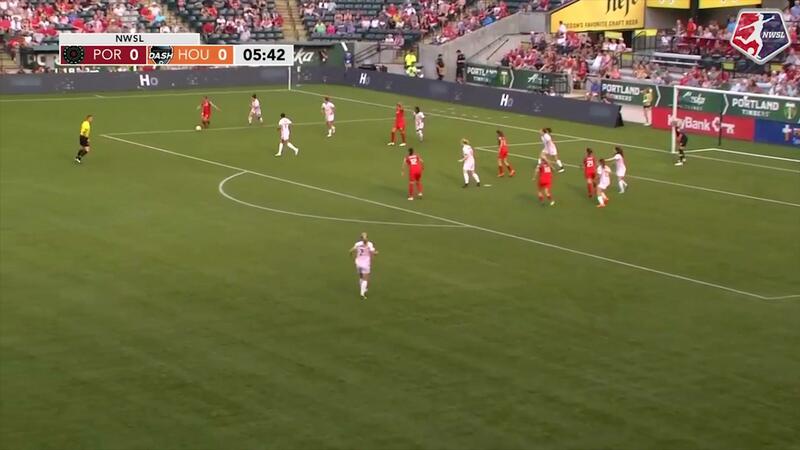 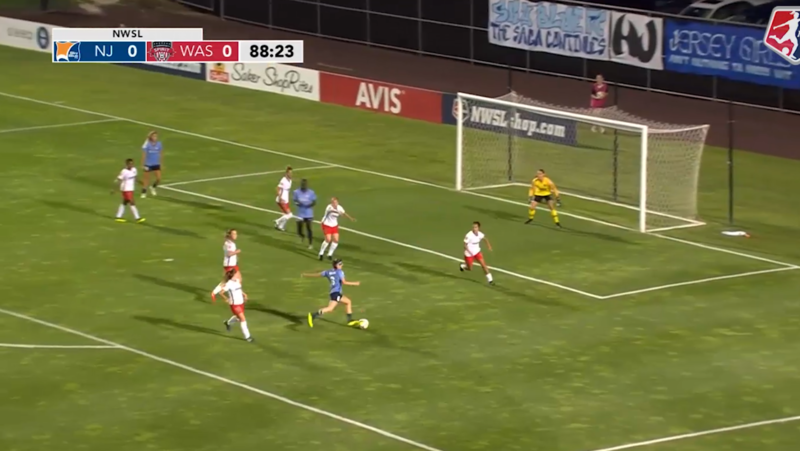 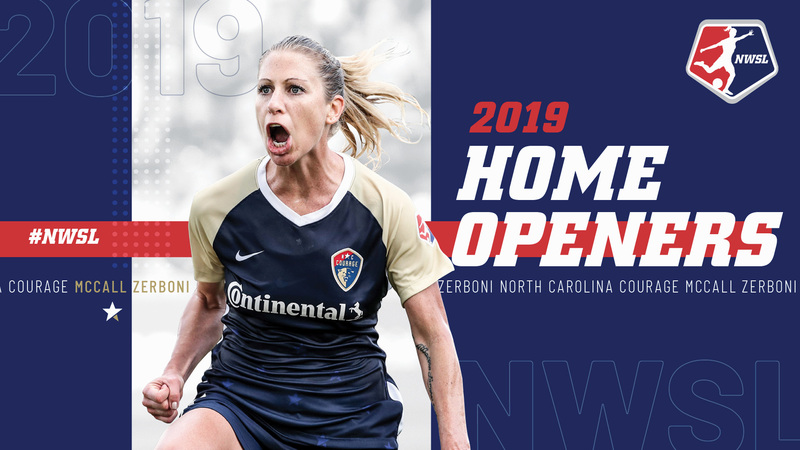 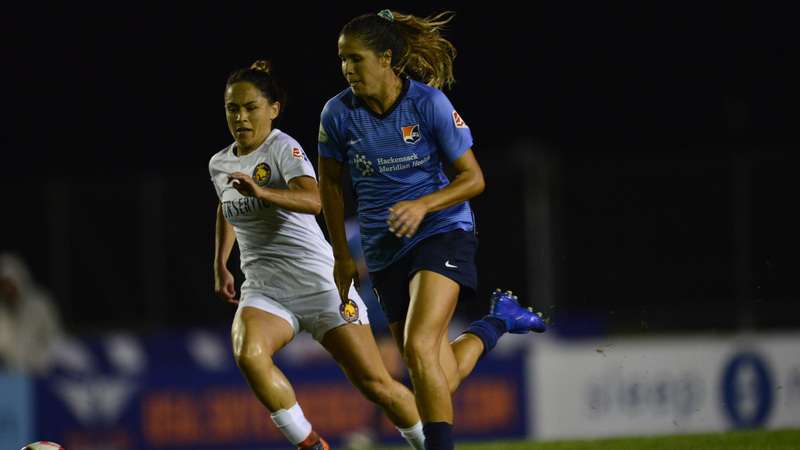 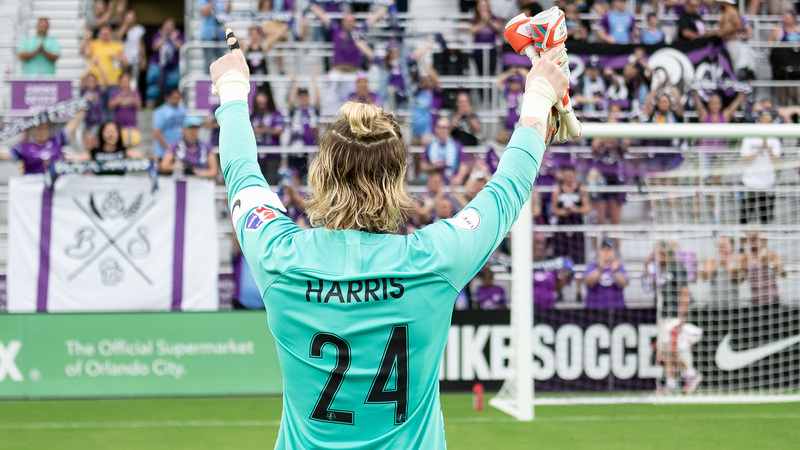 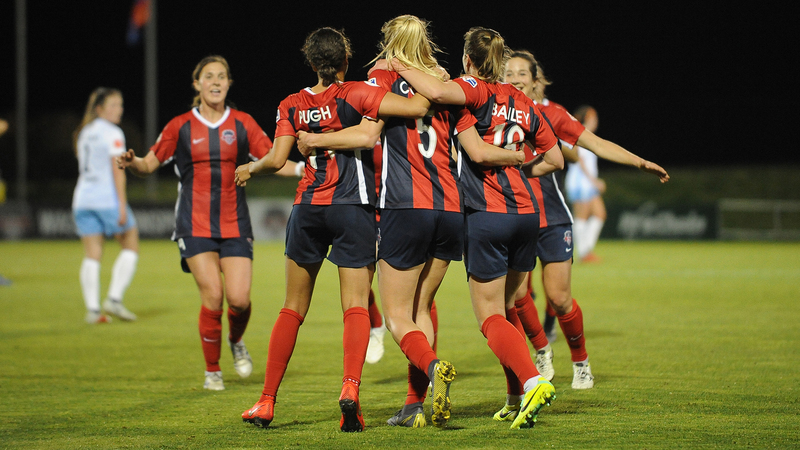 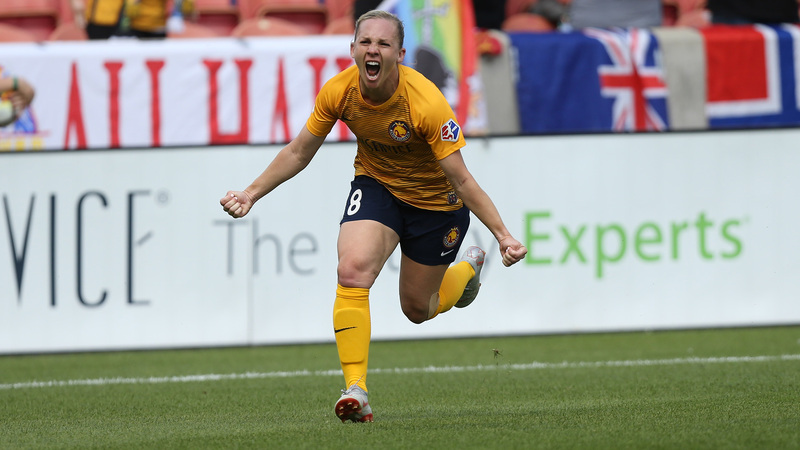 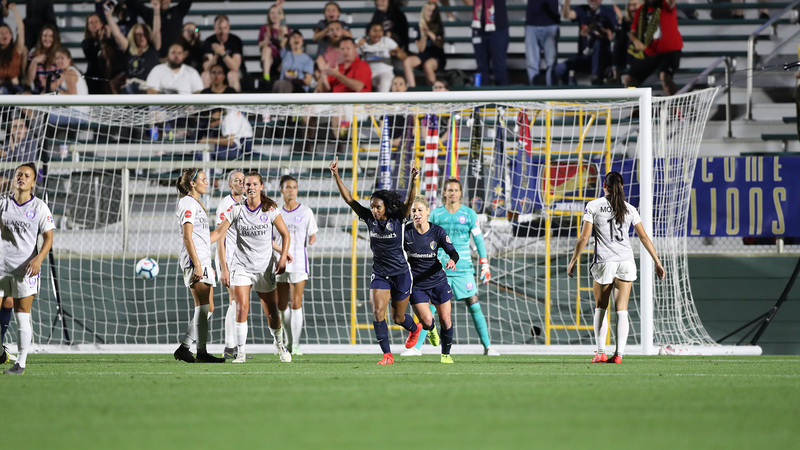 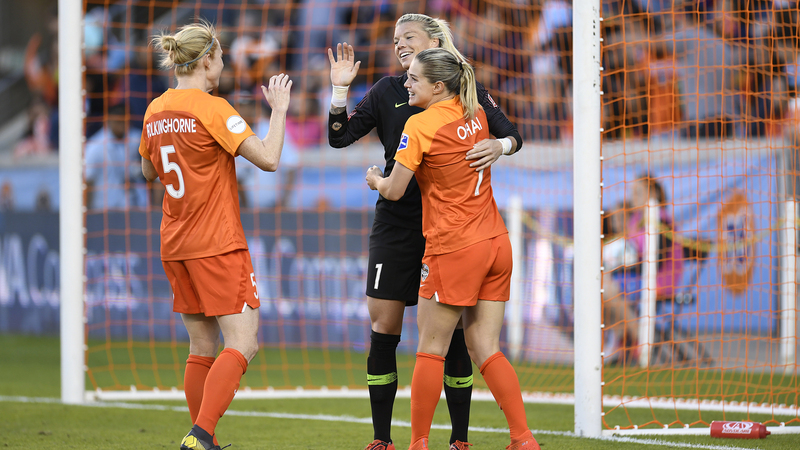 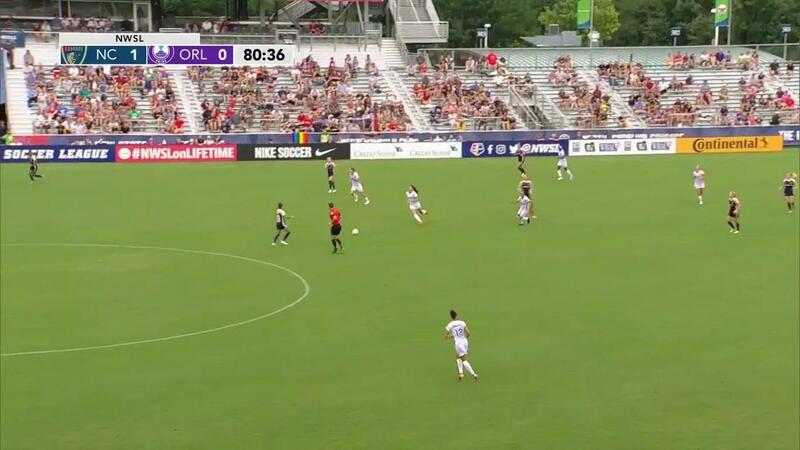 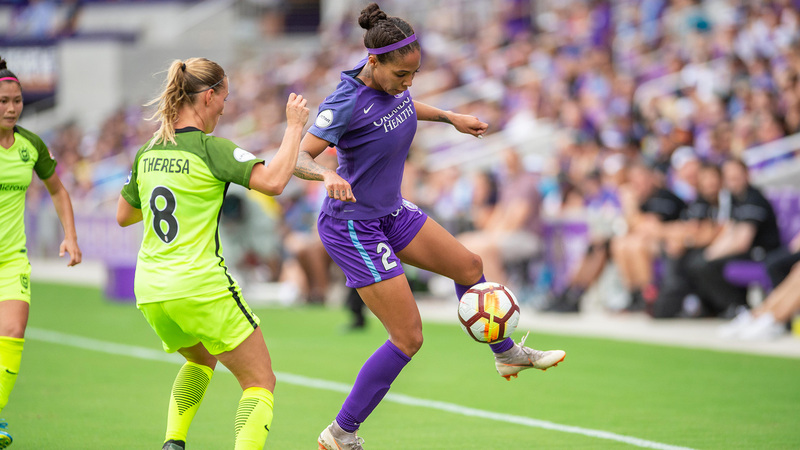 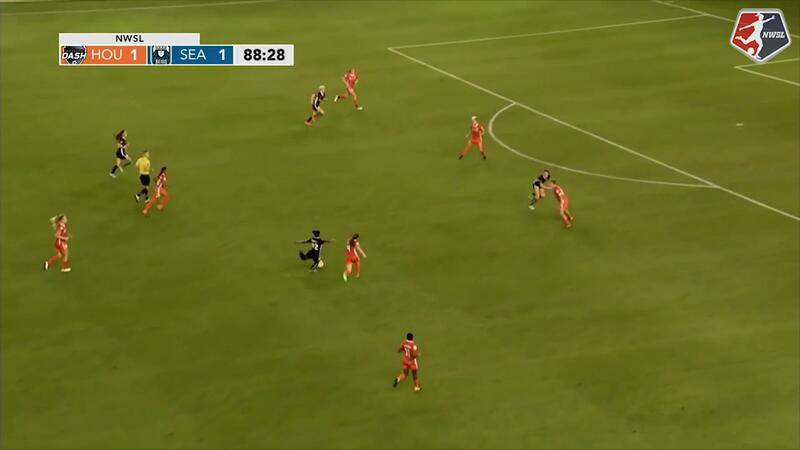 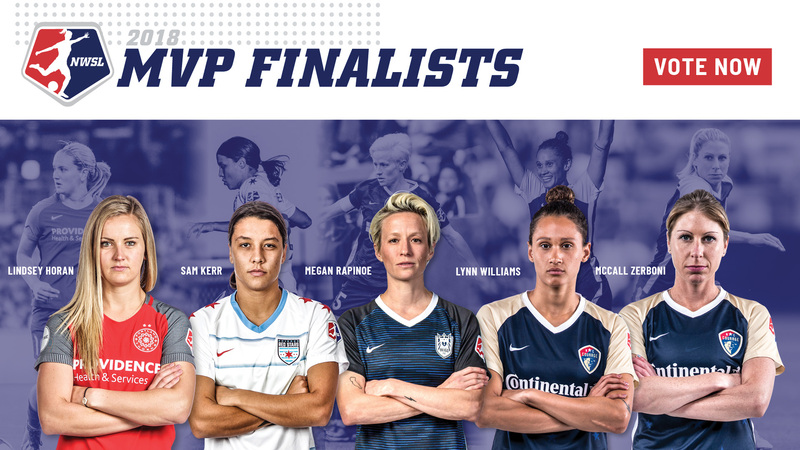 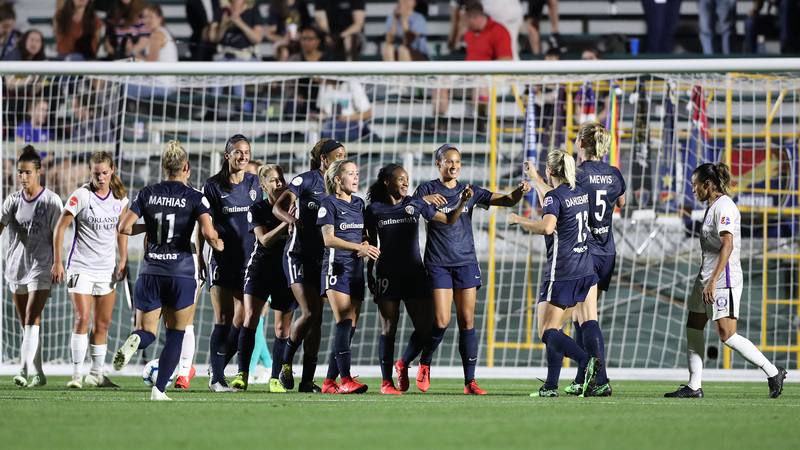 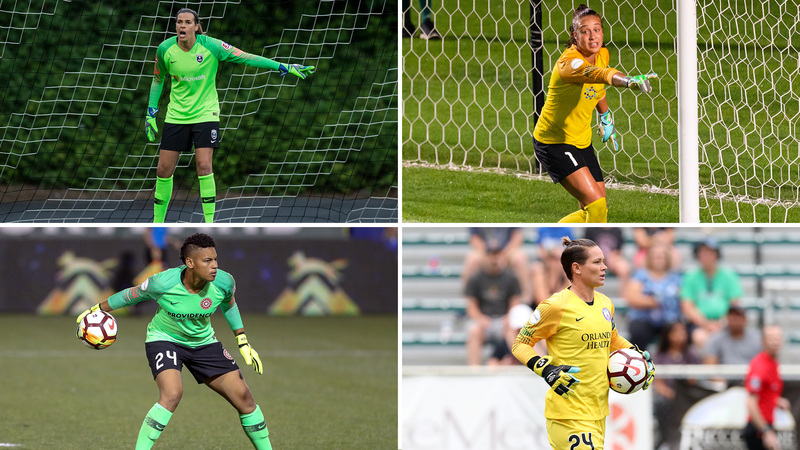 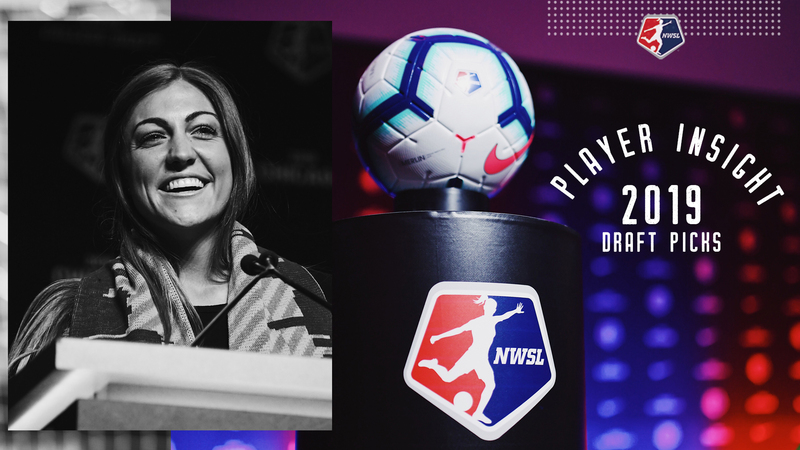 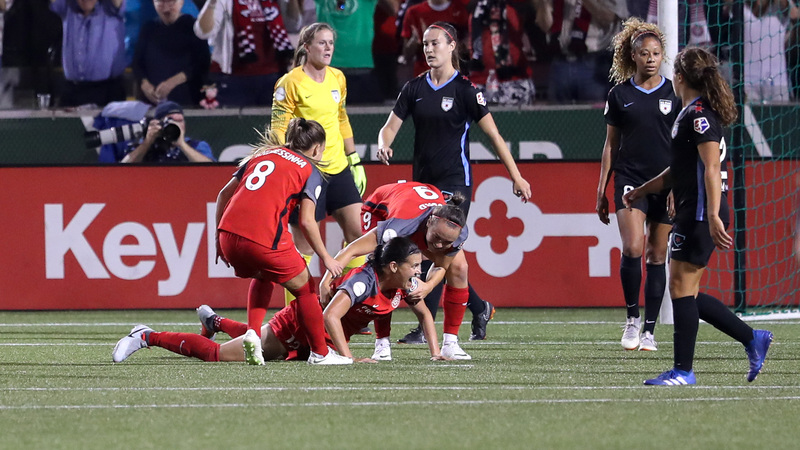 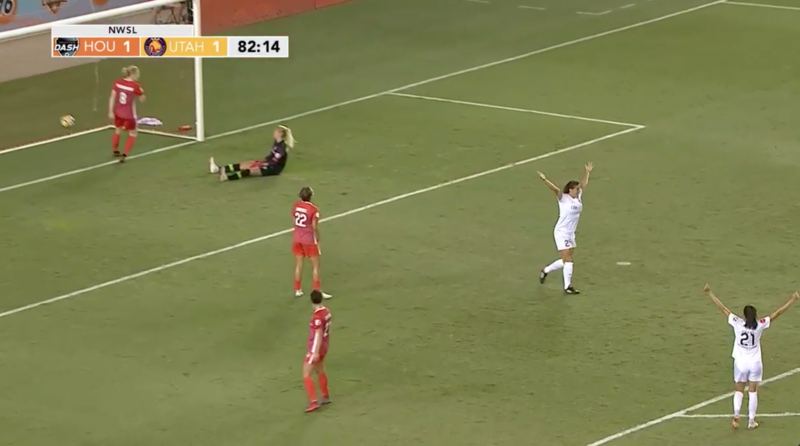 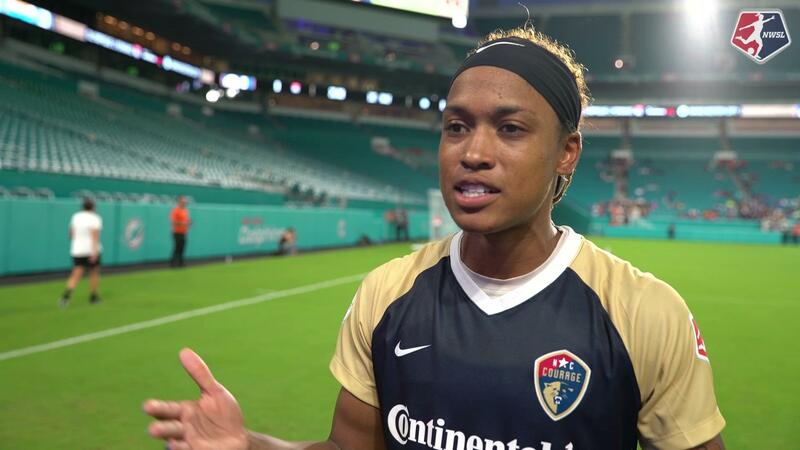 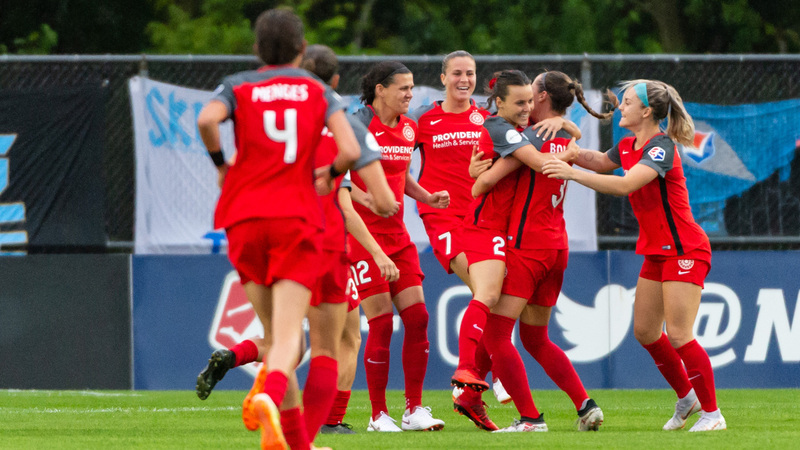 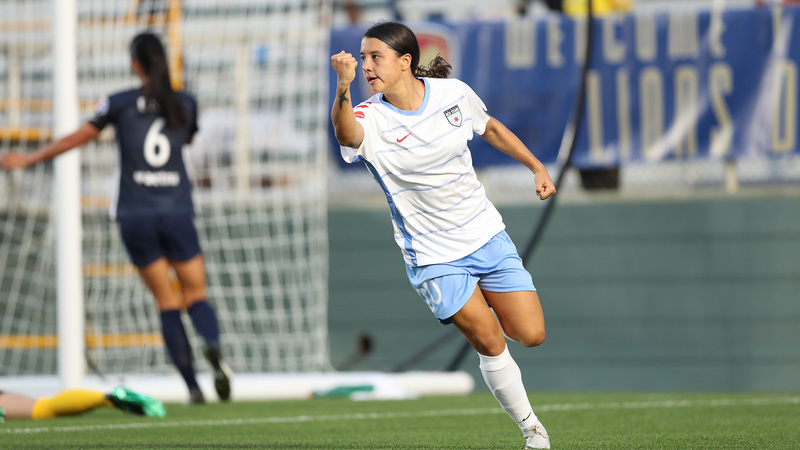 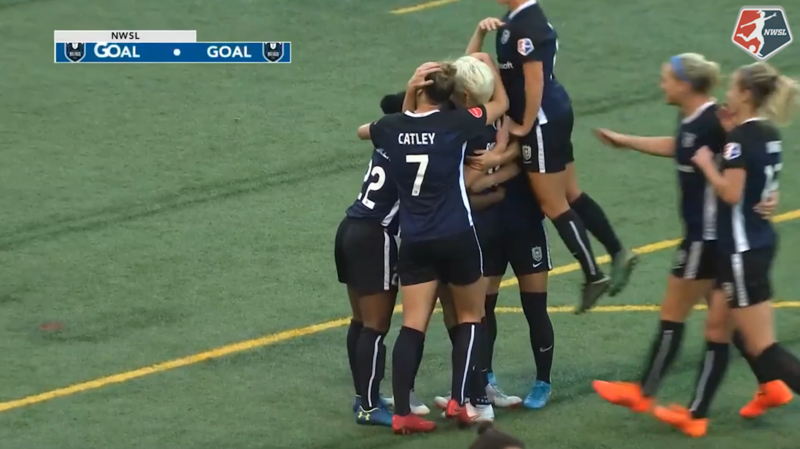 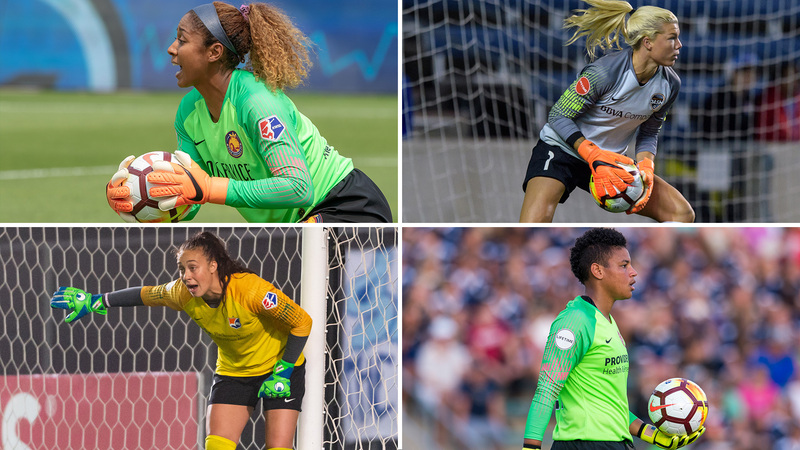 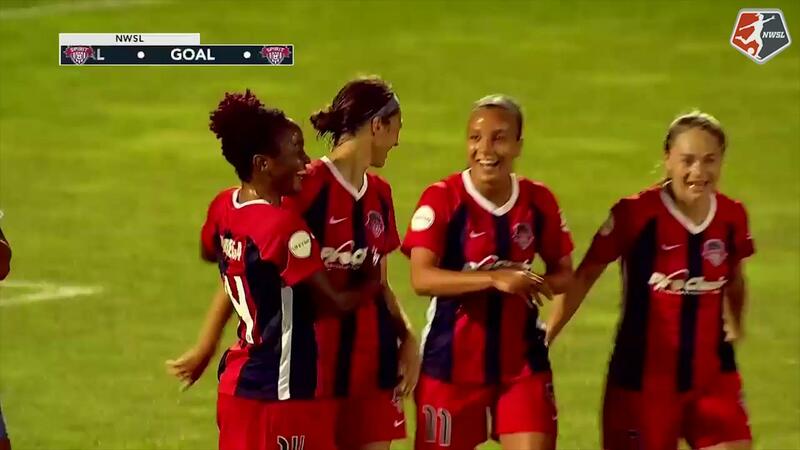 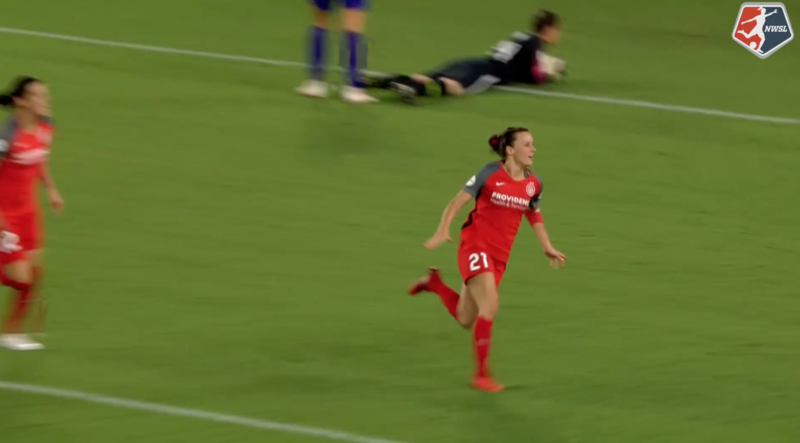 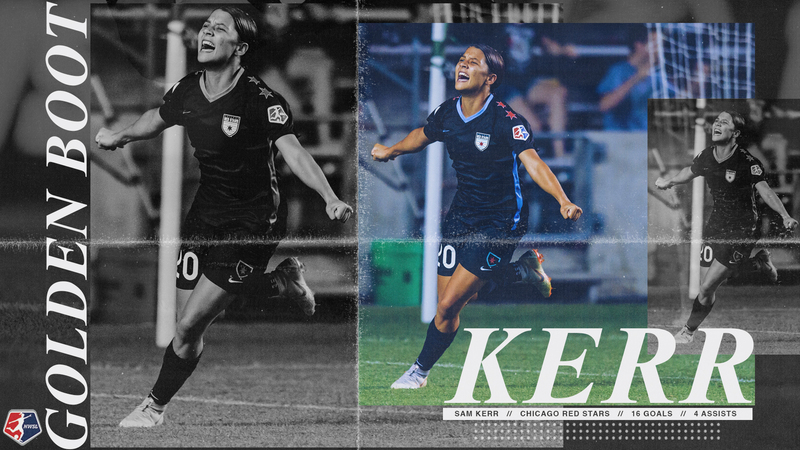 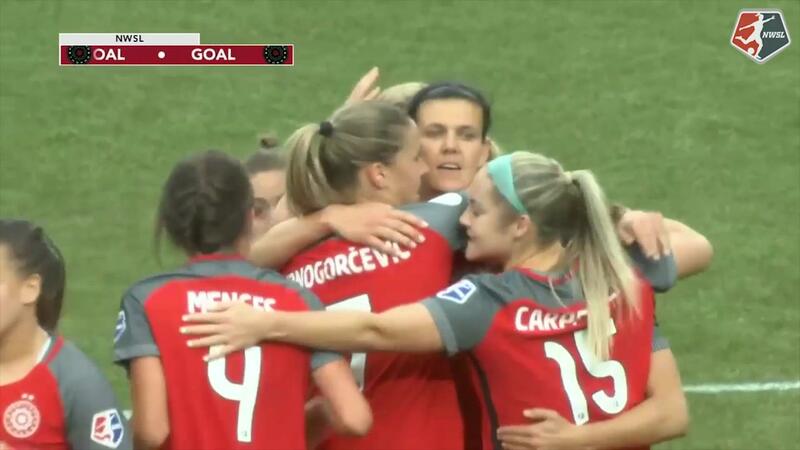 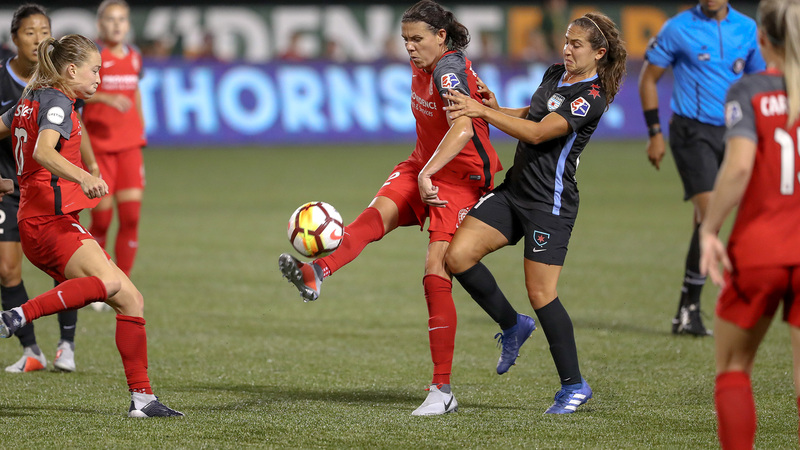 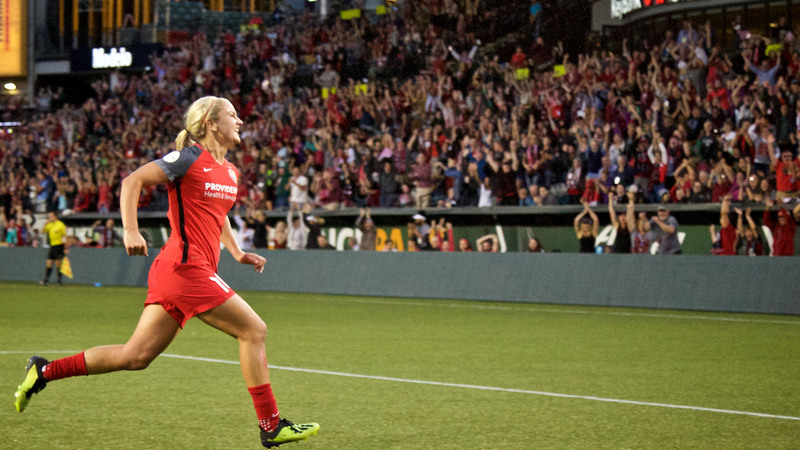 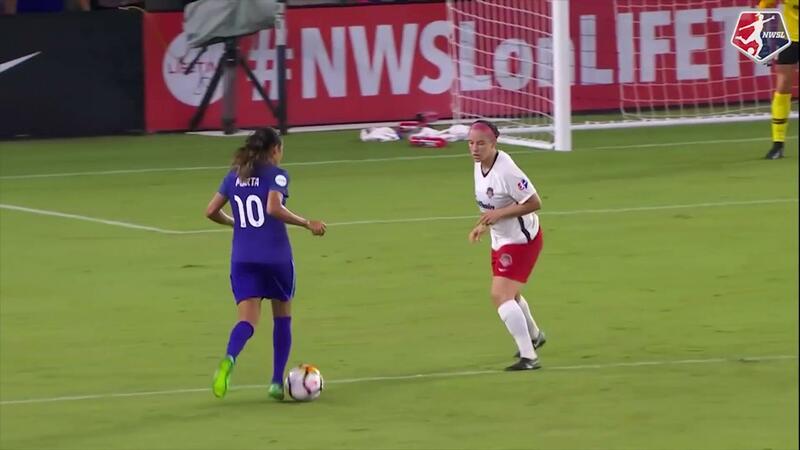 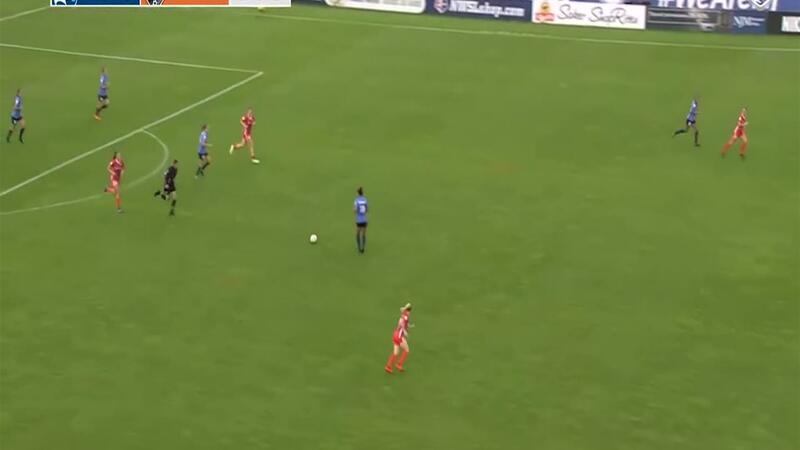 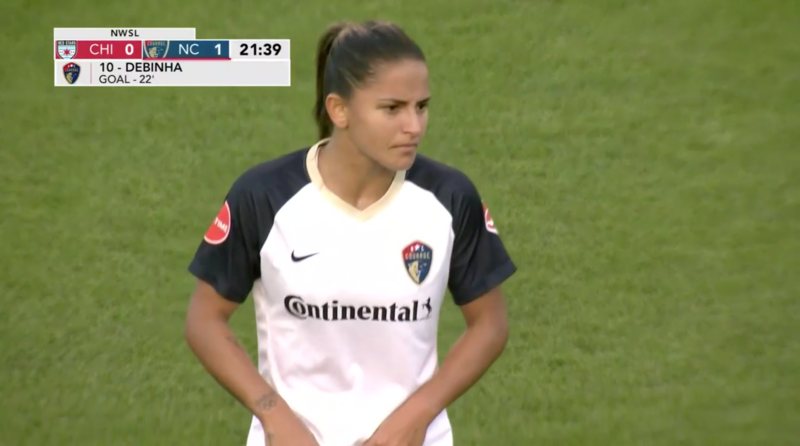 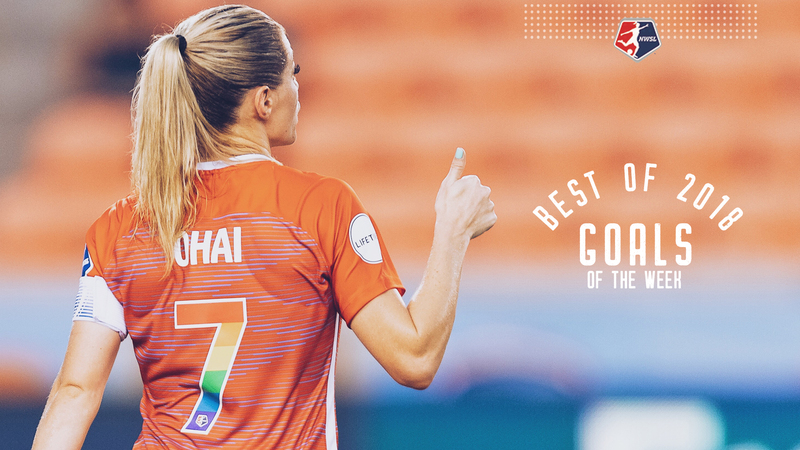 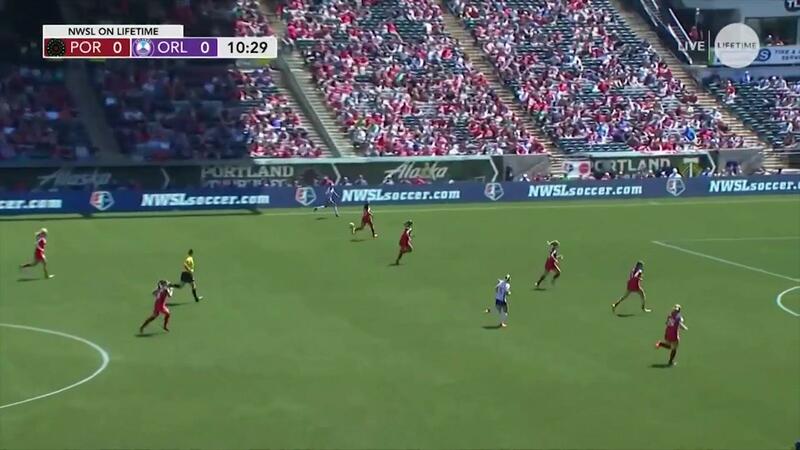 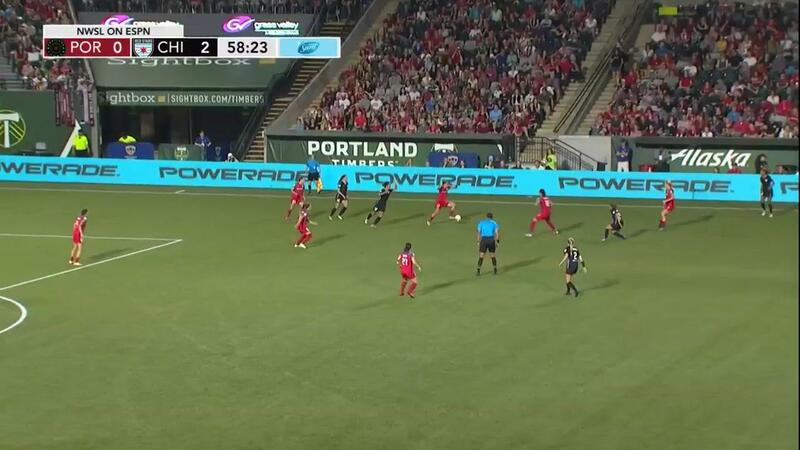 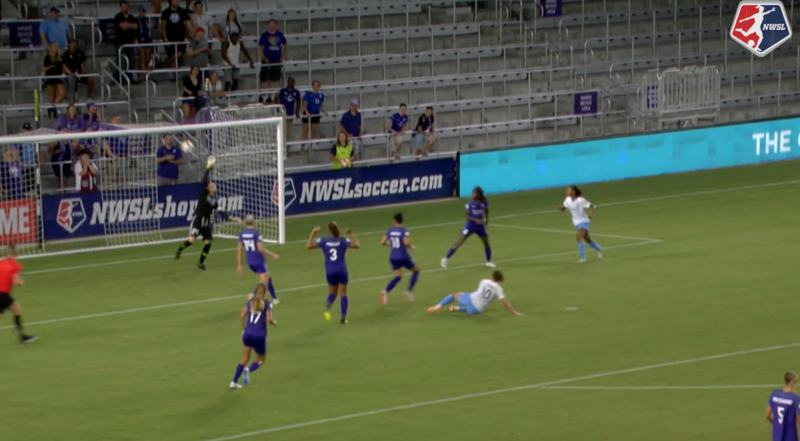 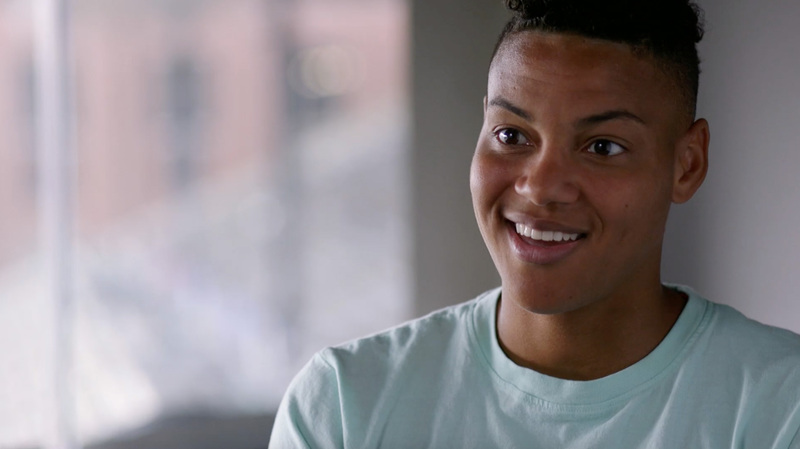 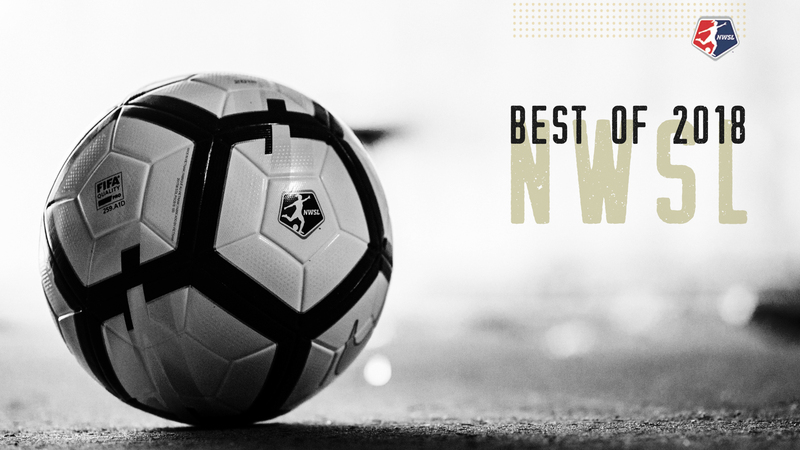 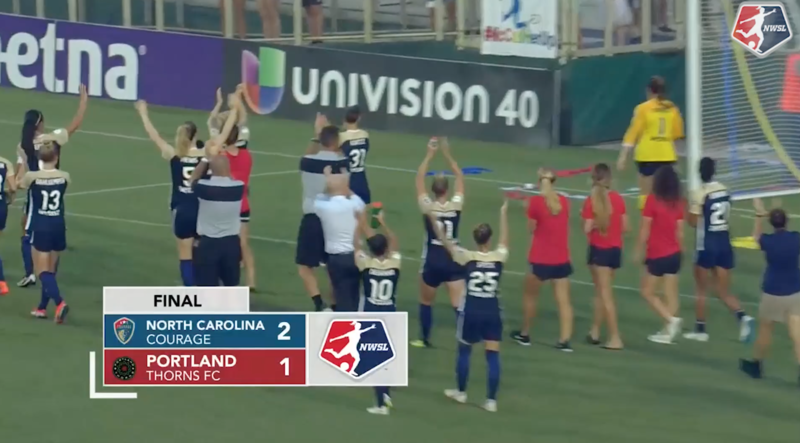 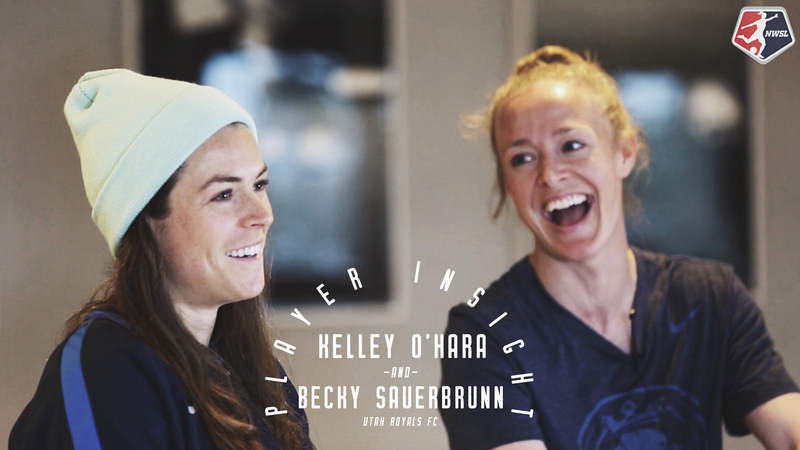 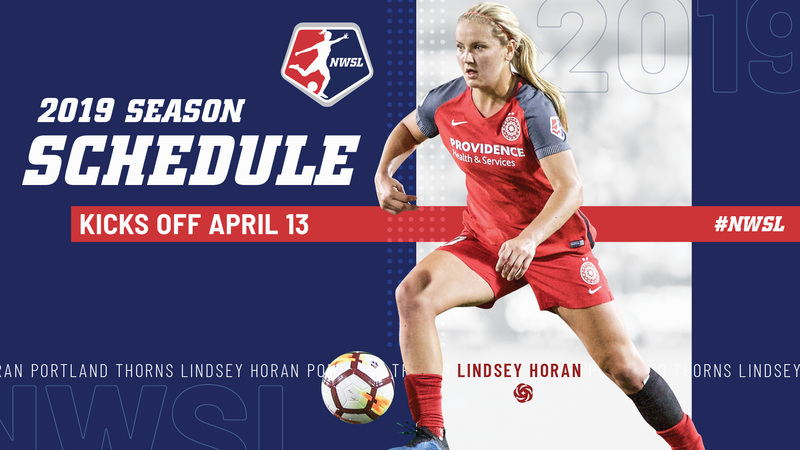 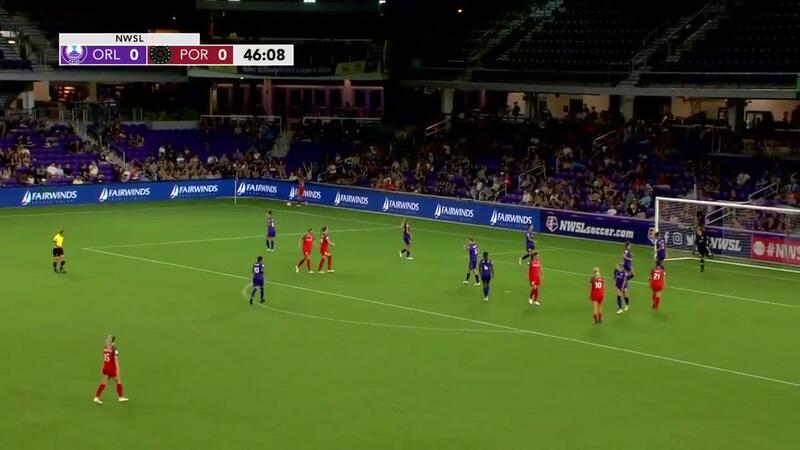 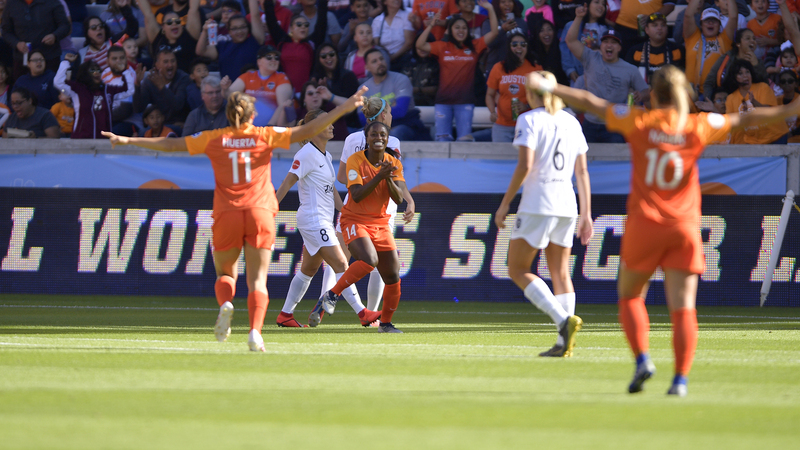 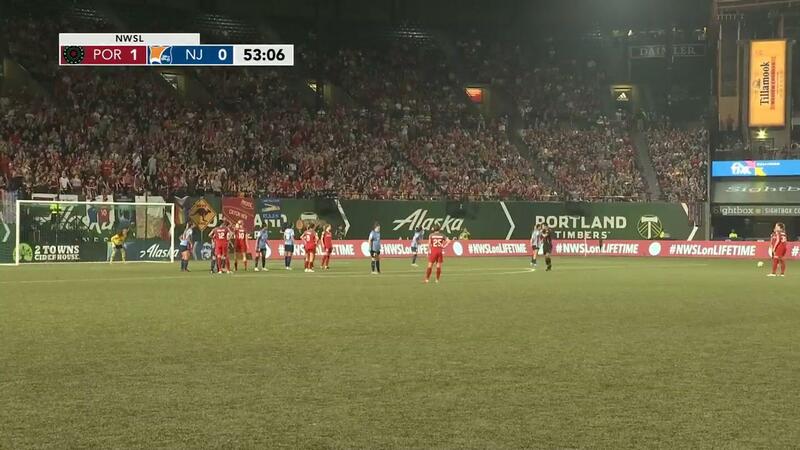 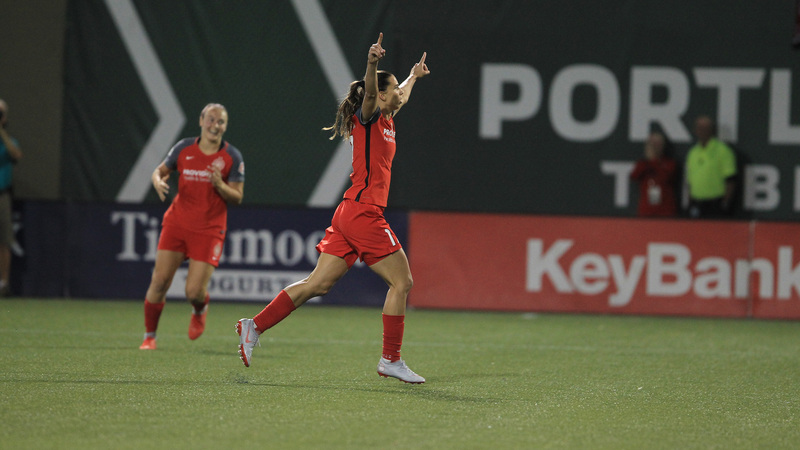 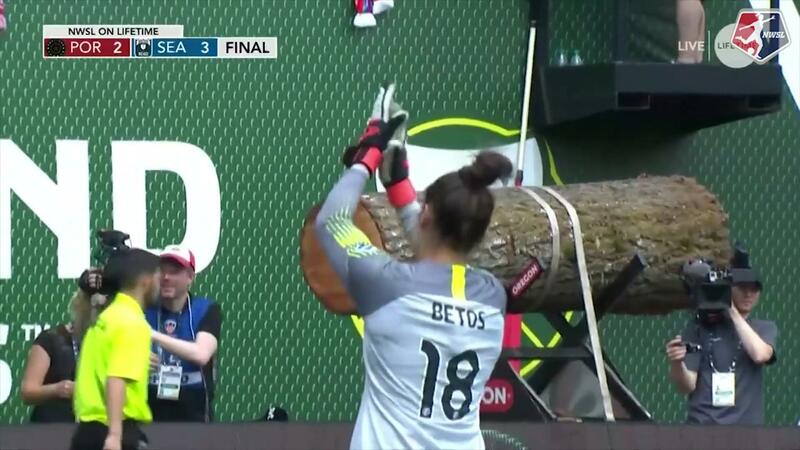 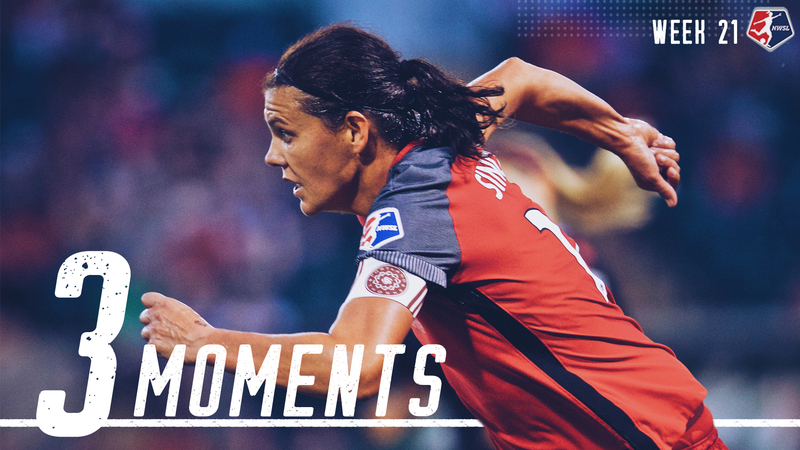 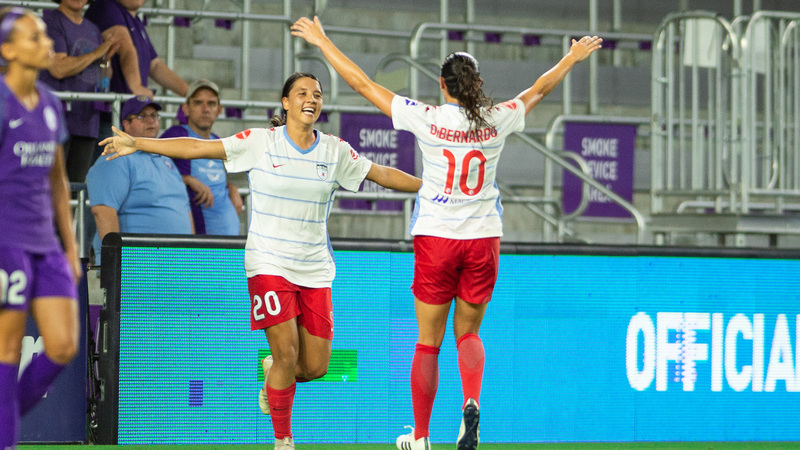 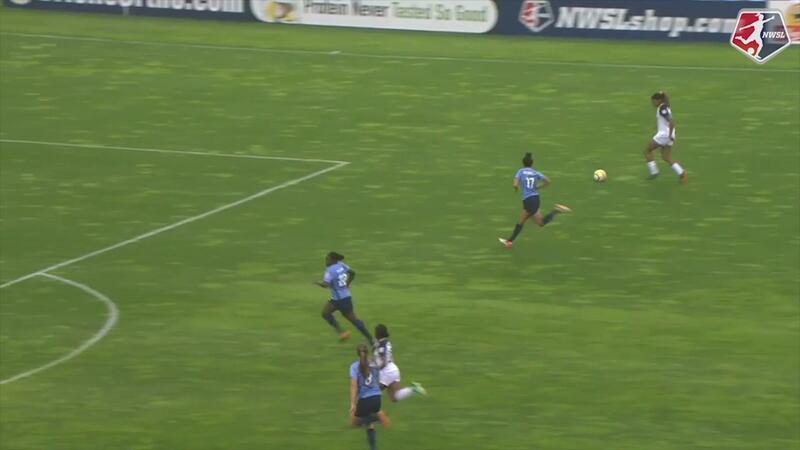 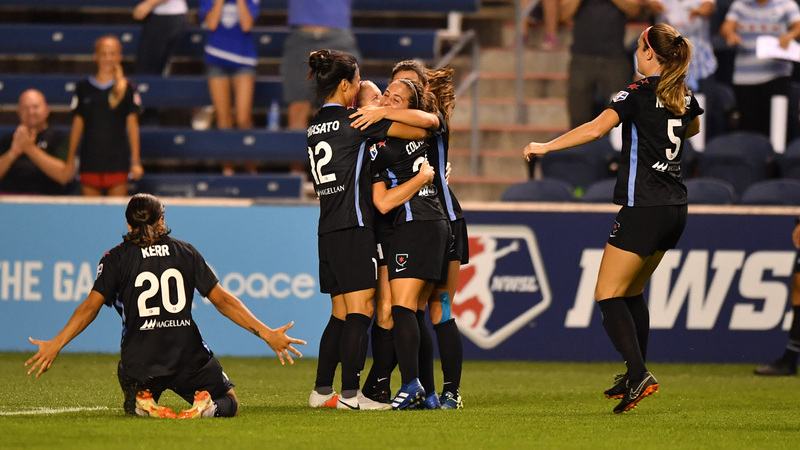 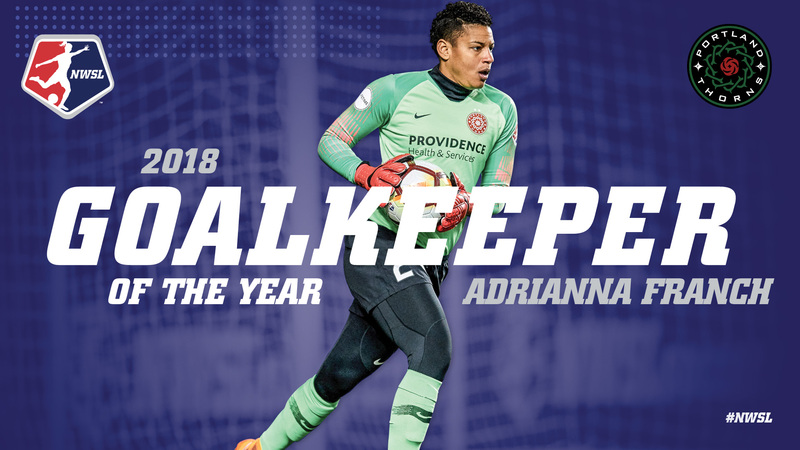 Portland Thorns FC midfielder Lindsey Horan scored a late goal directly off a free kick in the final minutes of stoppage time as Portland tied the Houston Dash 1-1 in Week 12. 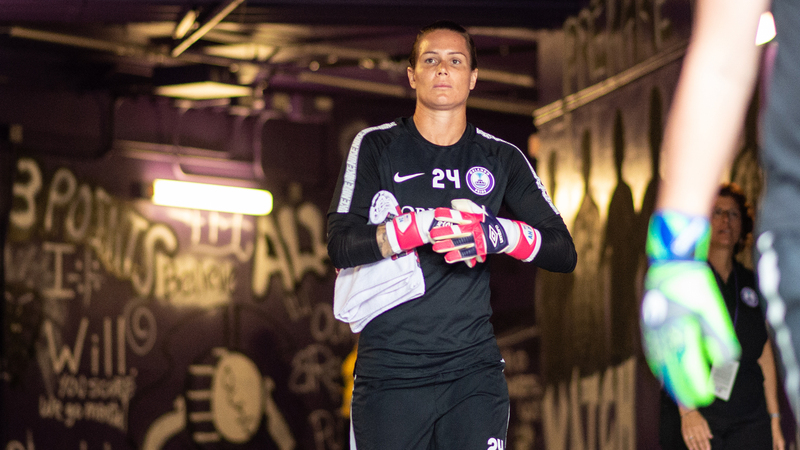 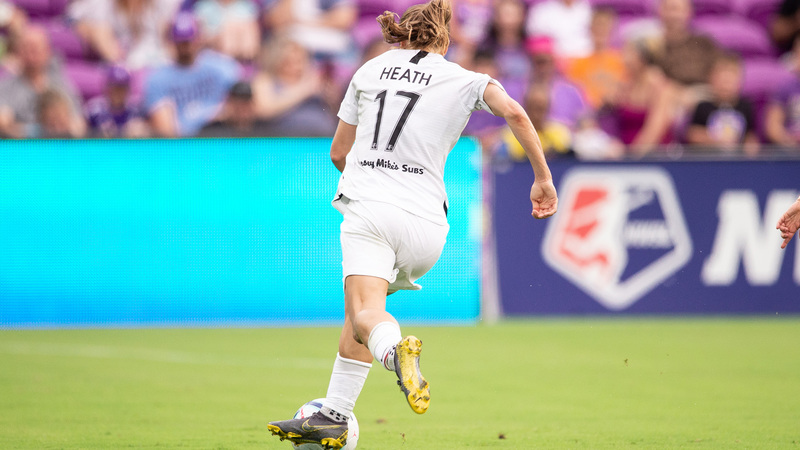 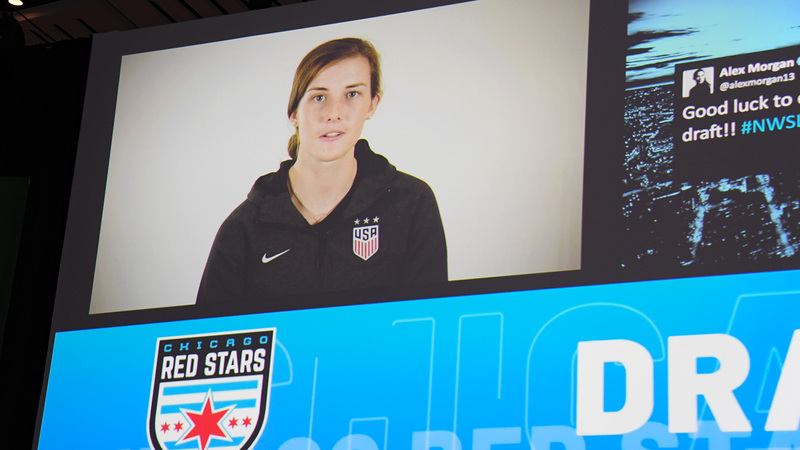 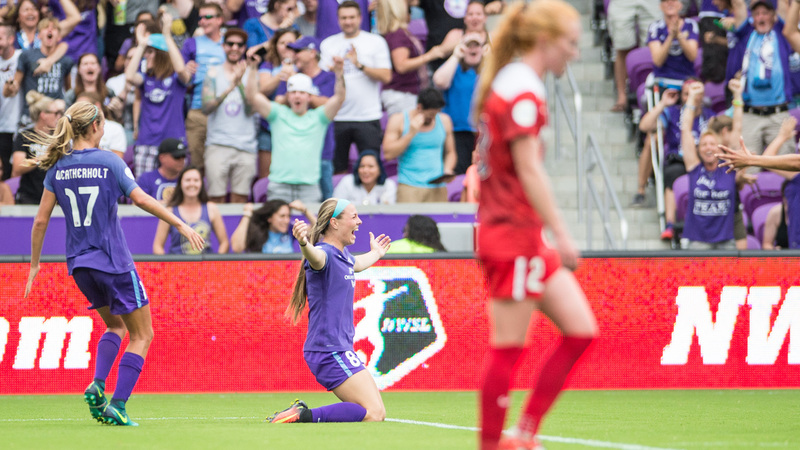 Forward Janine Beckie scored in the first half for the Dash. 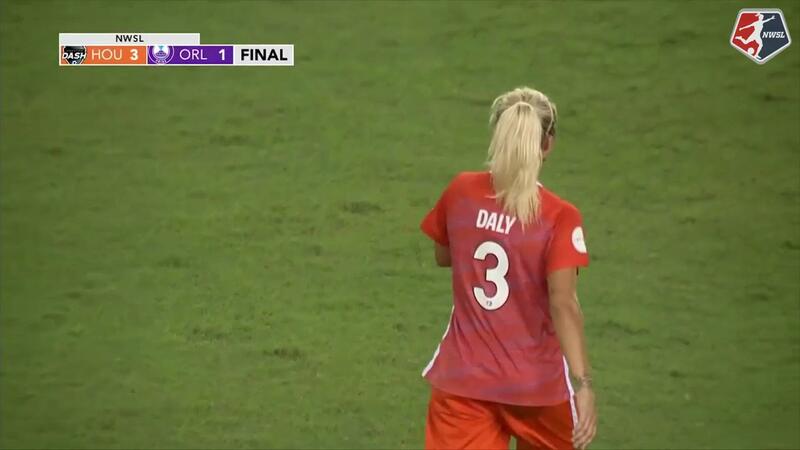 July 7, 2017.